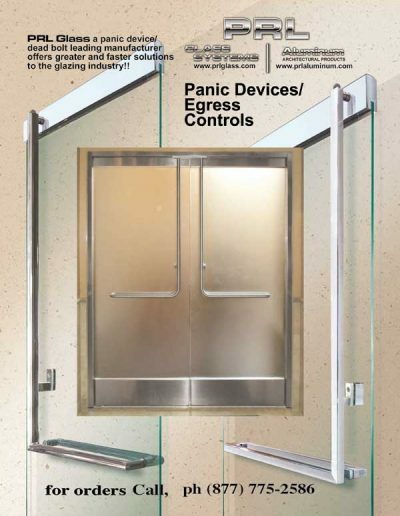 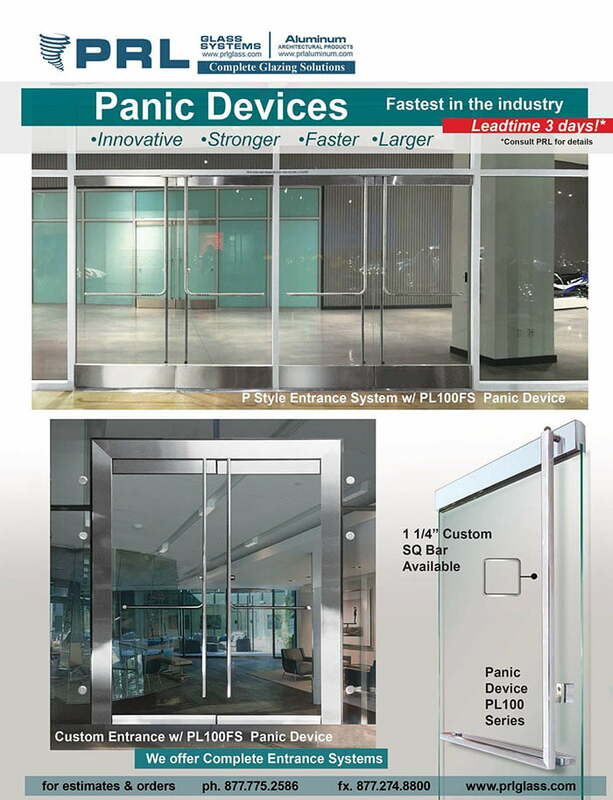 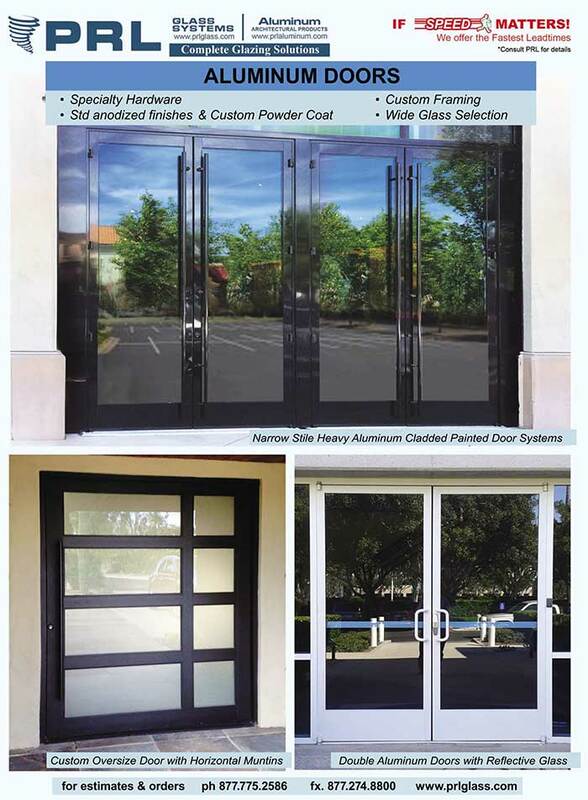 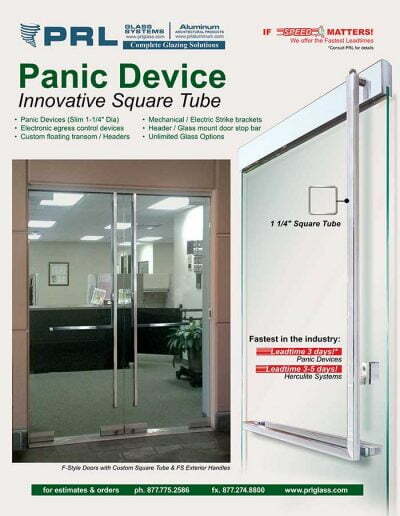 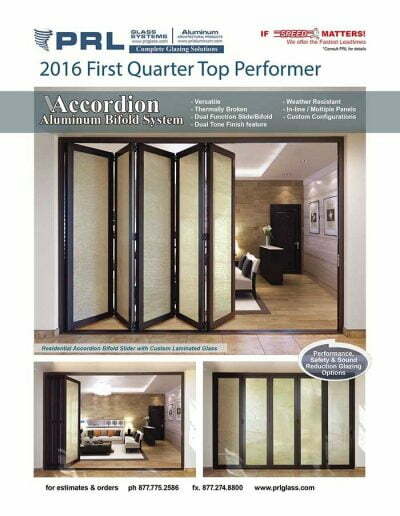 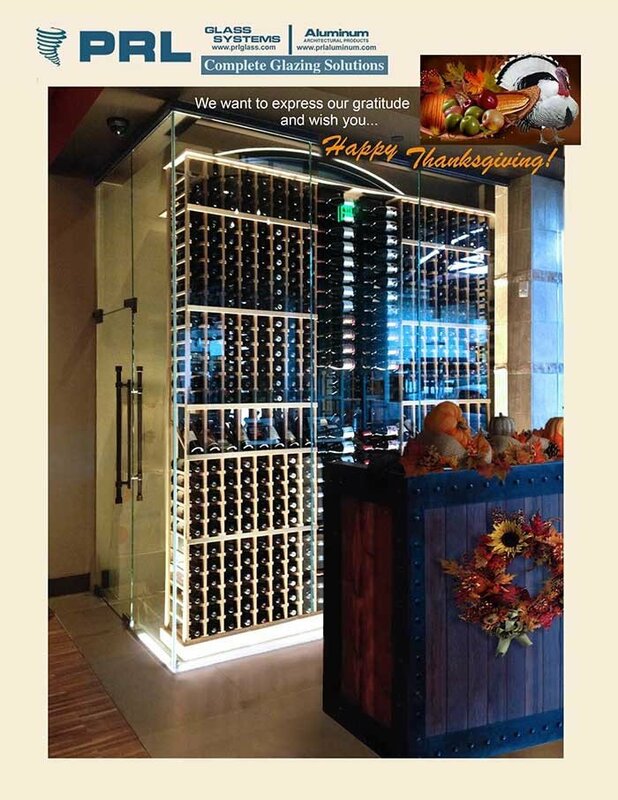 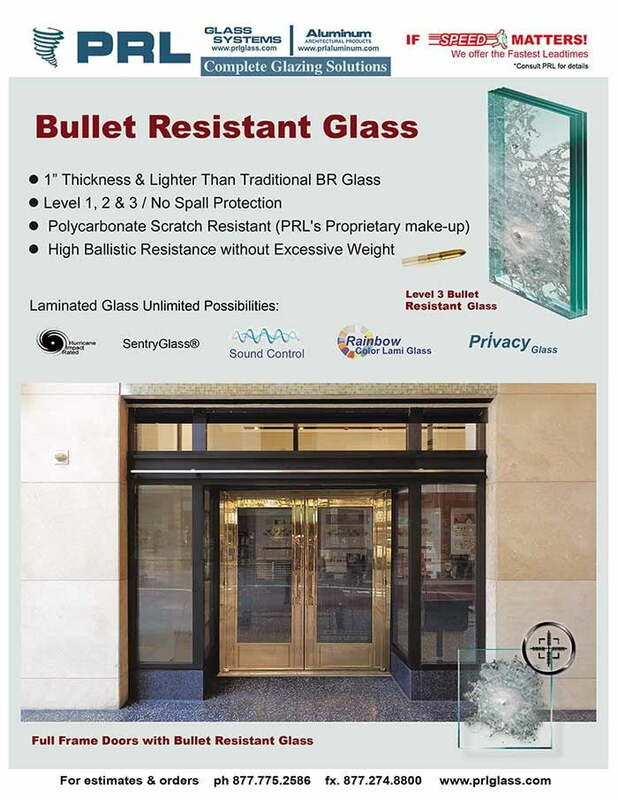 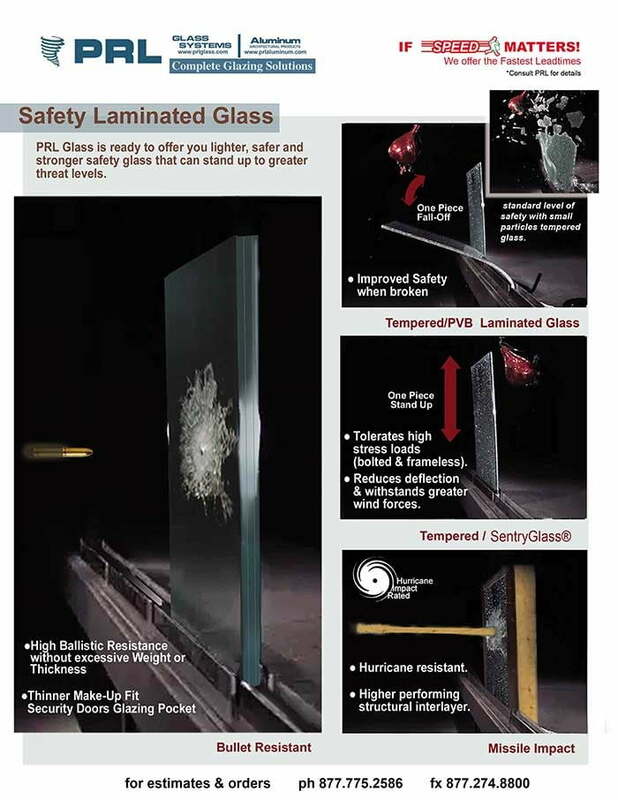 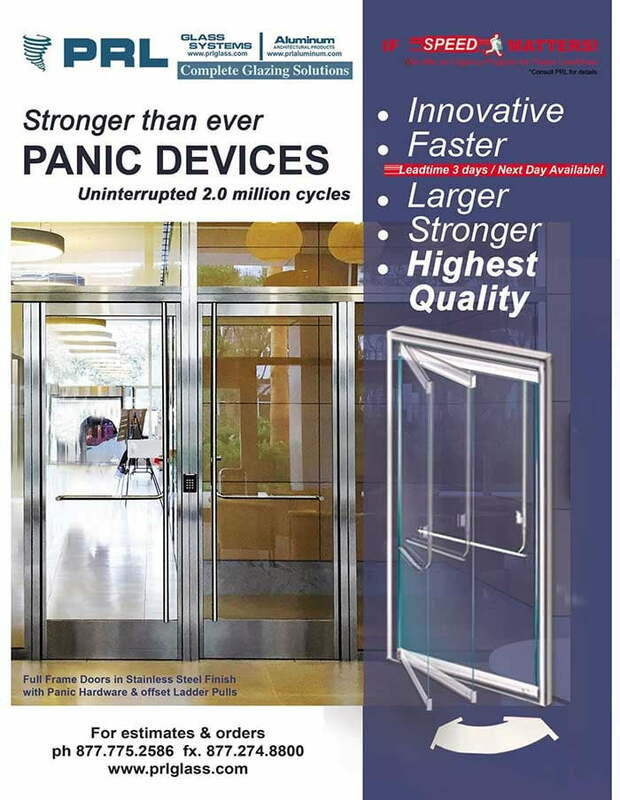 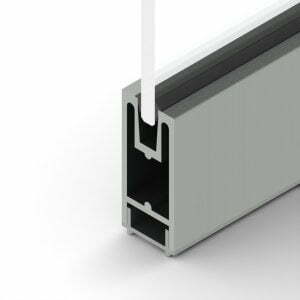 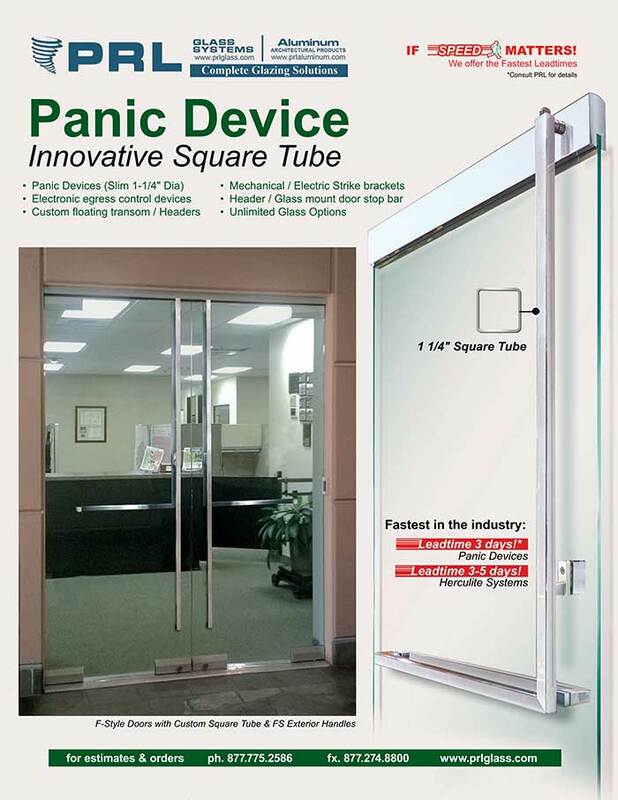 PRL’s Tiffany Top Hung Sliding Glass Doors are a perfect solution for tempered glass doors when space is limited and a traditional swinging door is not an option. 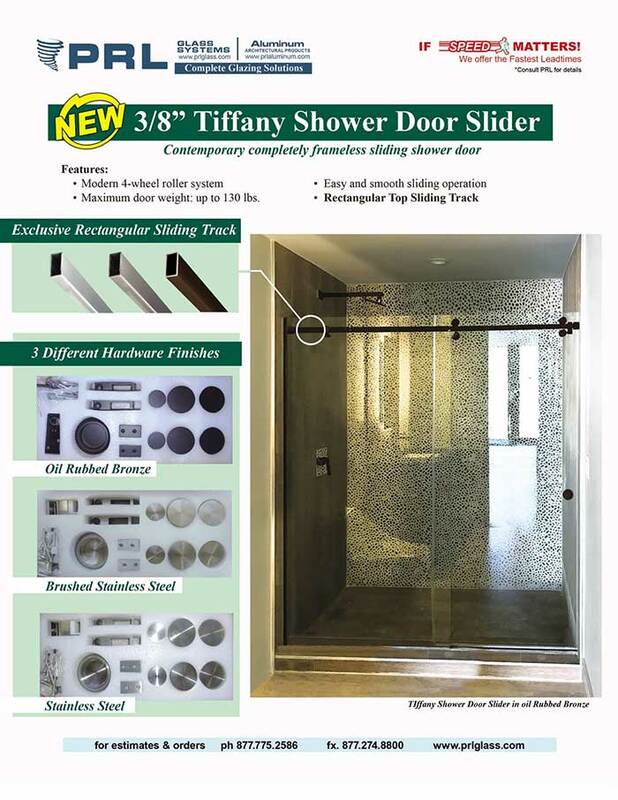 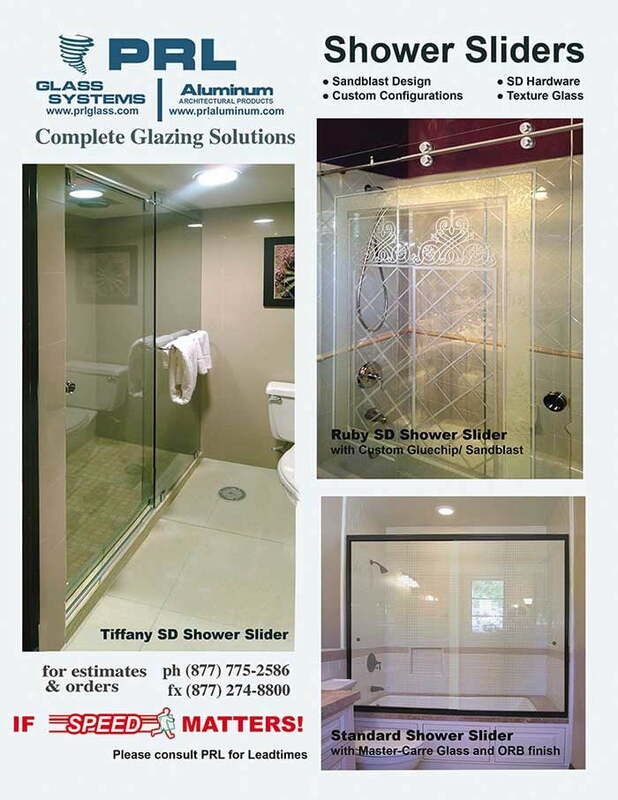 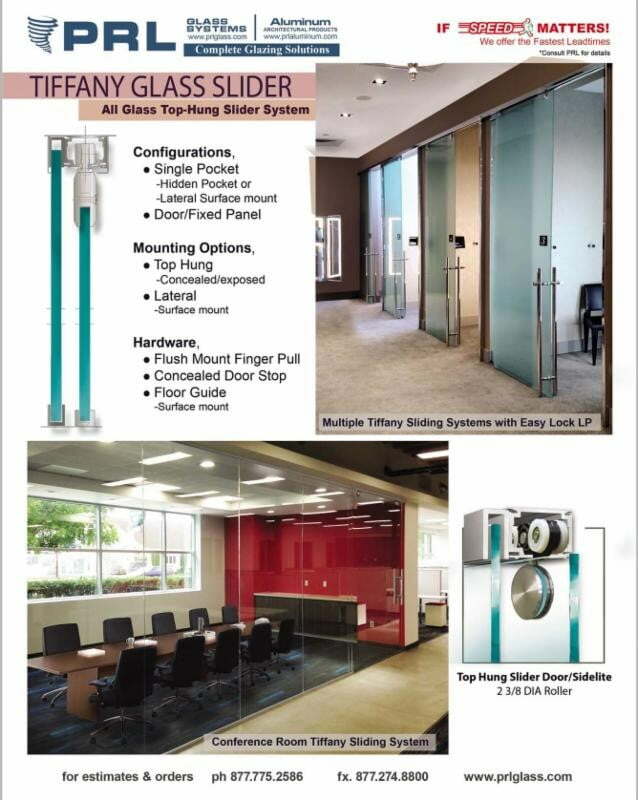 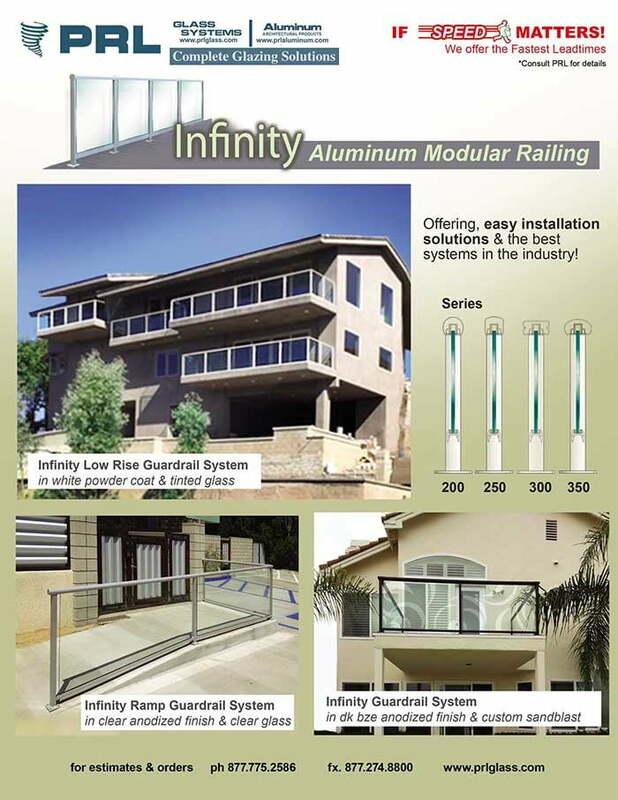 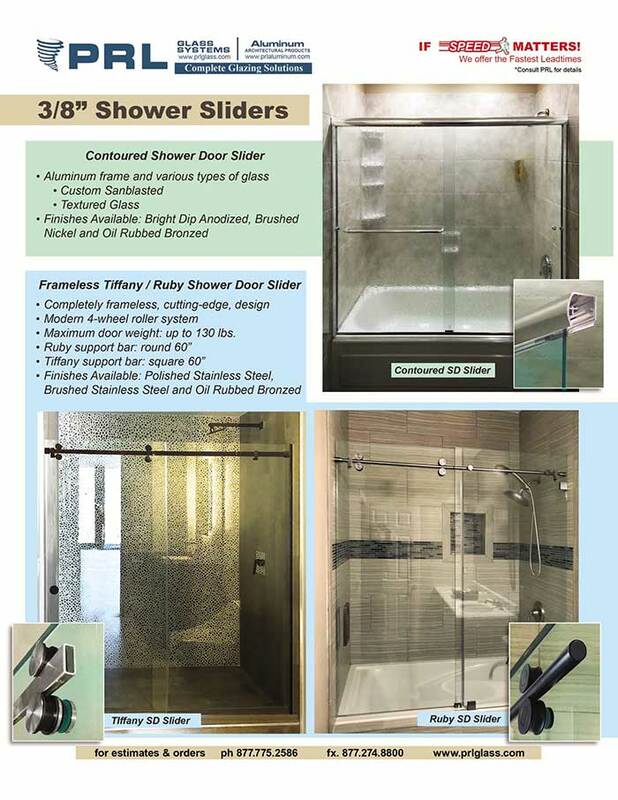 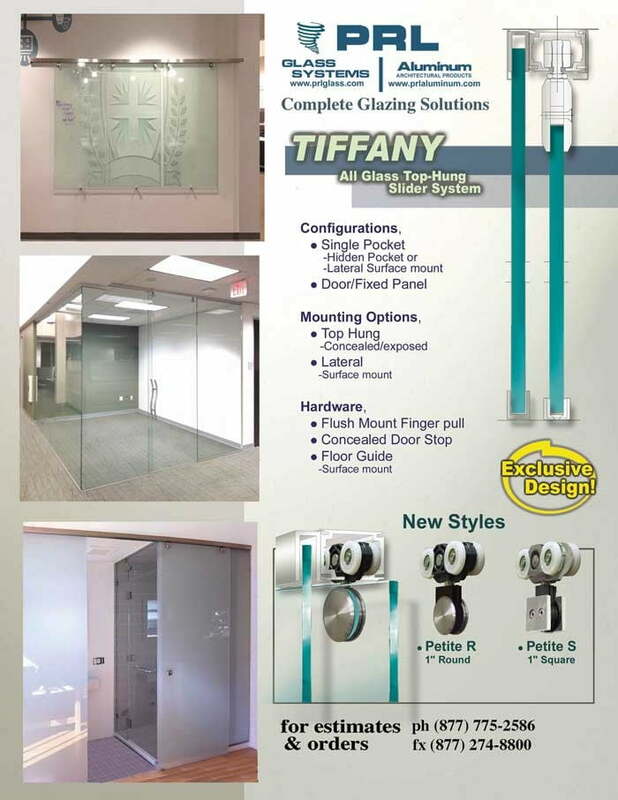 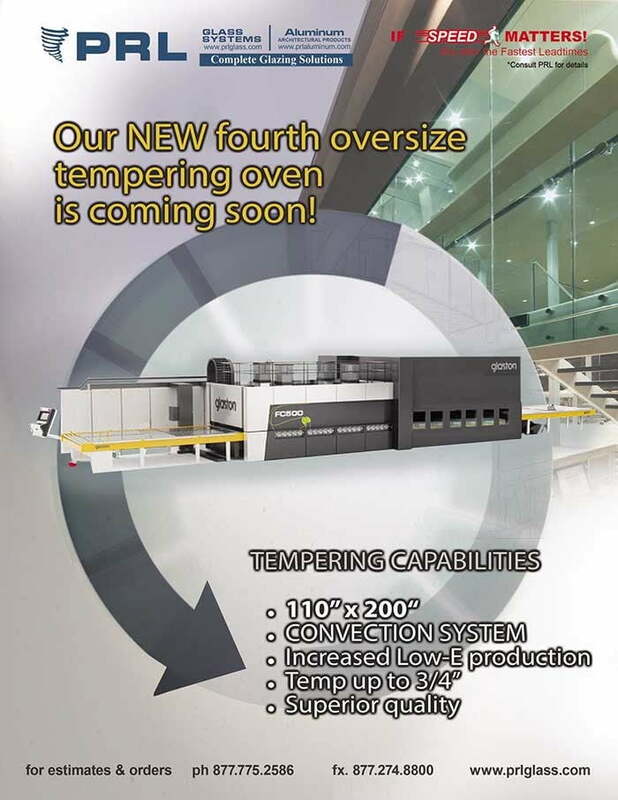 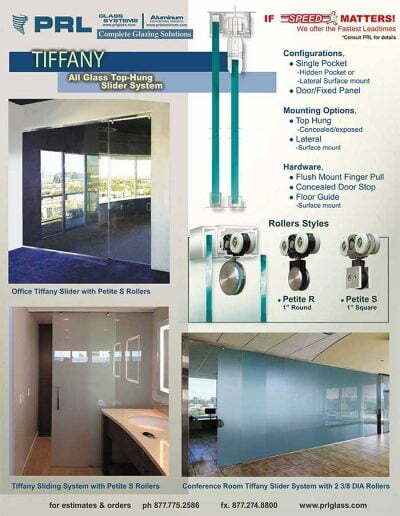 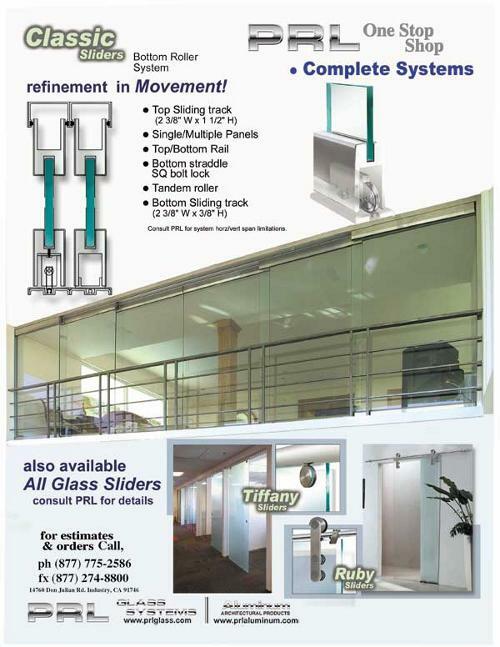 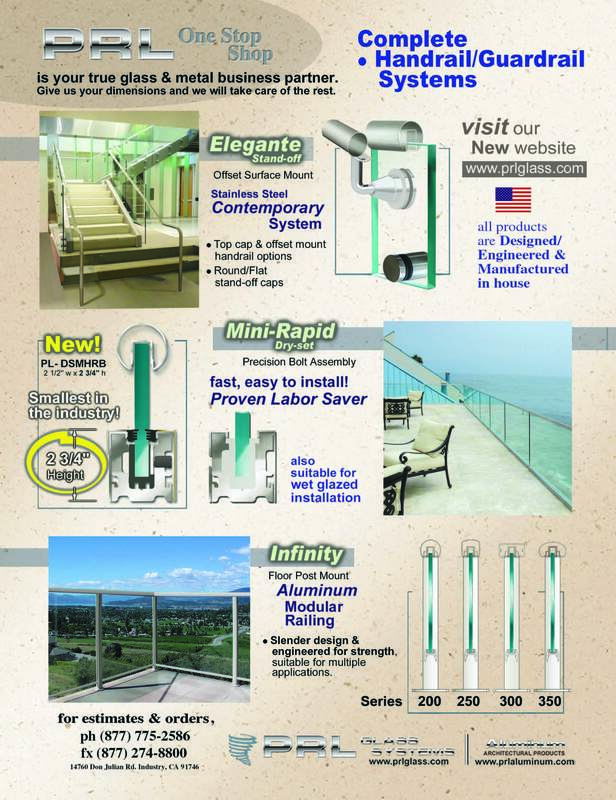 The Tiffany system consist of a small profile top track, two dual nylon rollers and two small stainless steel glass clamps. 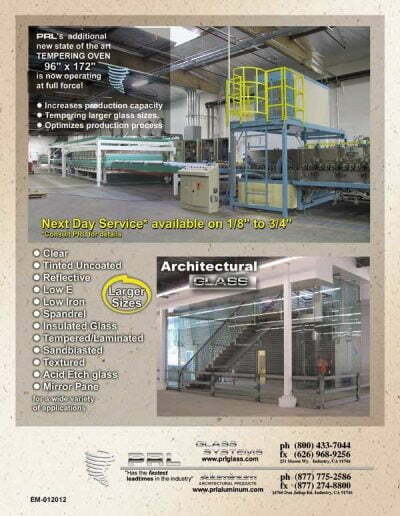 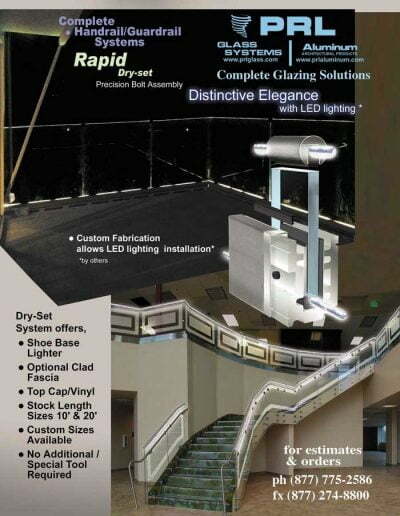 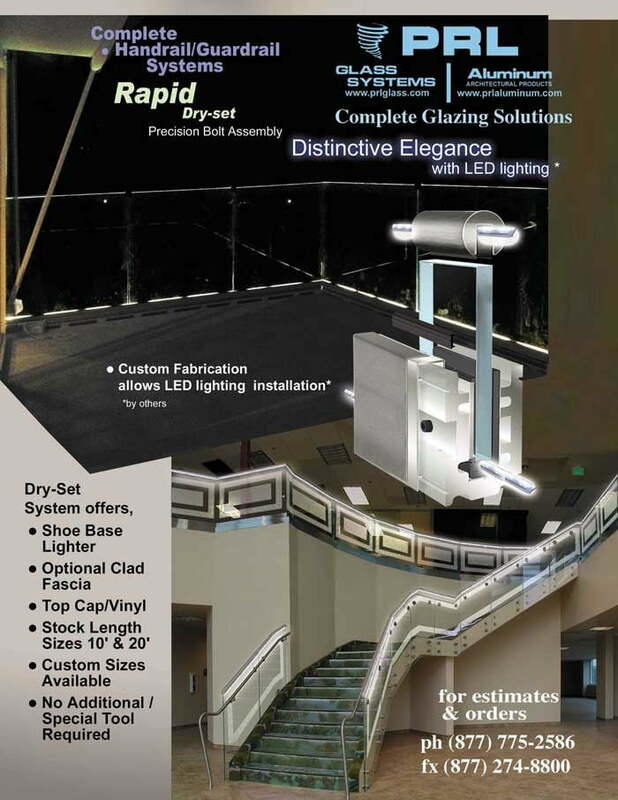 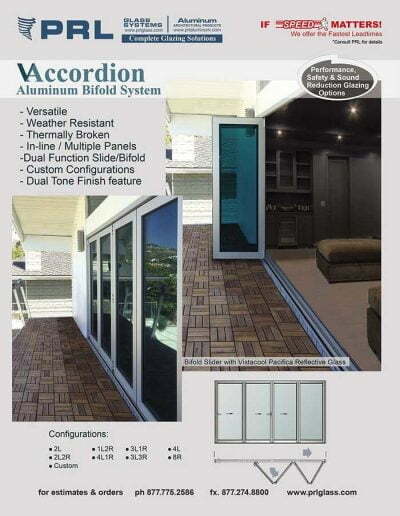 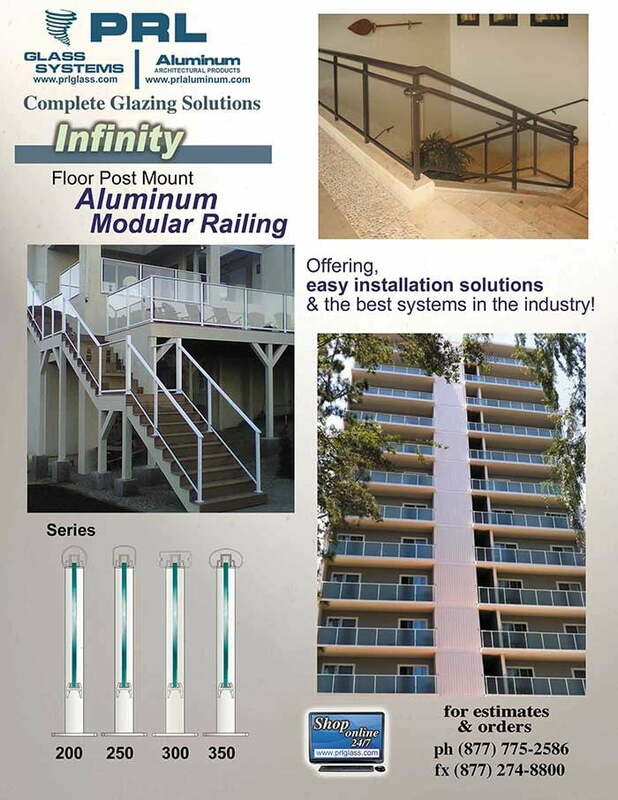 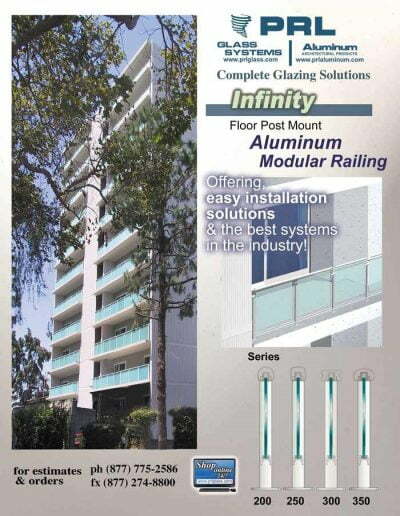 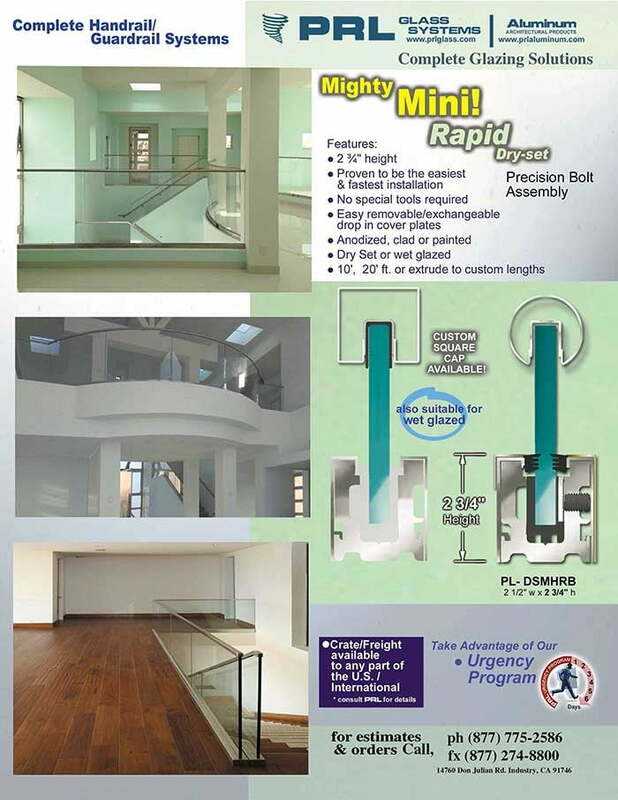 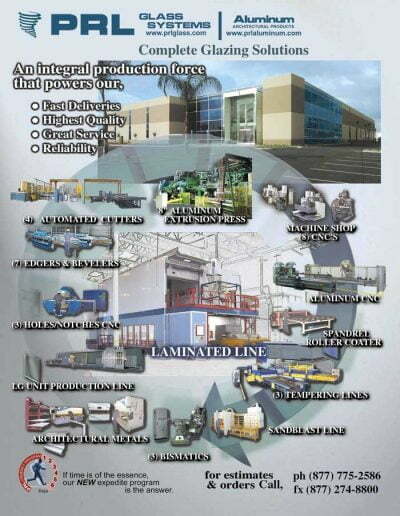 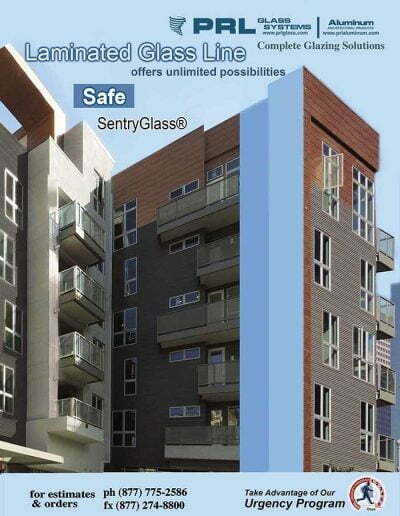 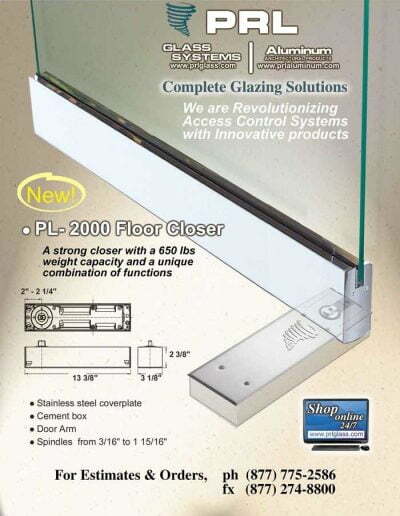 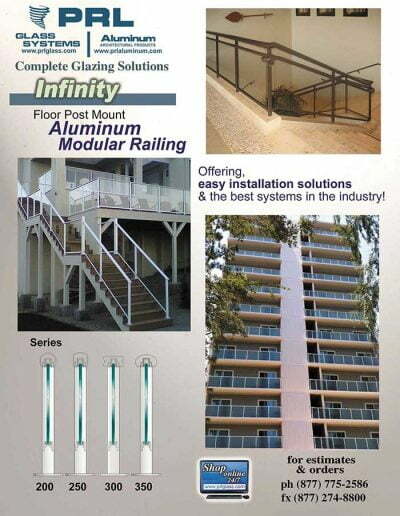 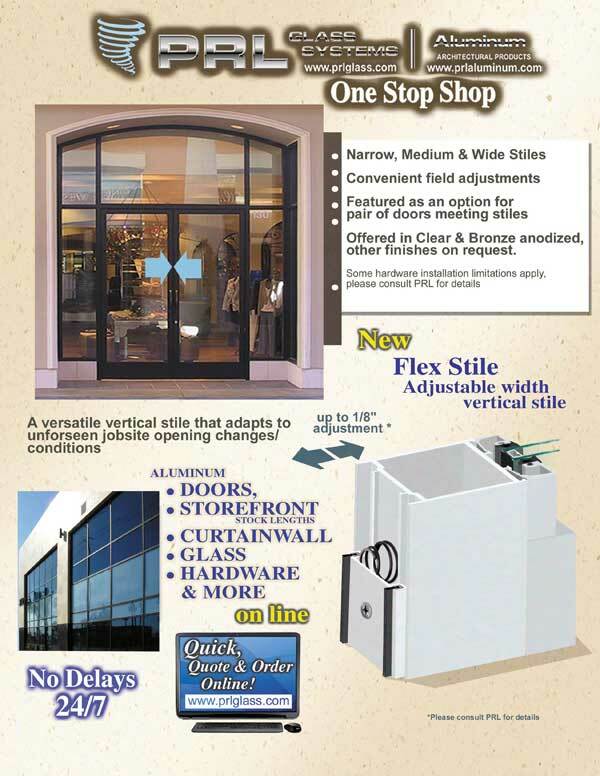 A modest floor guide keeps the door aligned while eliminating floor obstructions. Door stops are included for the open and closed positions. 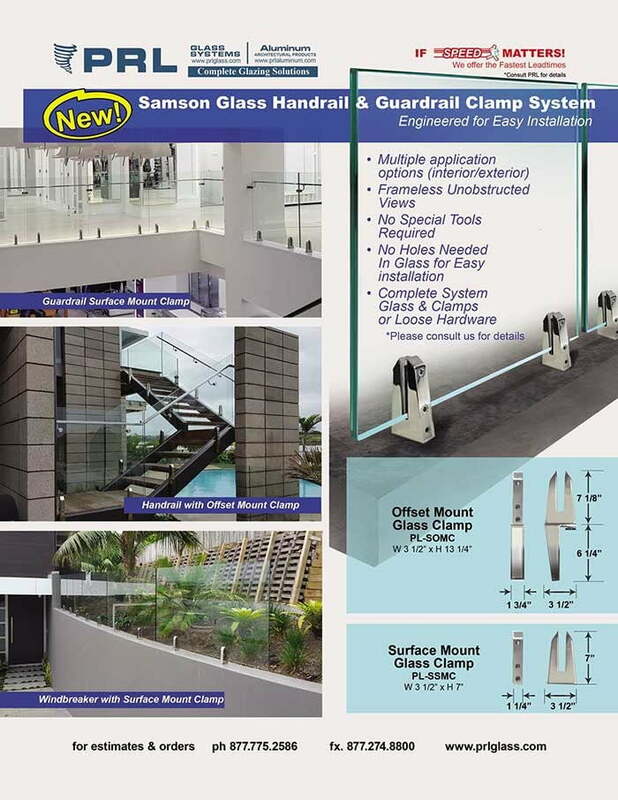 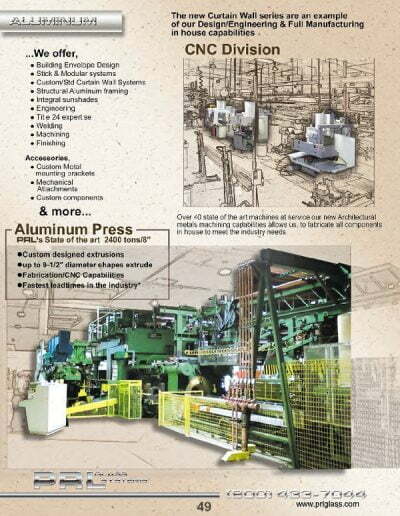 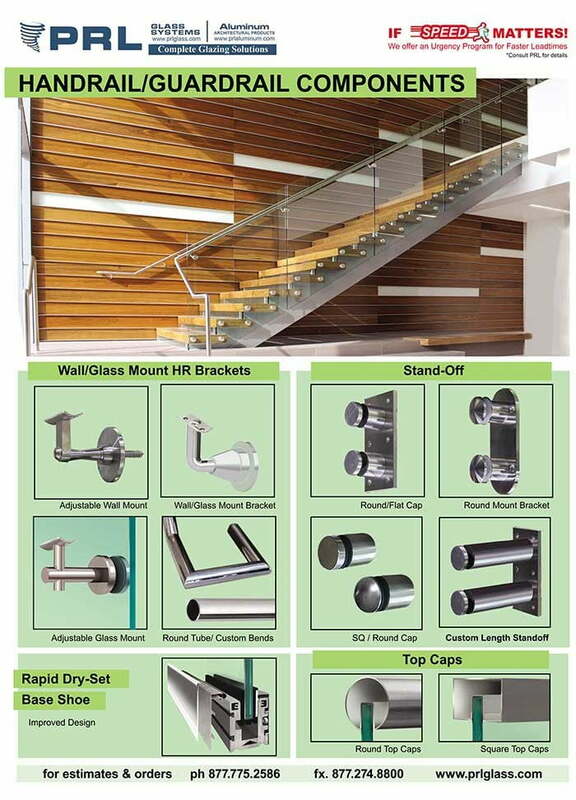 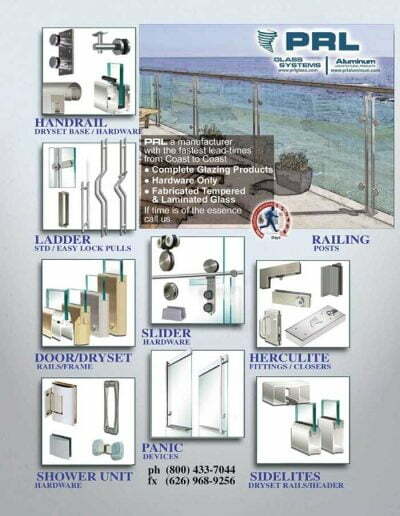 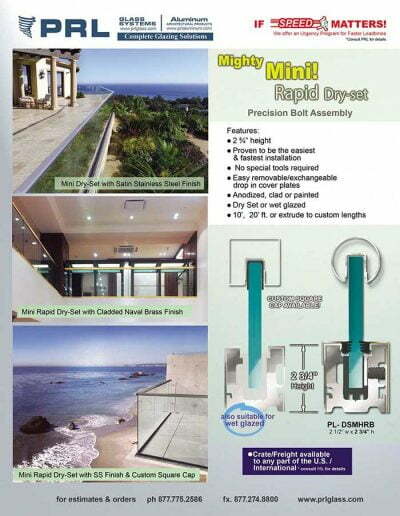 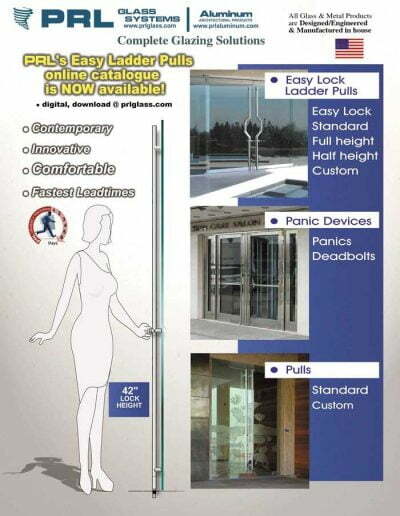 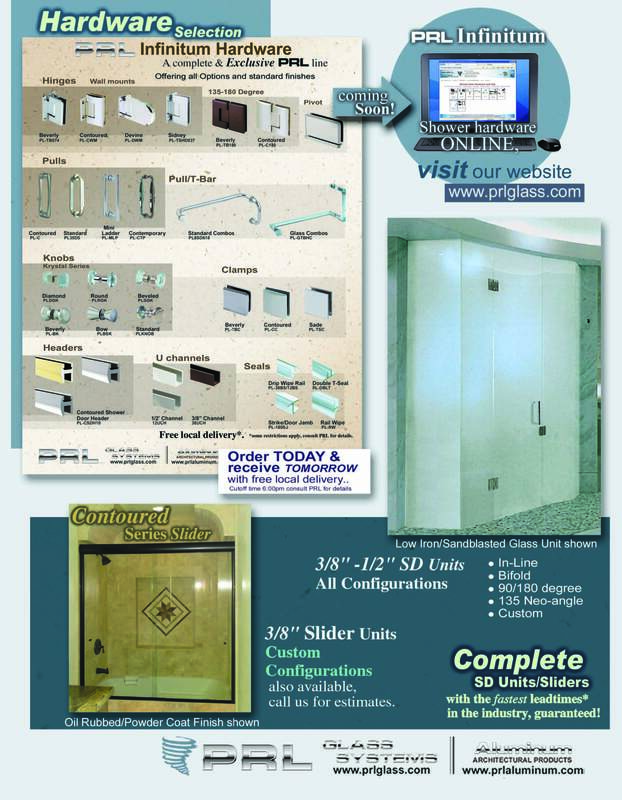 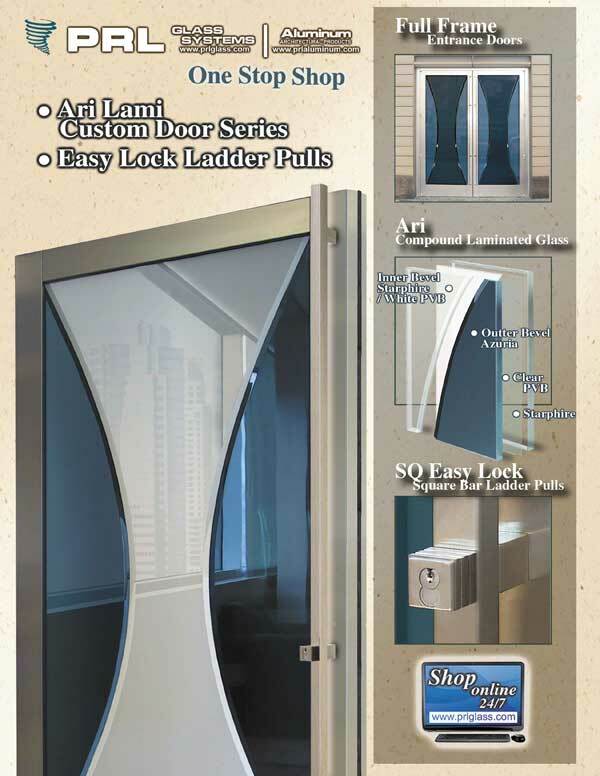 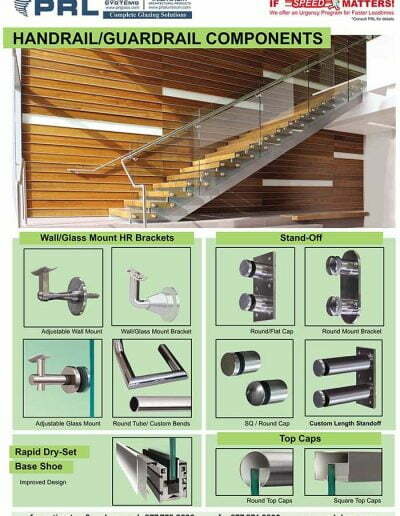 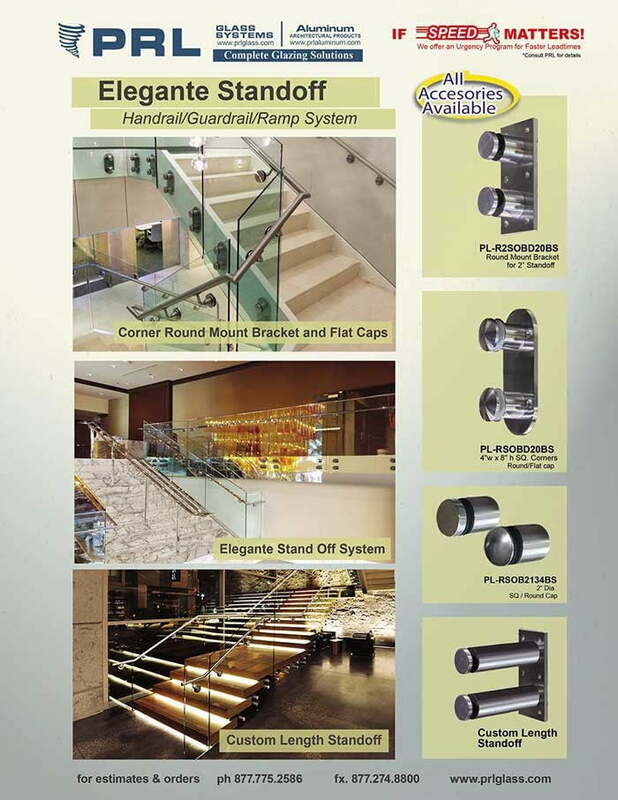 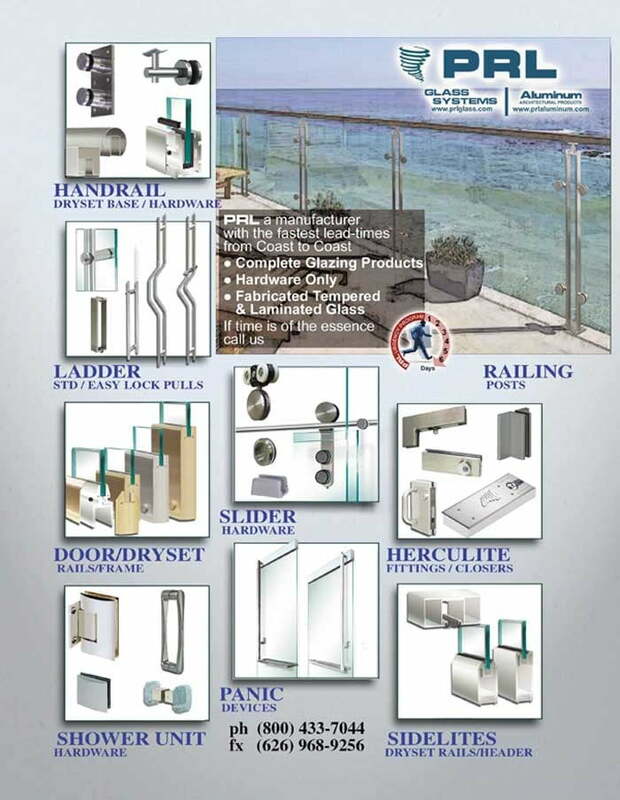 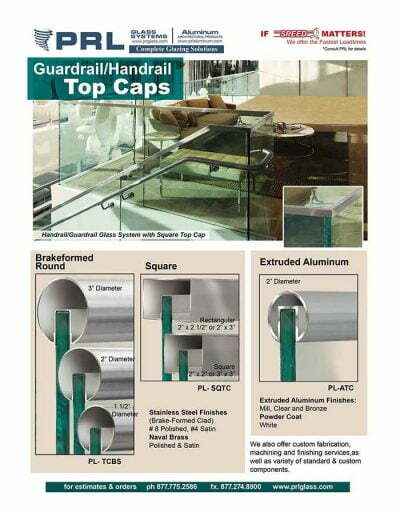 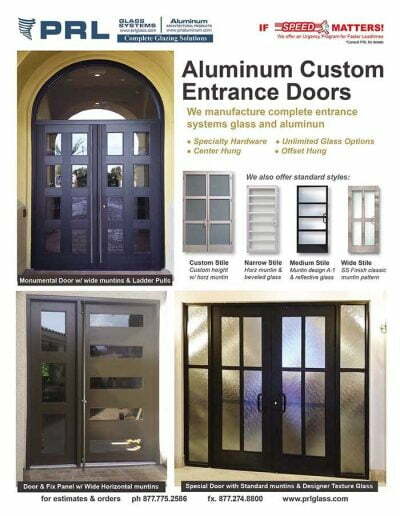 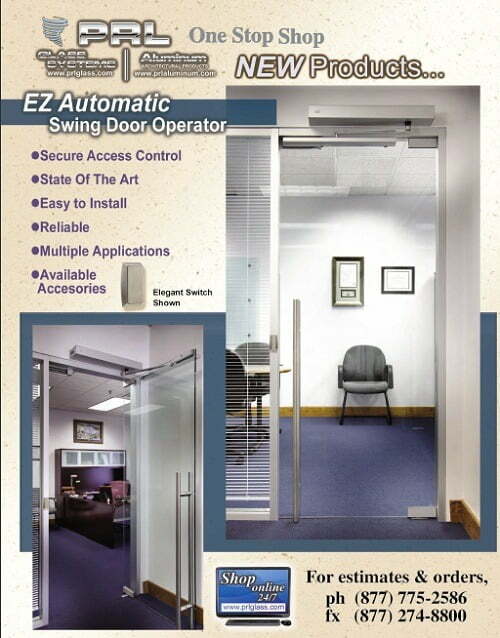 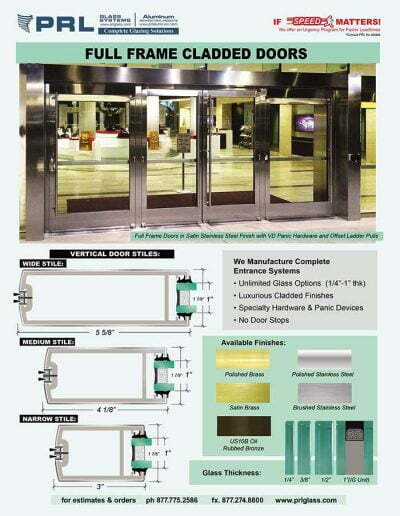 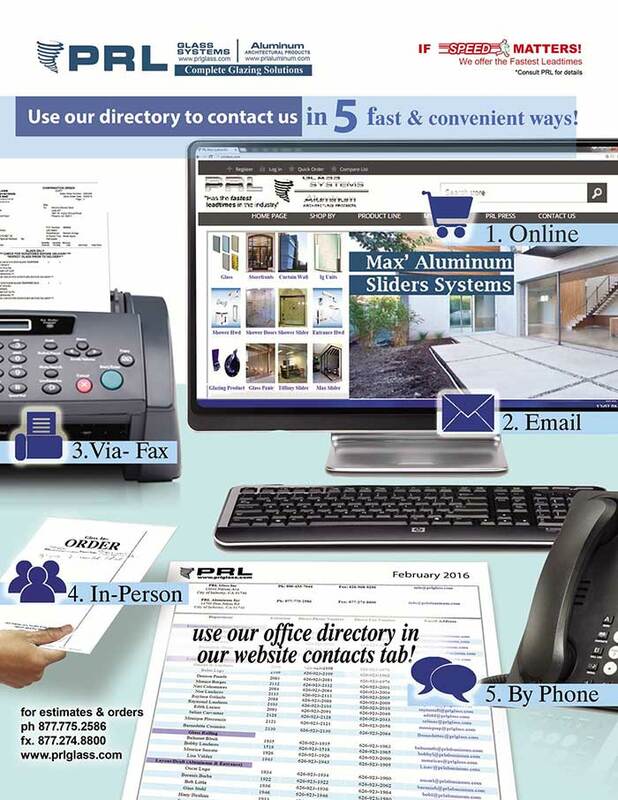 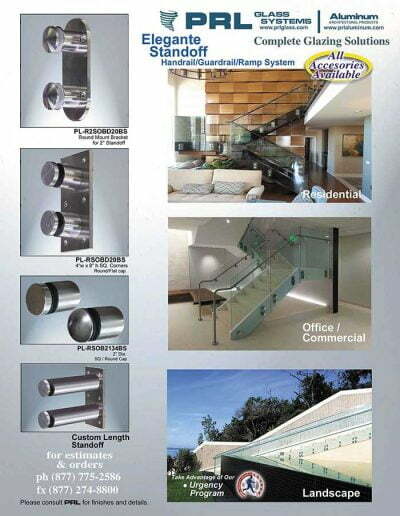 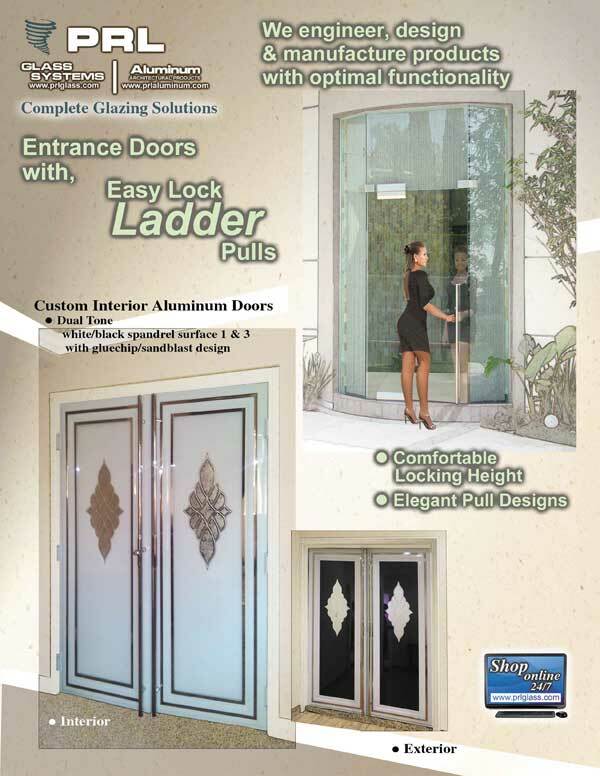 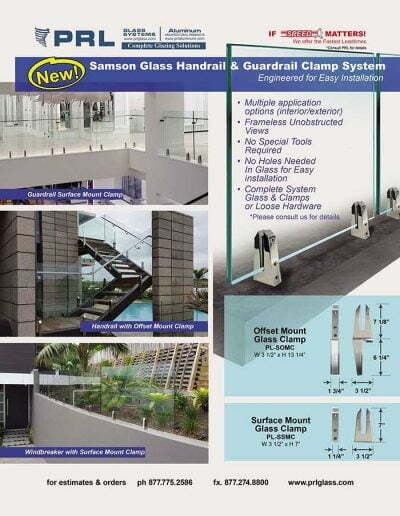 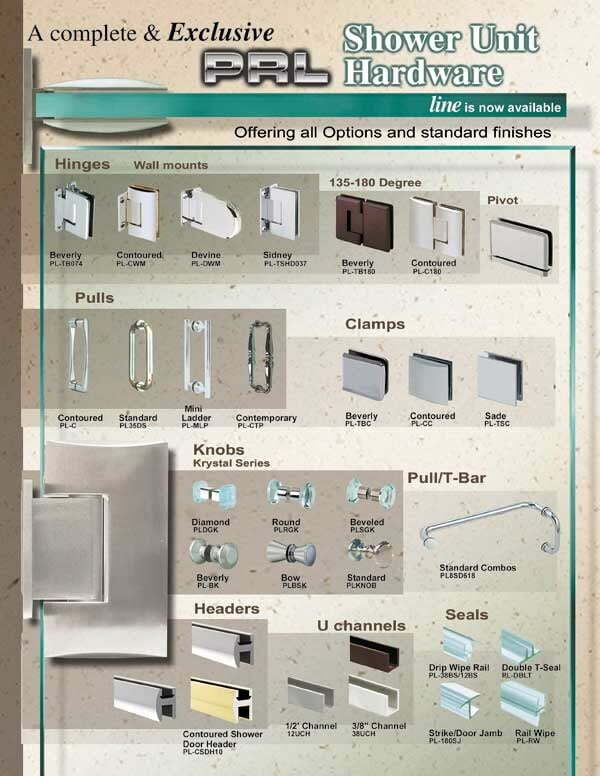 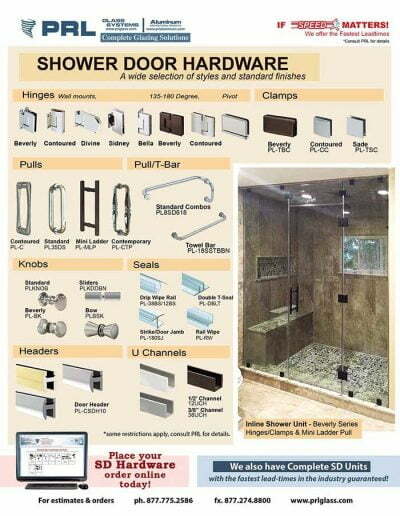 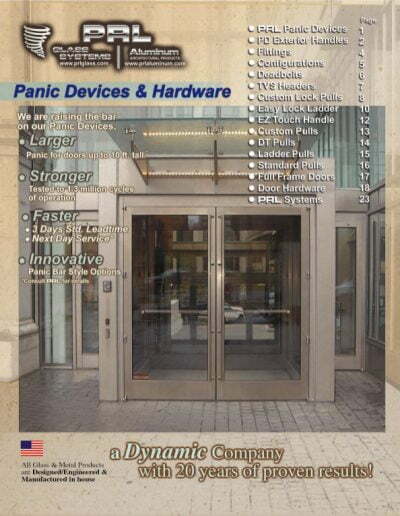 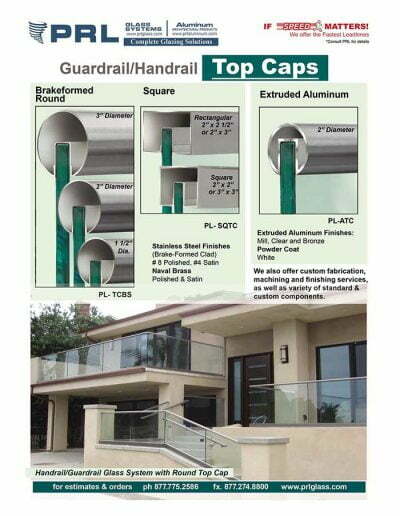 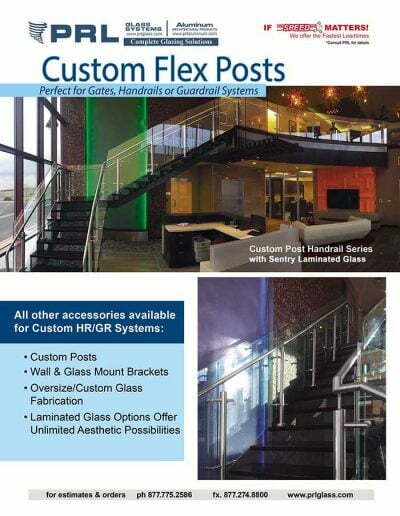 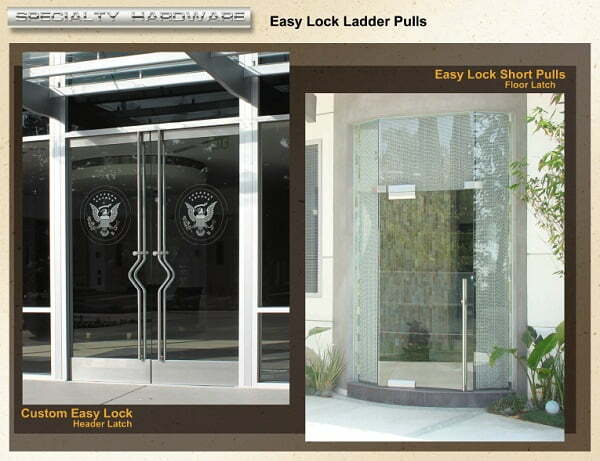 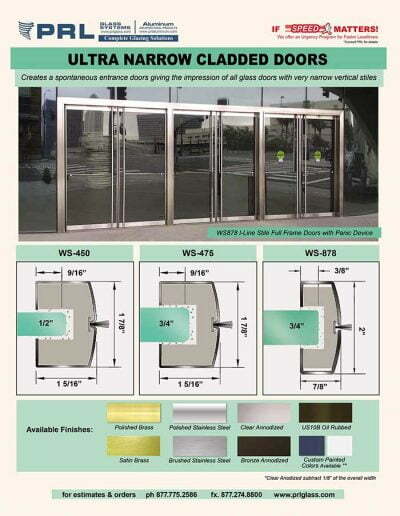 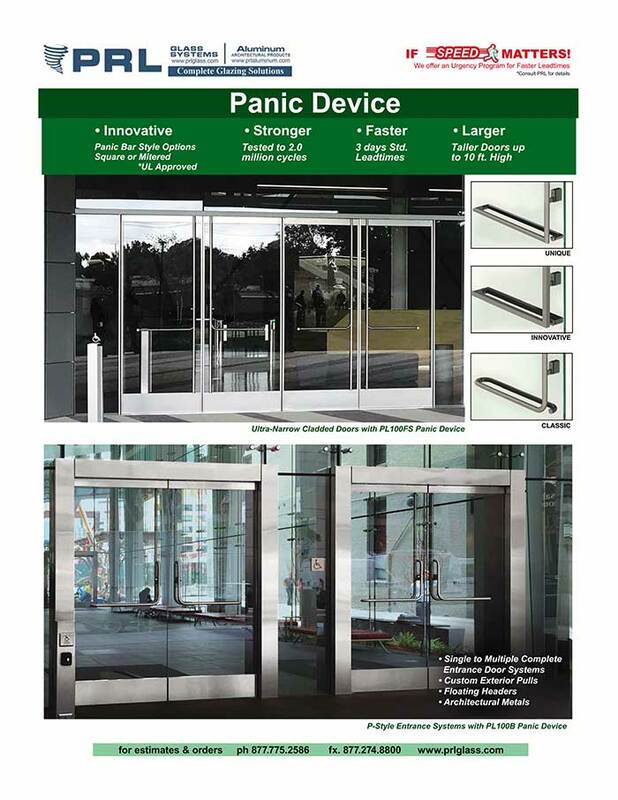 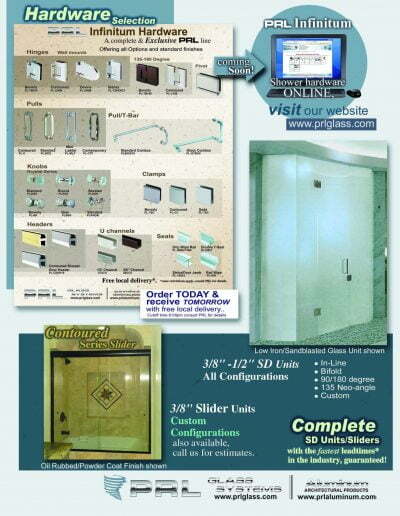 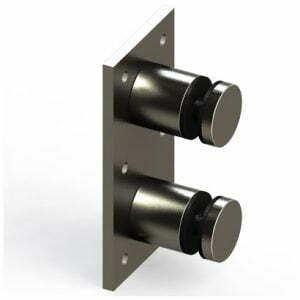 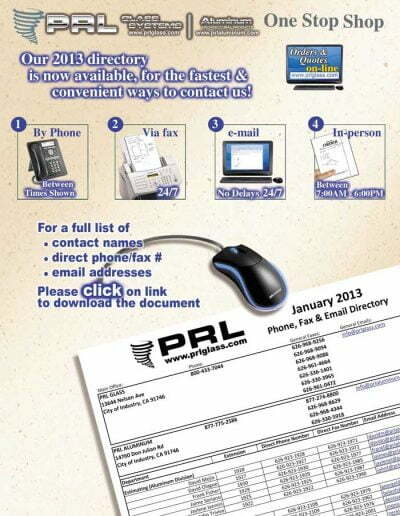 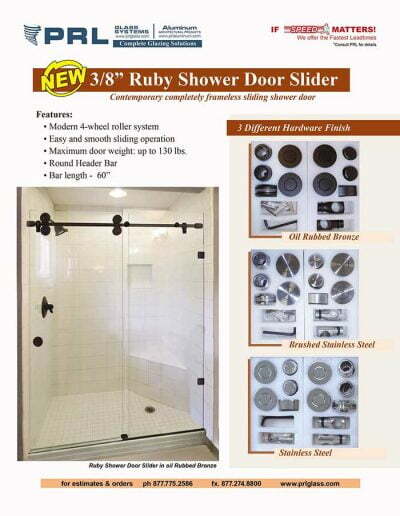 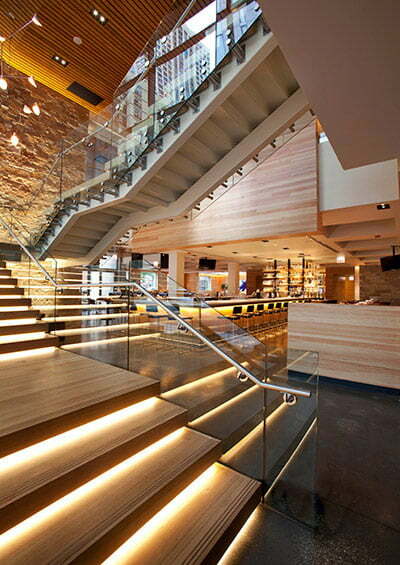 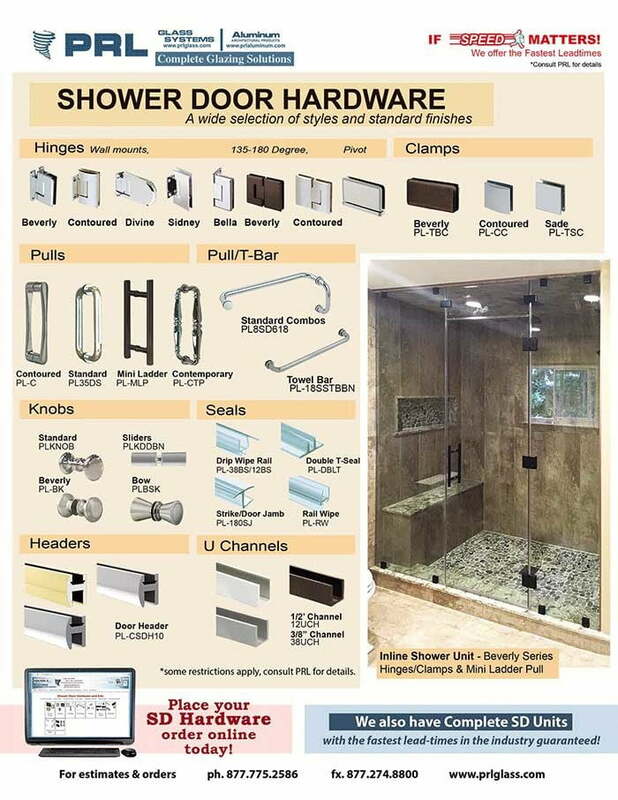 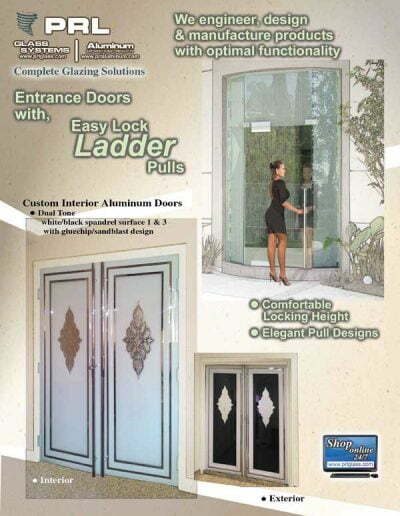 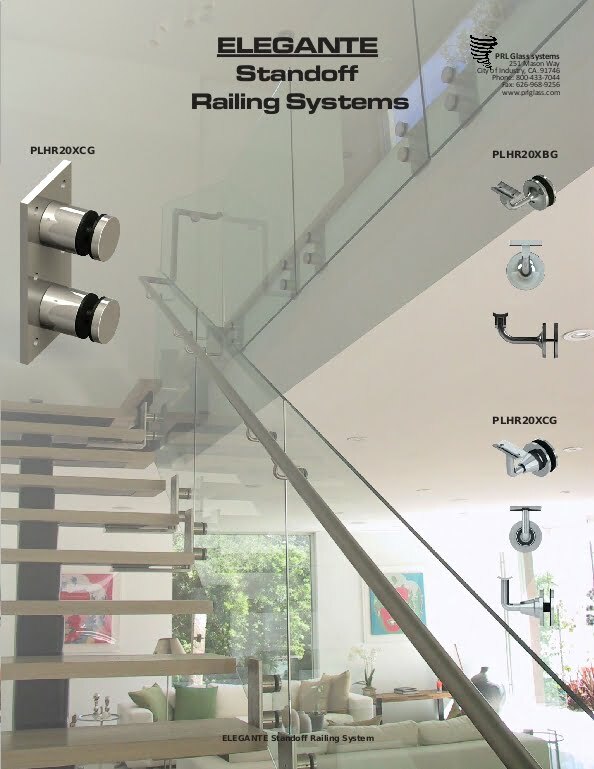 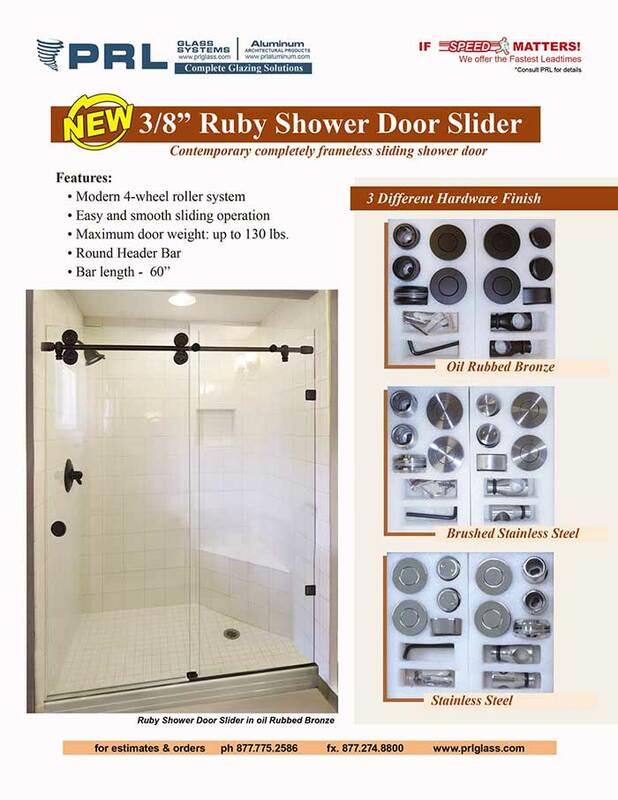 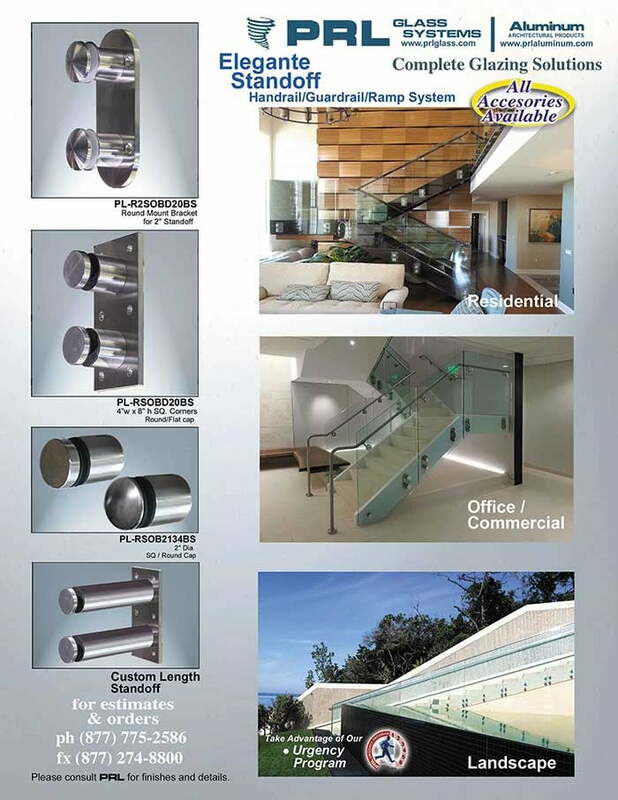 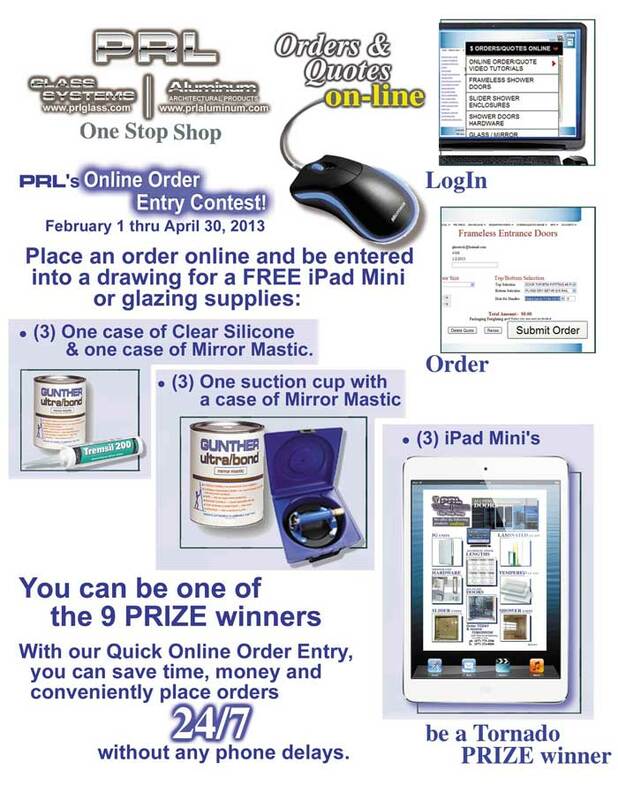 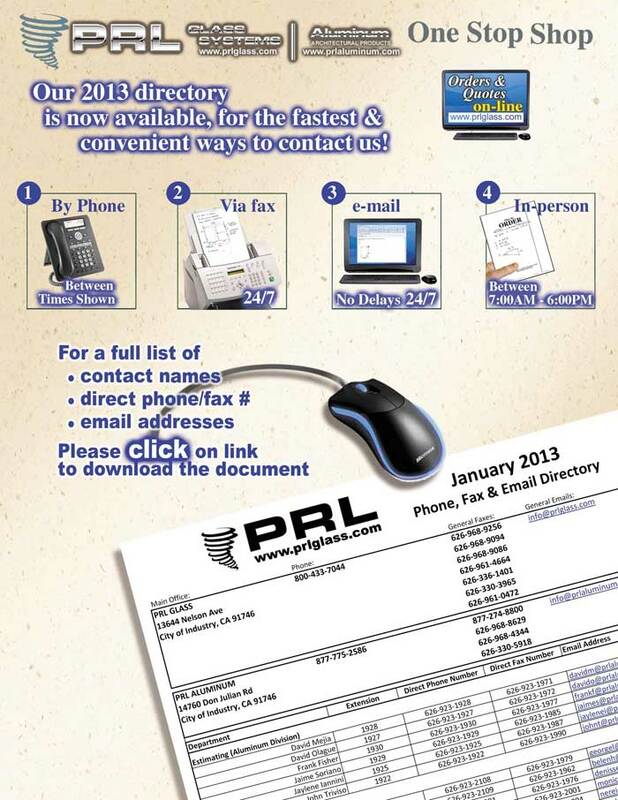 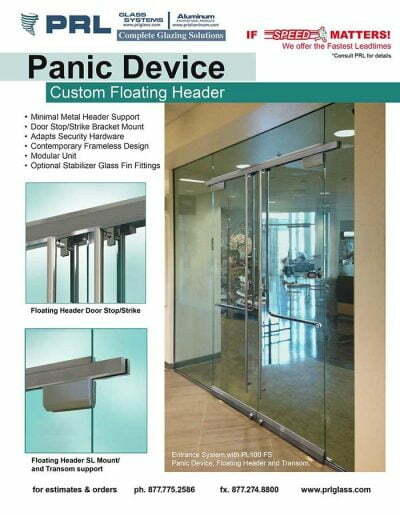 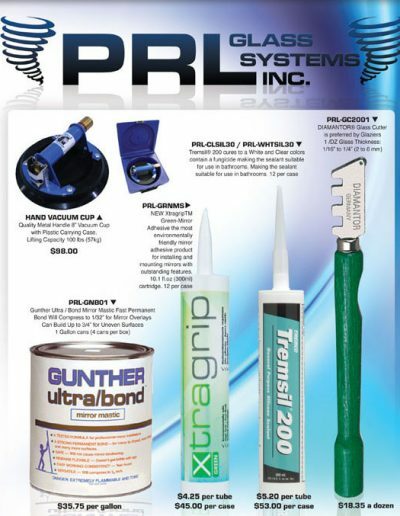 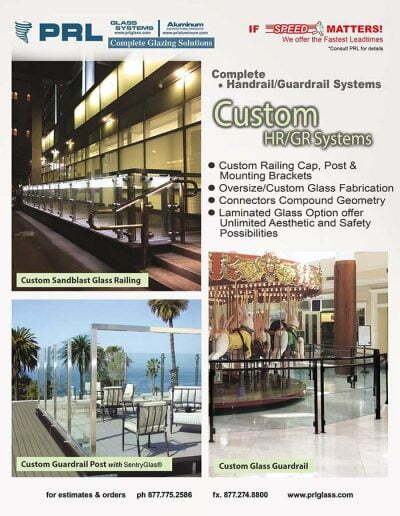 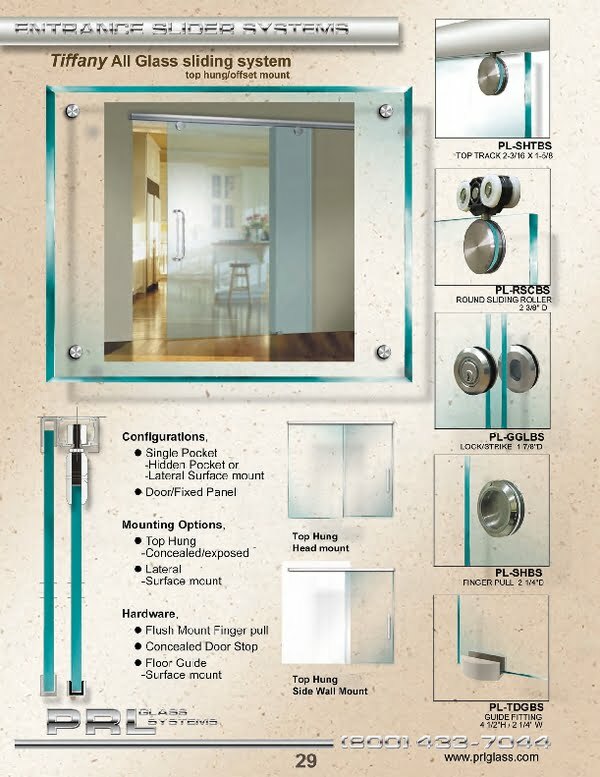 Handles options include a flush mount circular finger pull or PRL Ladder style pulls. 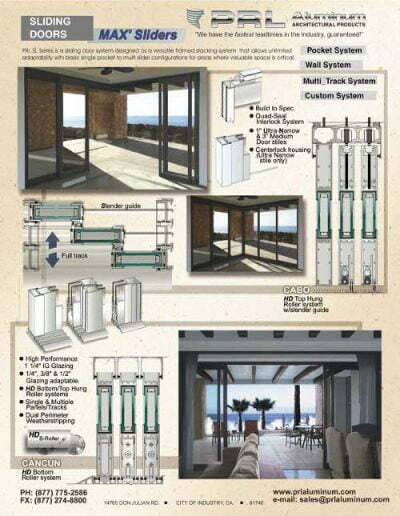 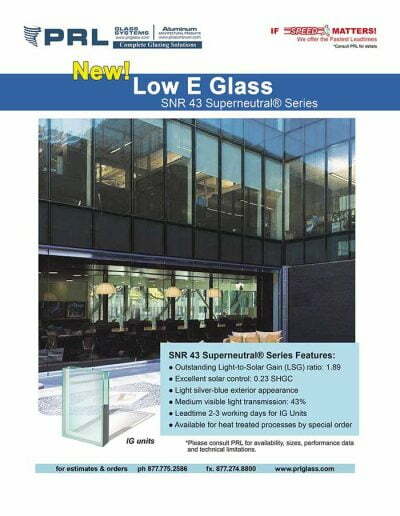 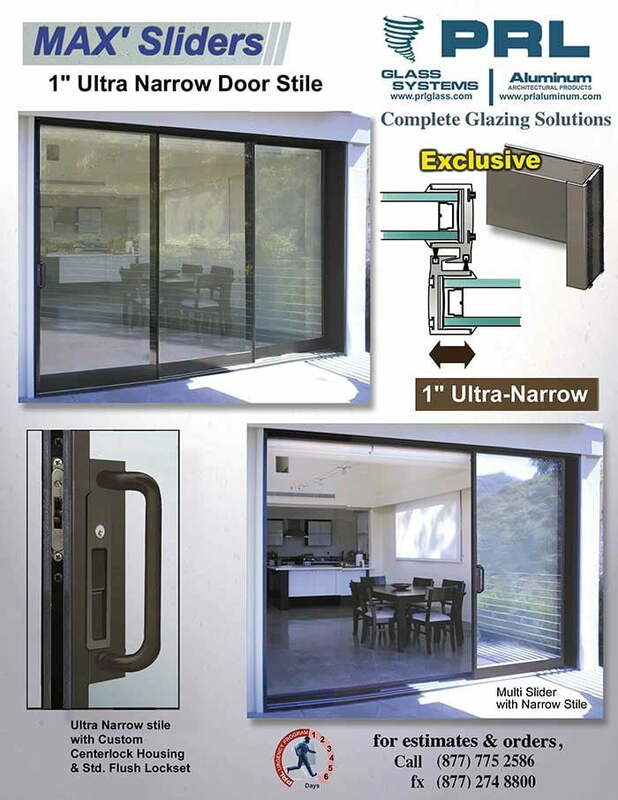 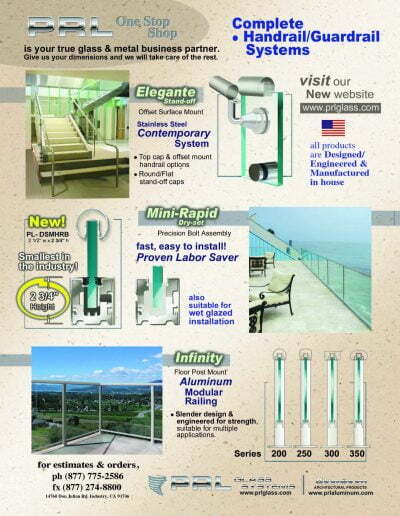 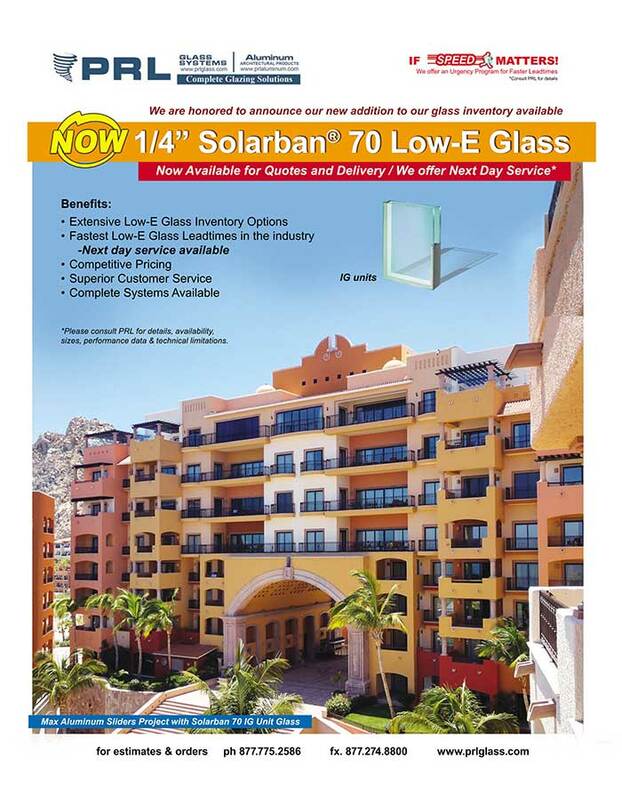 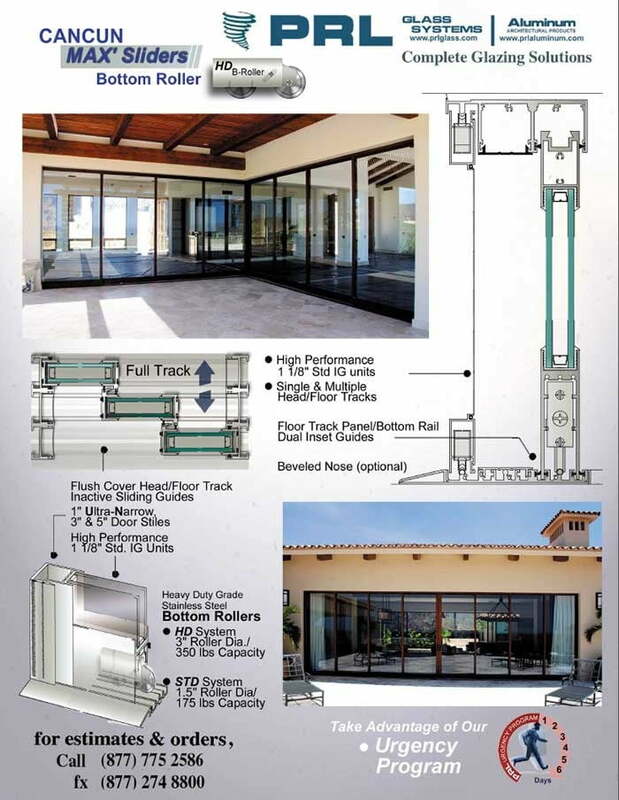 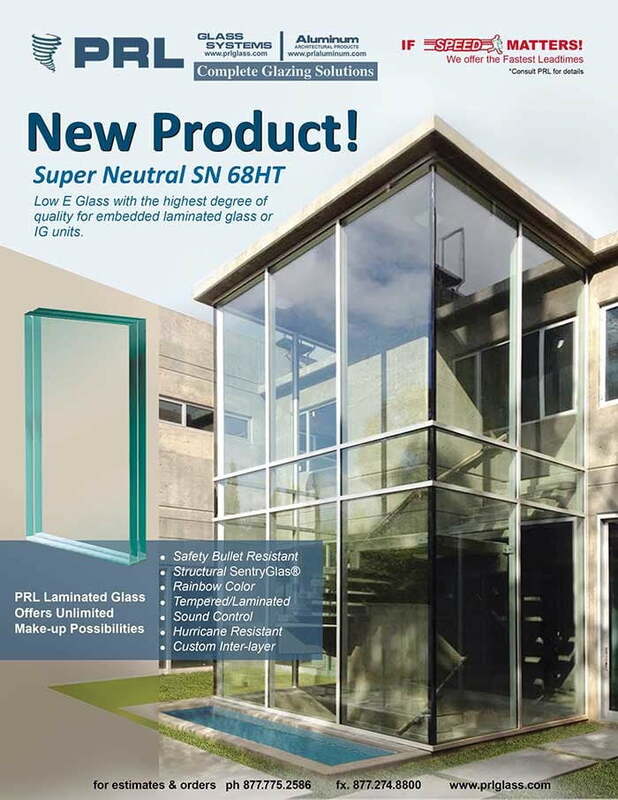 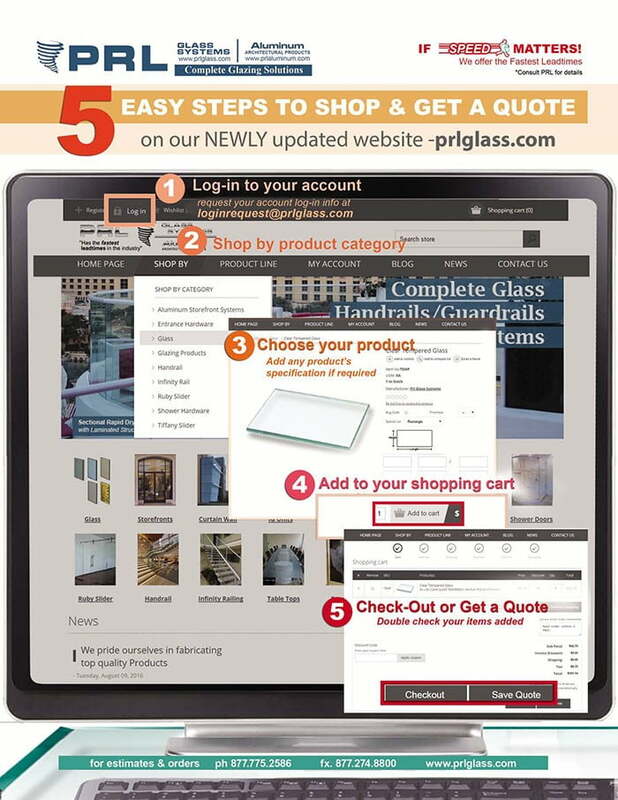 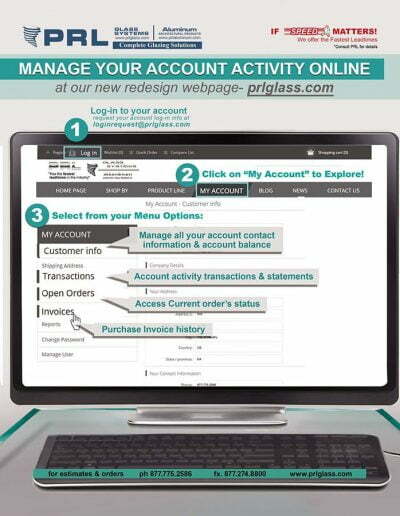 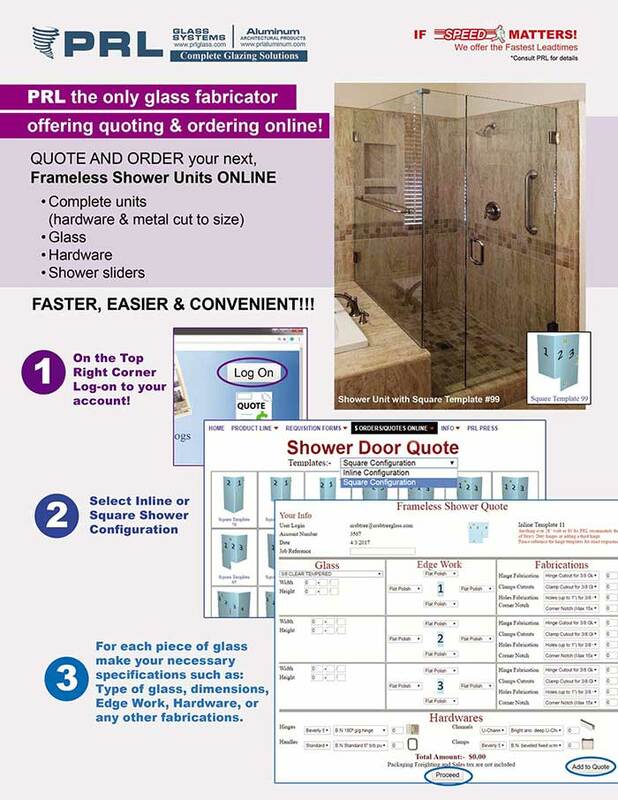 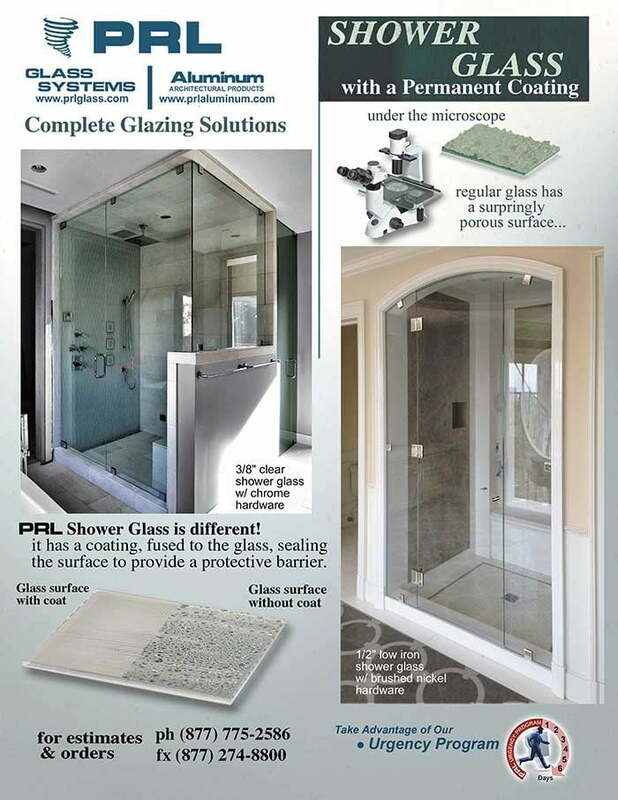 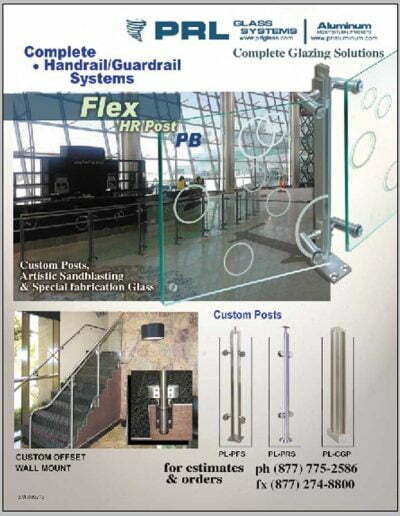 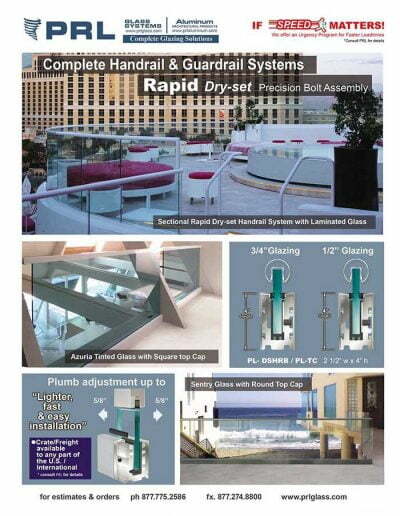 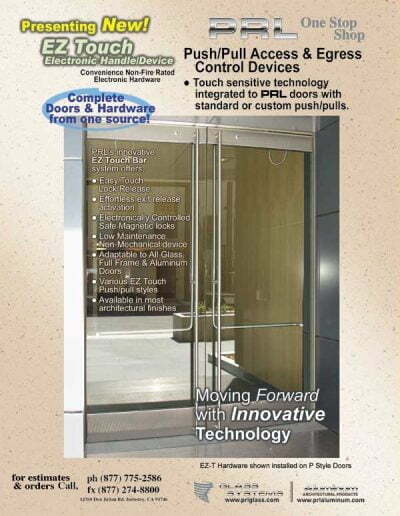 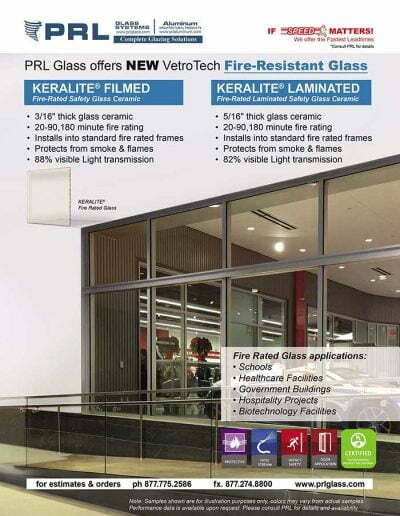 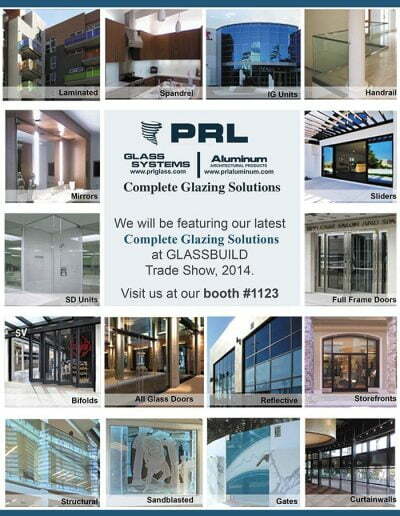 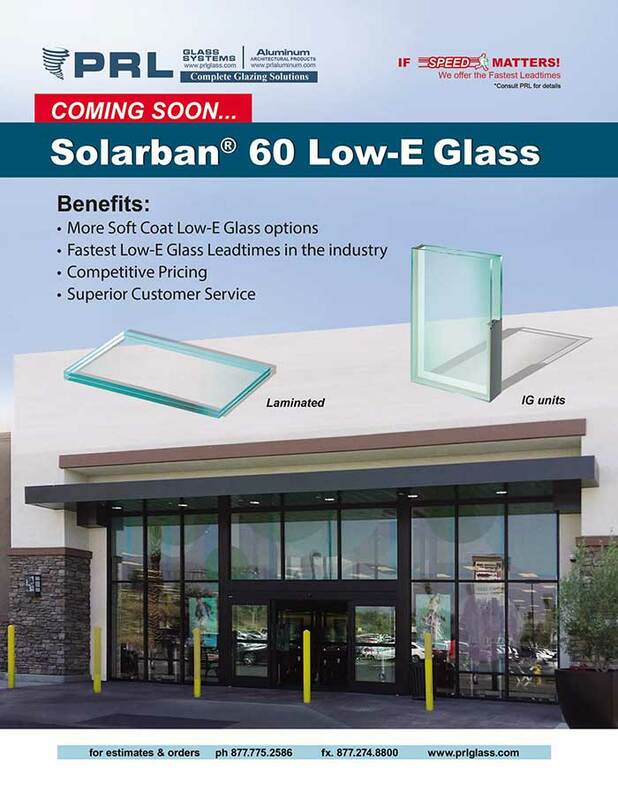 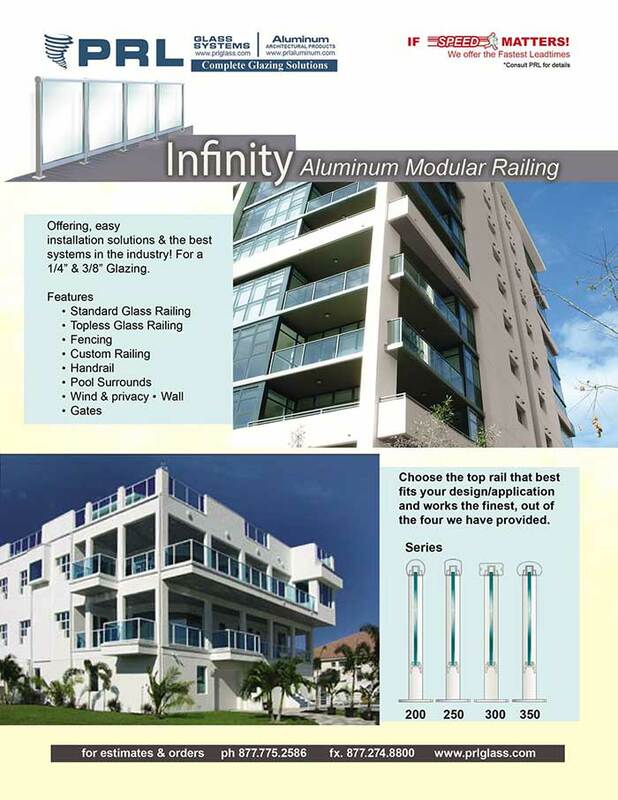 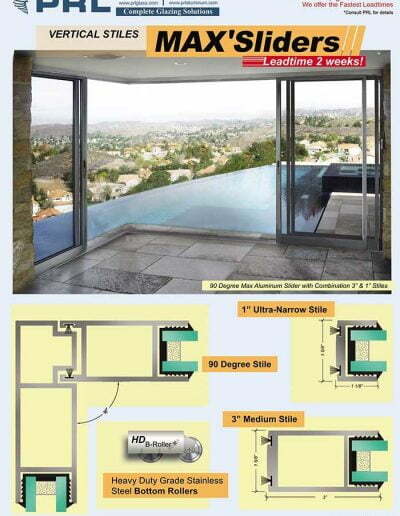 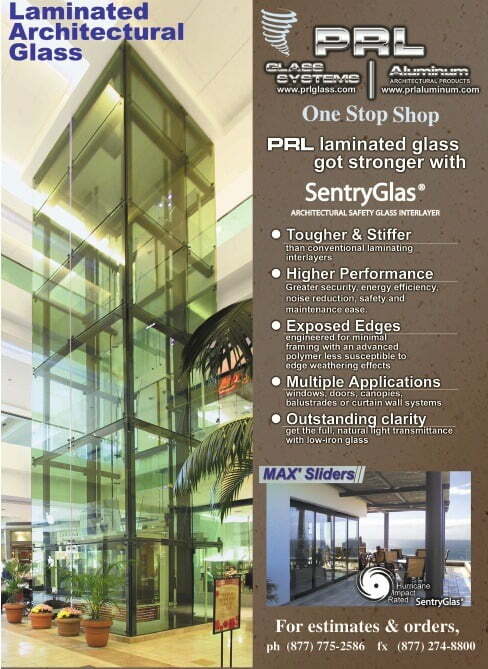 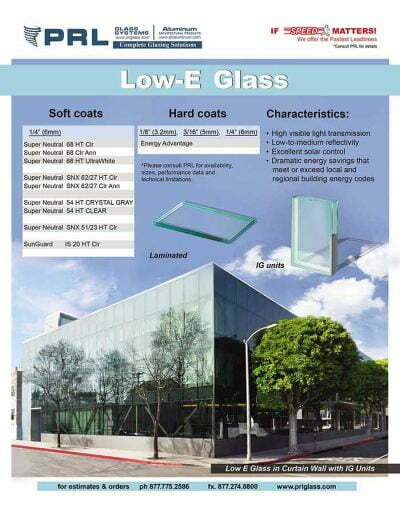 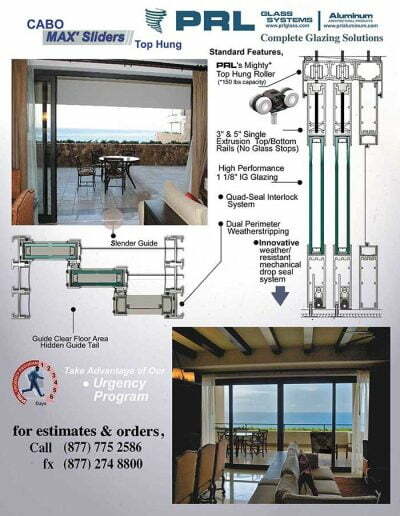 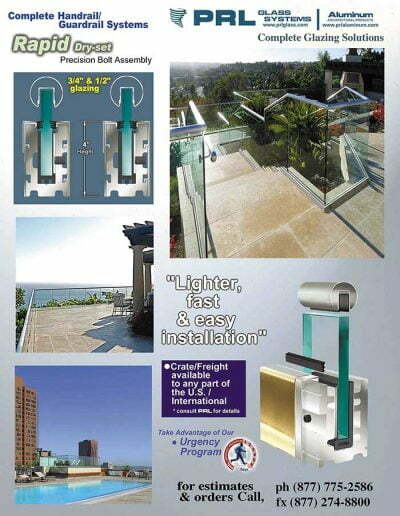 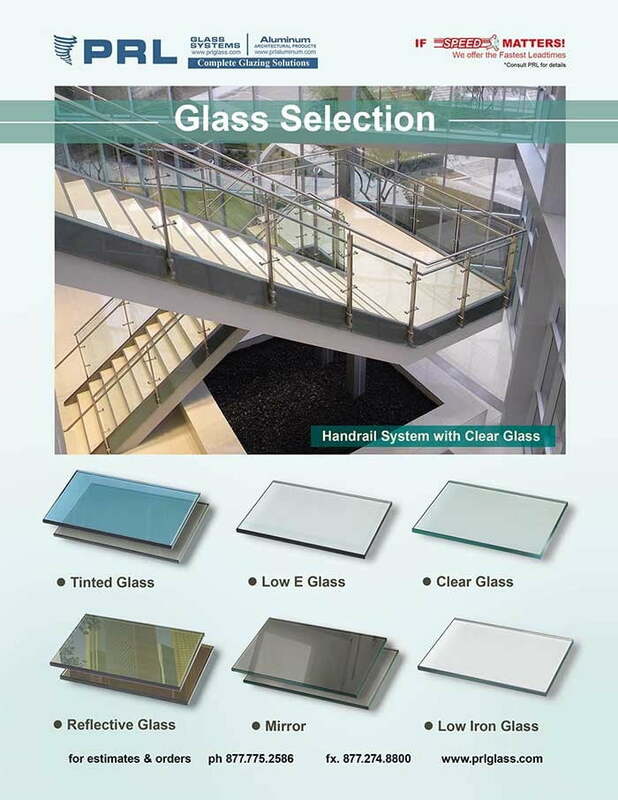 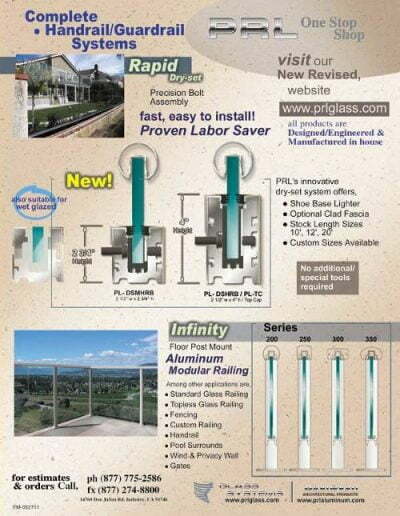 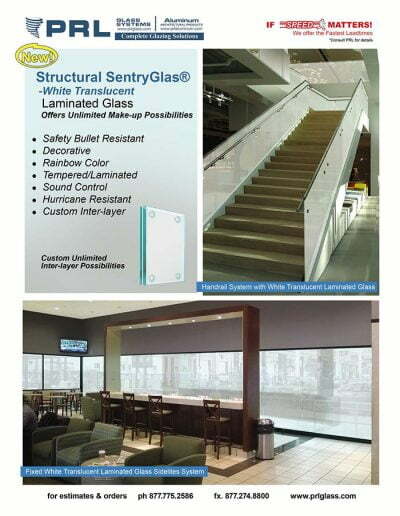 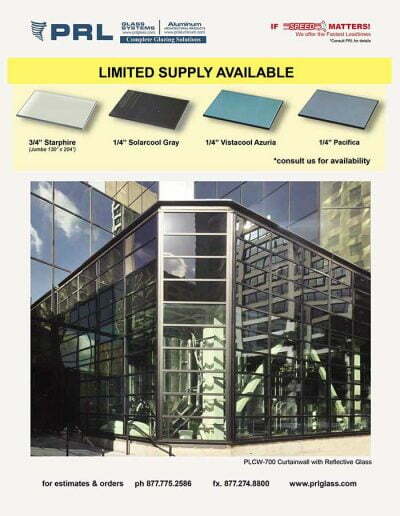 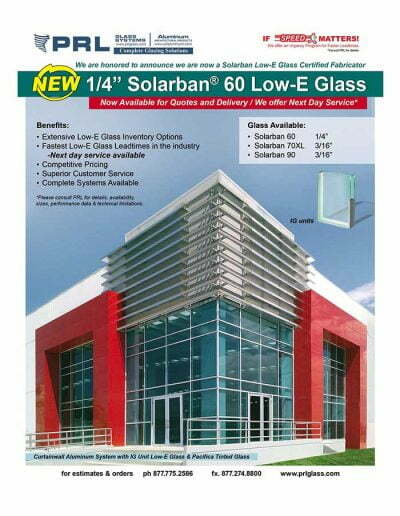 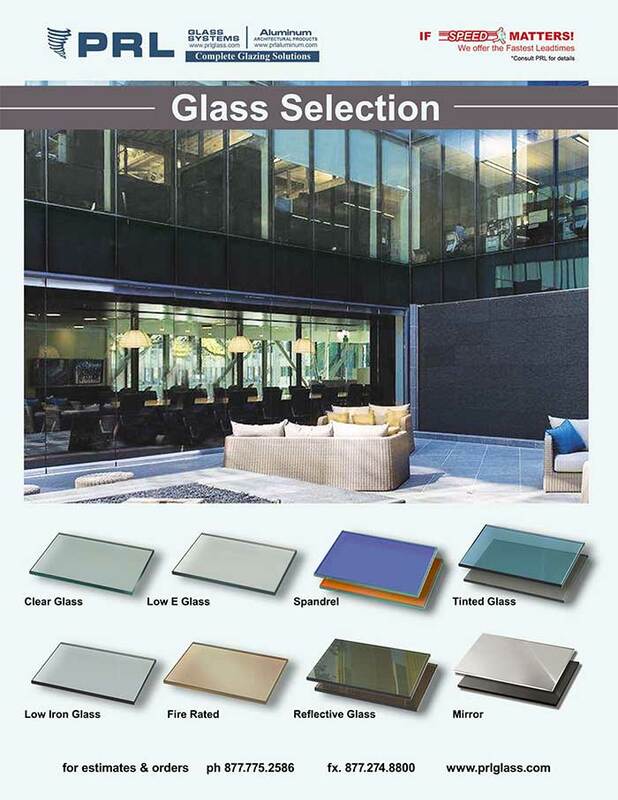 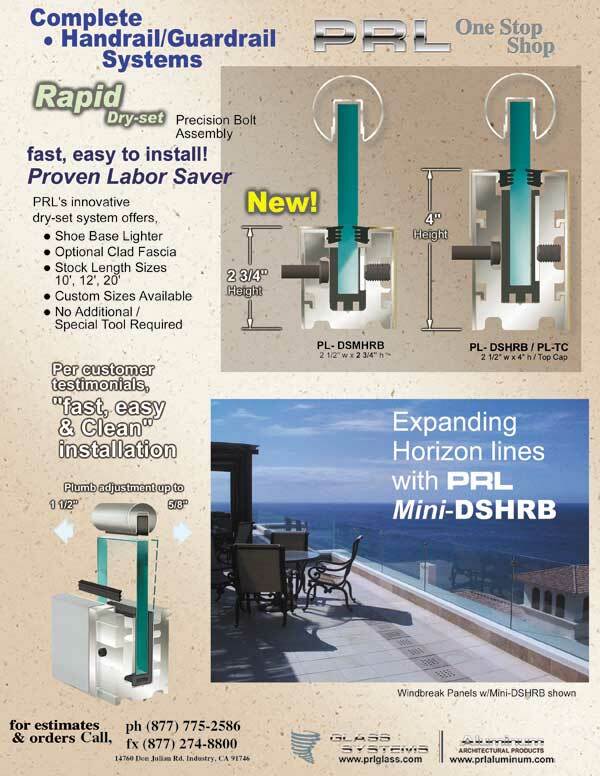 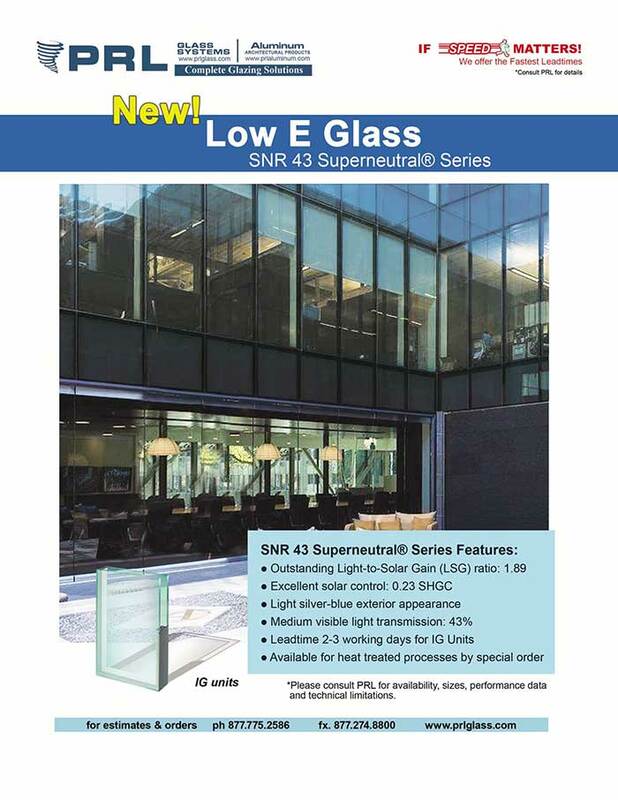 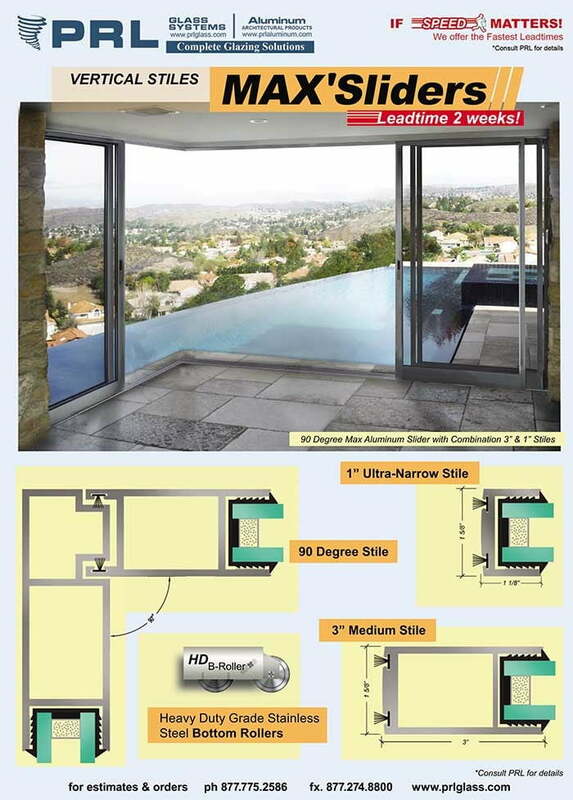 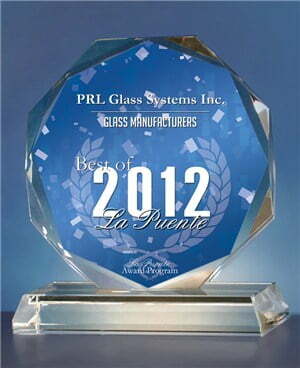 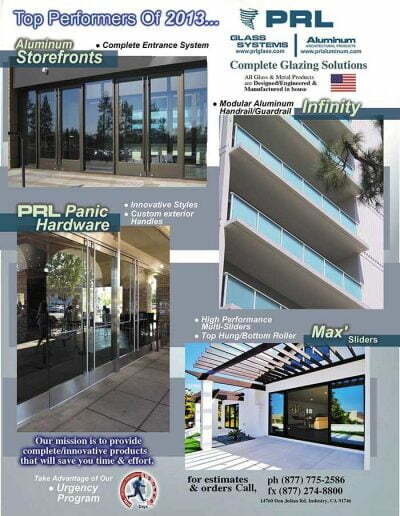 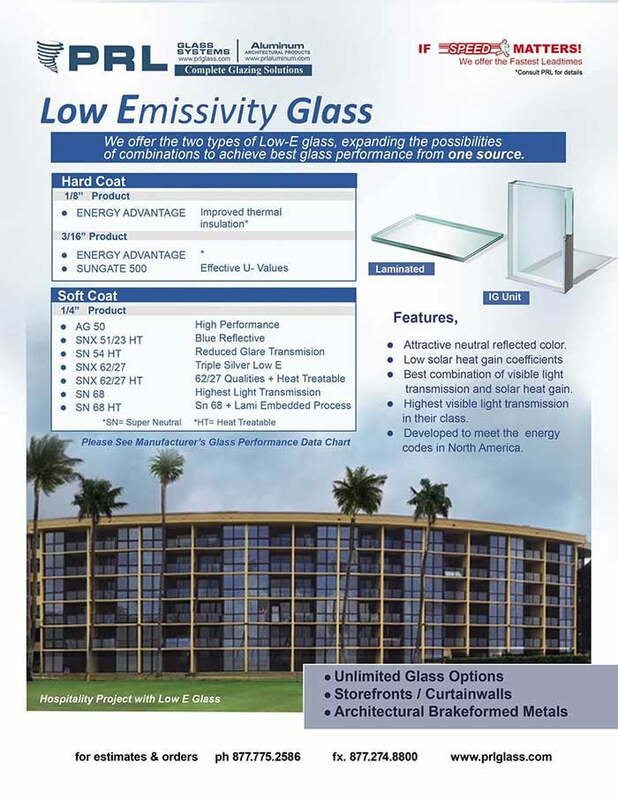 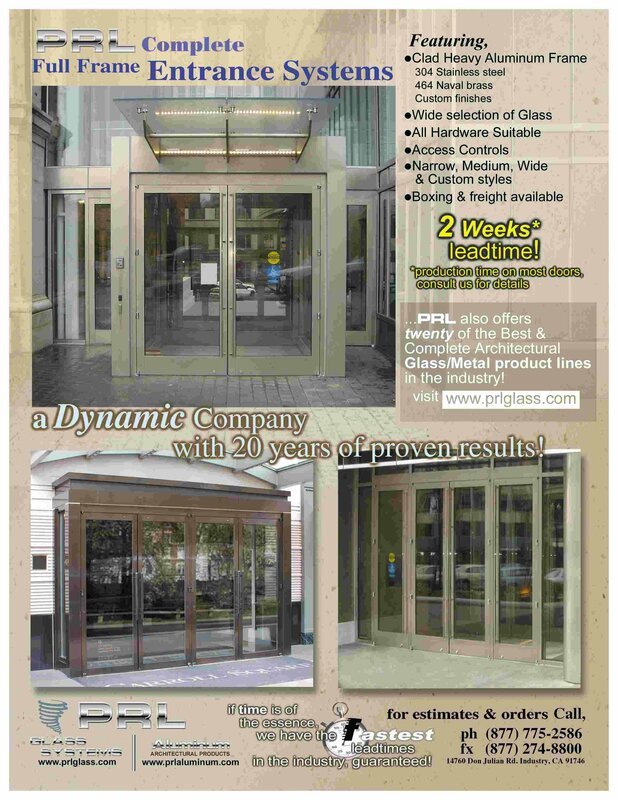 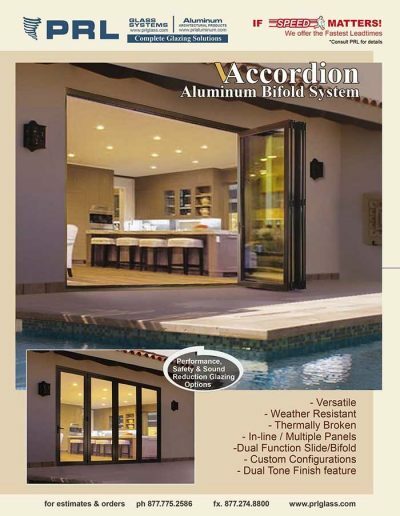 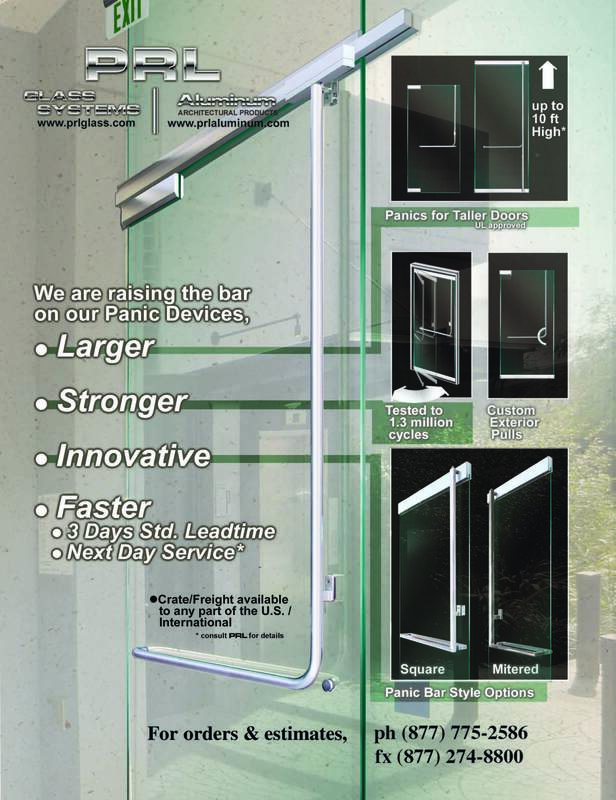 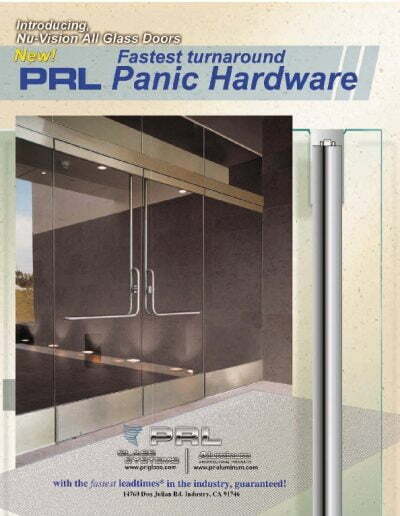 PRL’s Tiffany Top Hung Sliding Glass Doors Provide Elegance, Strength and Easy Installation. 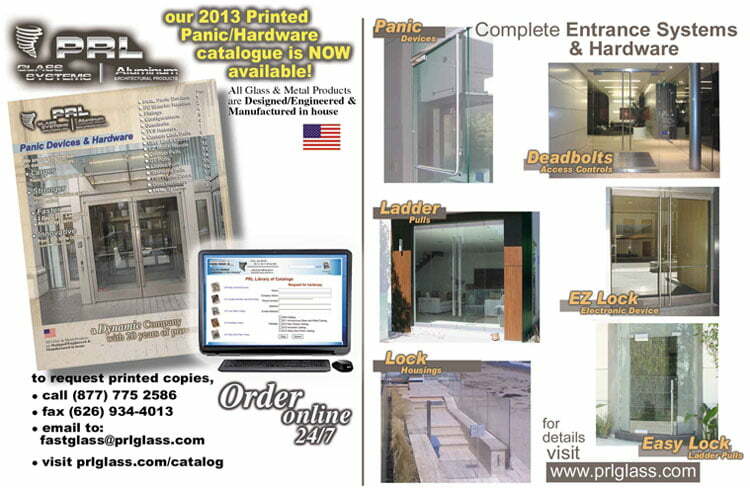 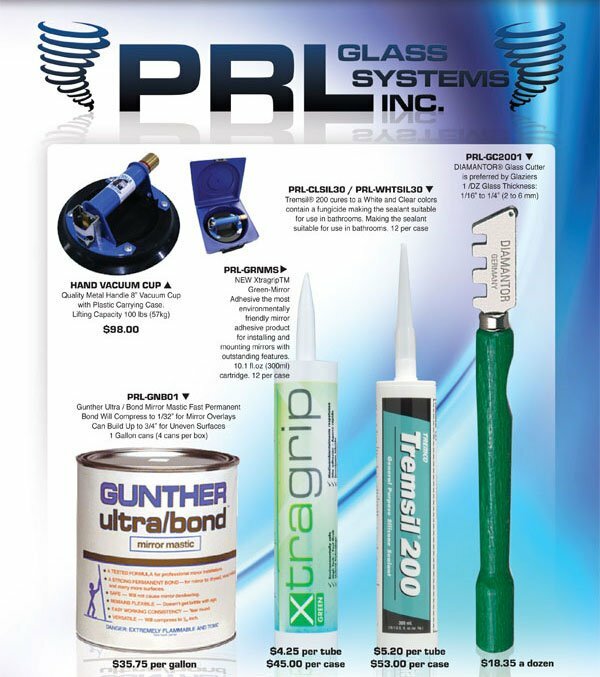 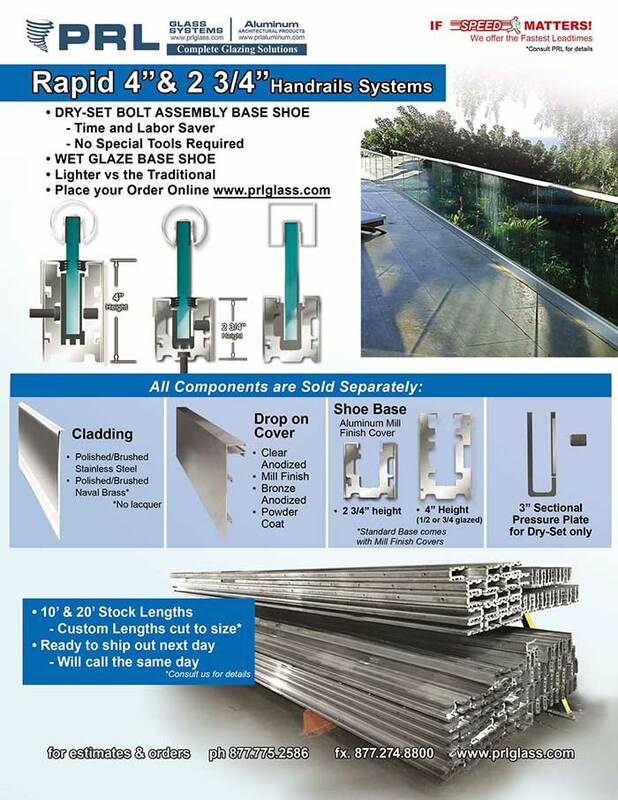 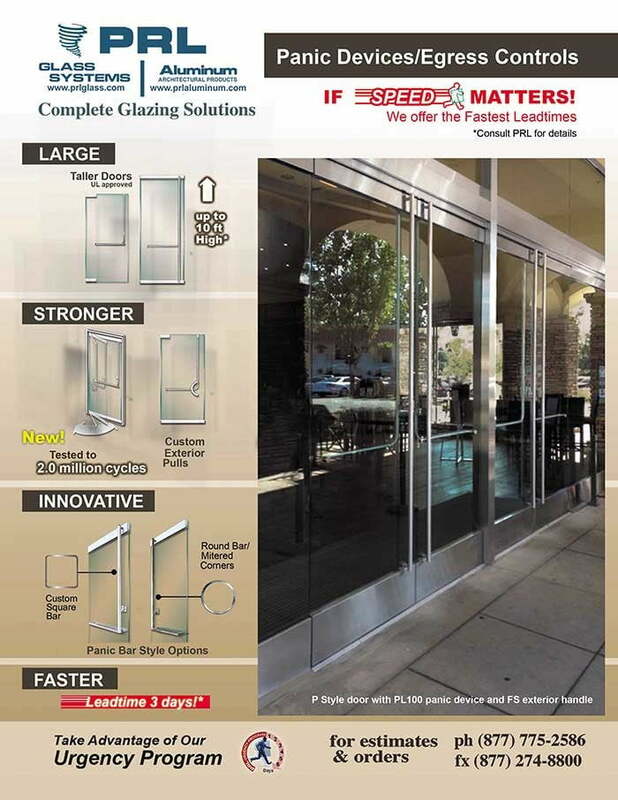 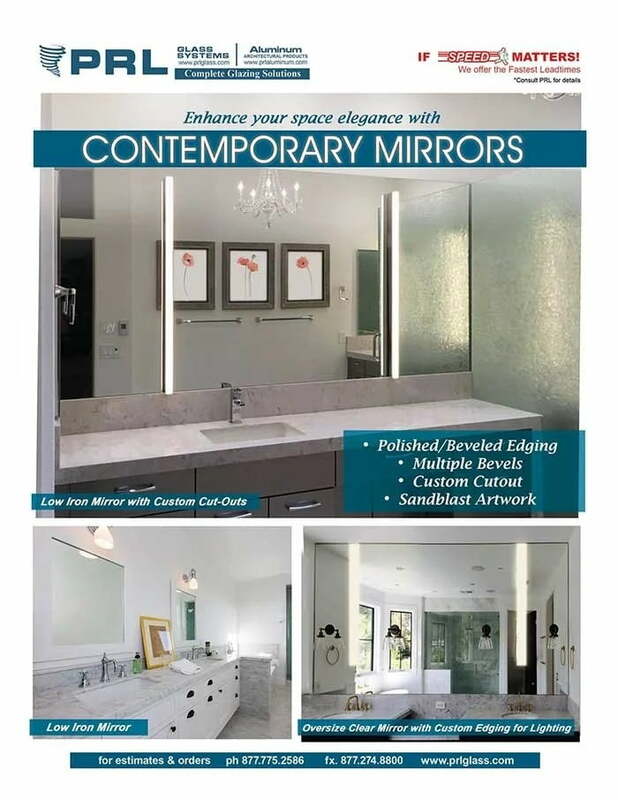 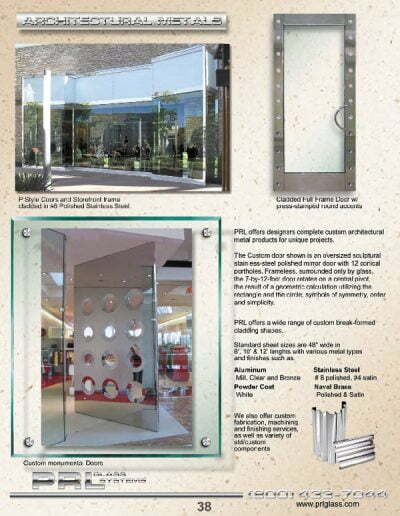 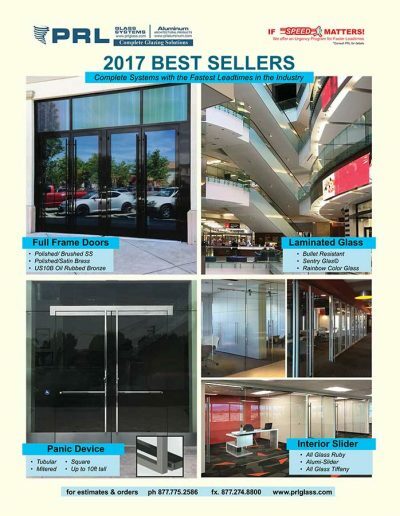 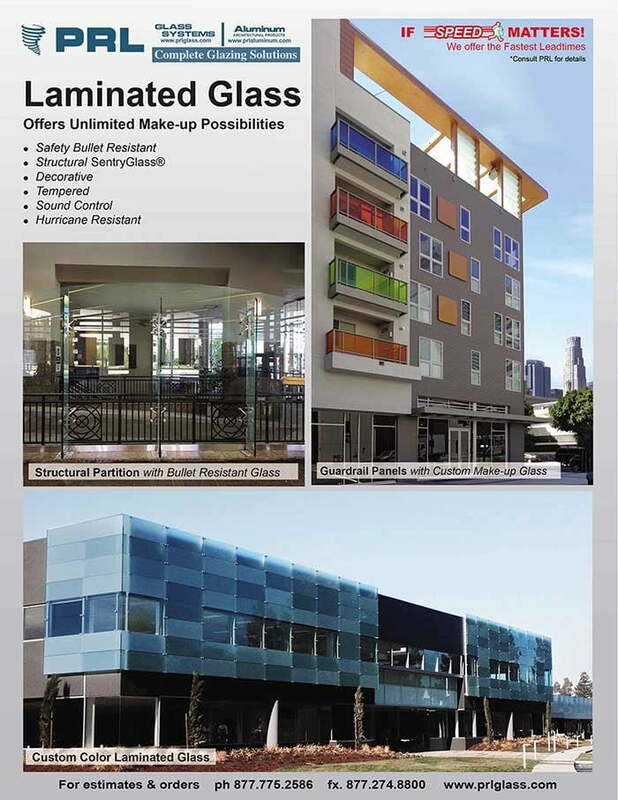 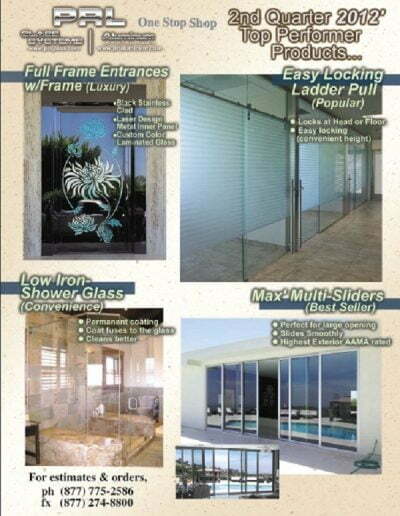 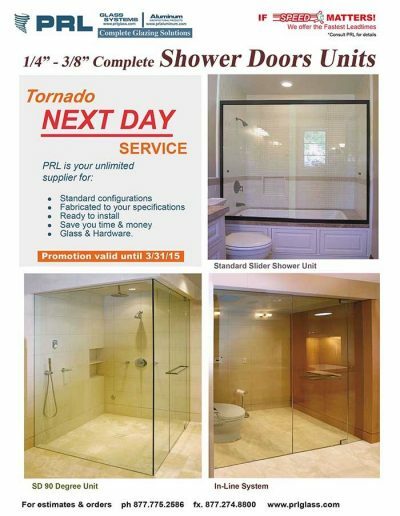 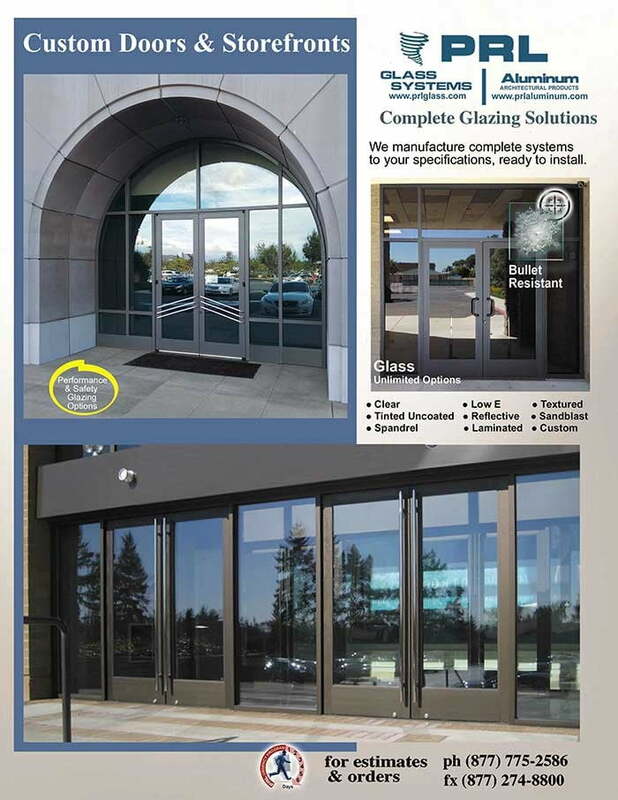 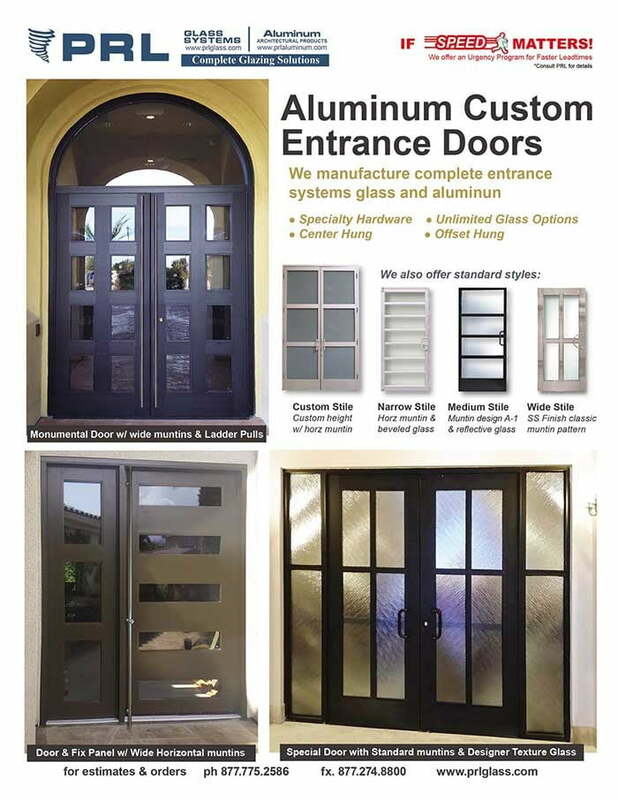 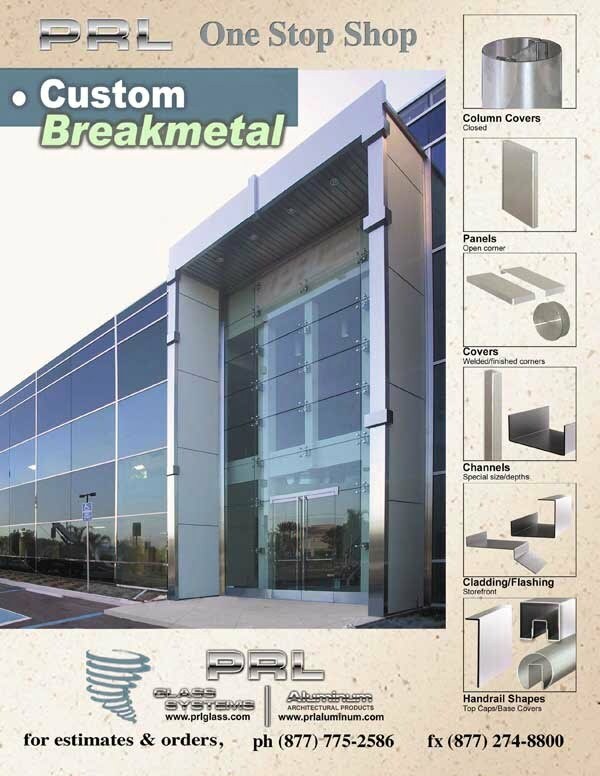 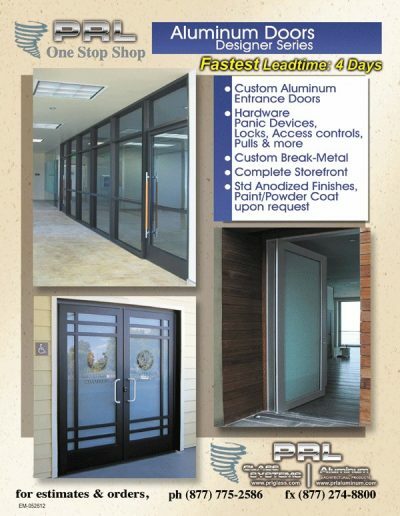 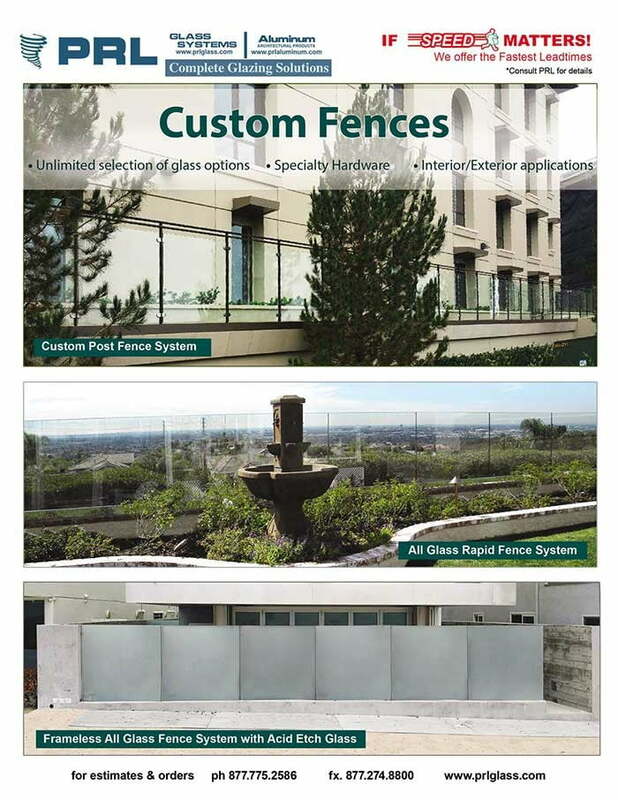 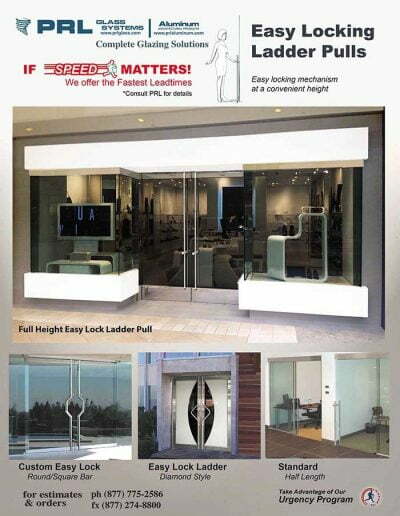 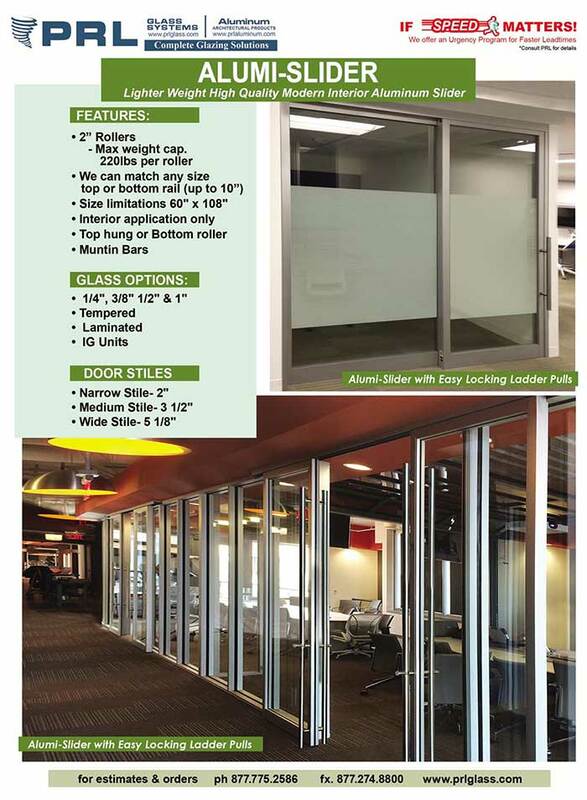 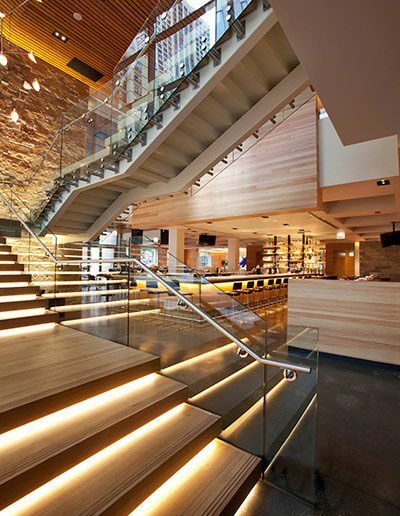 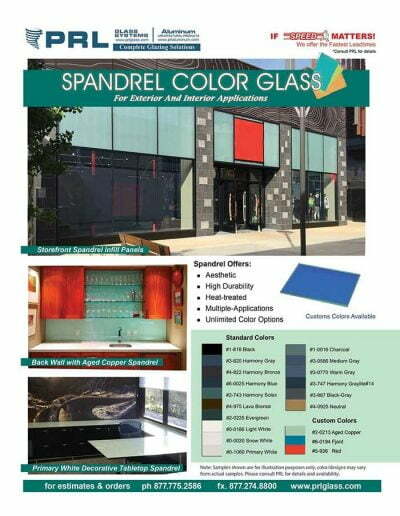 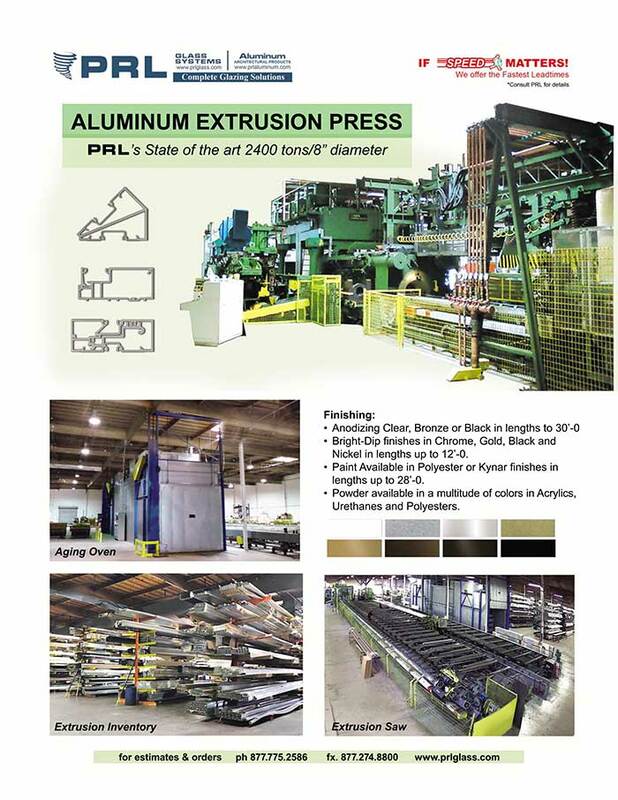 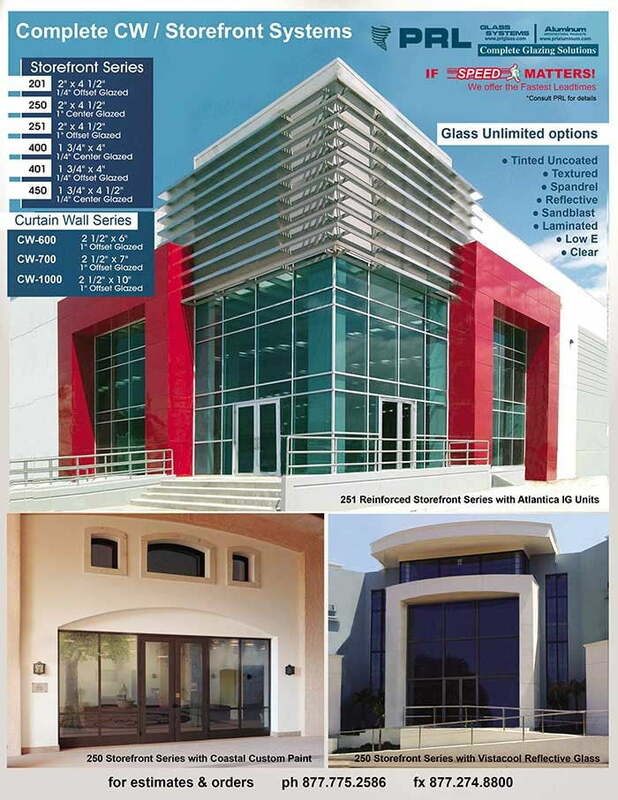 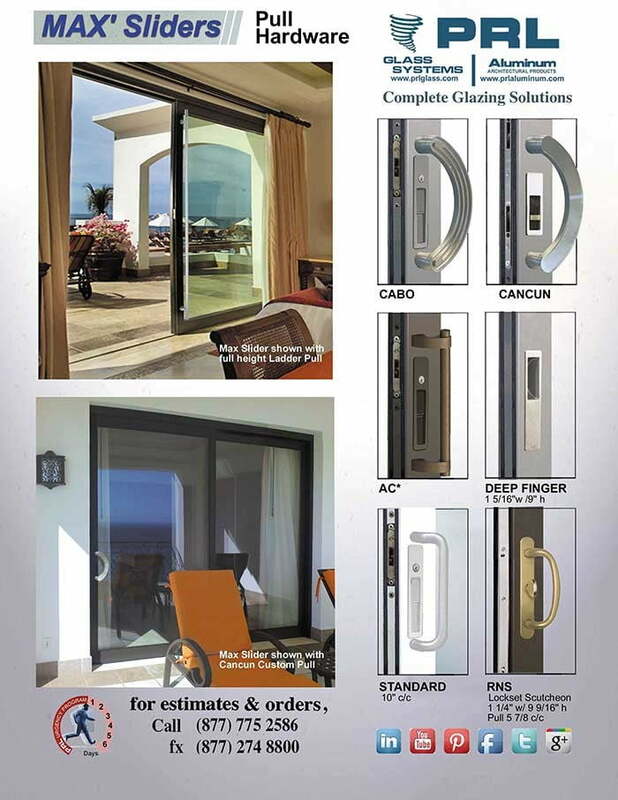 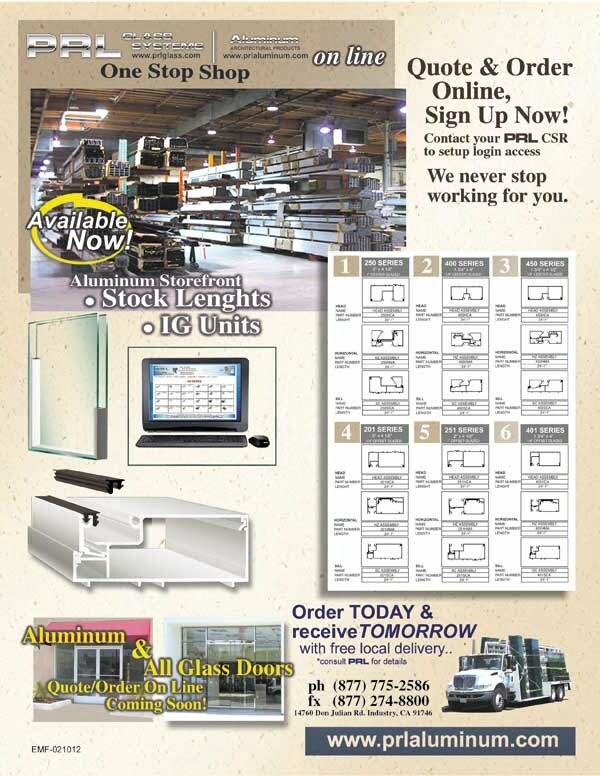 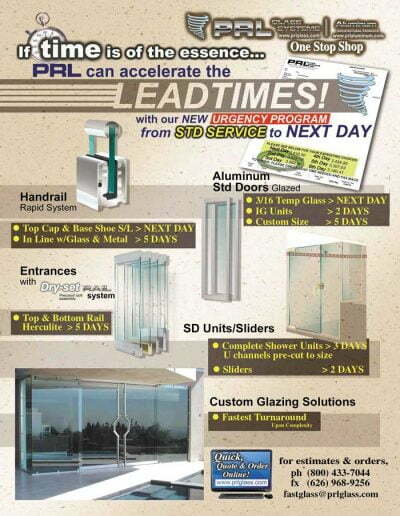 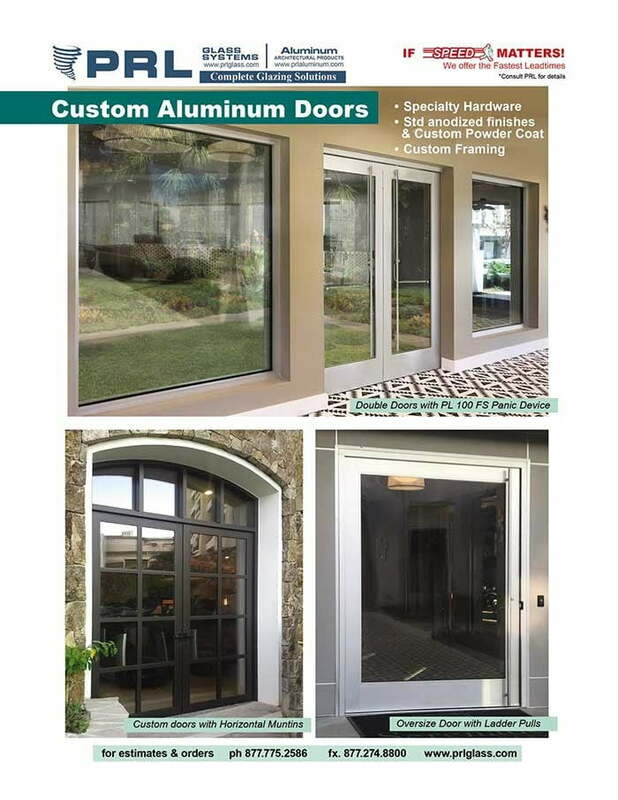 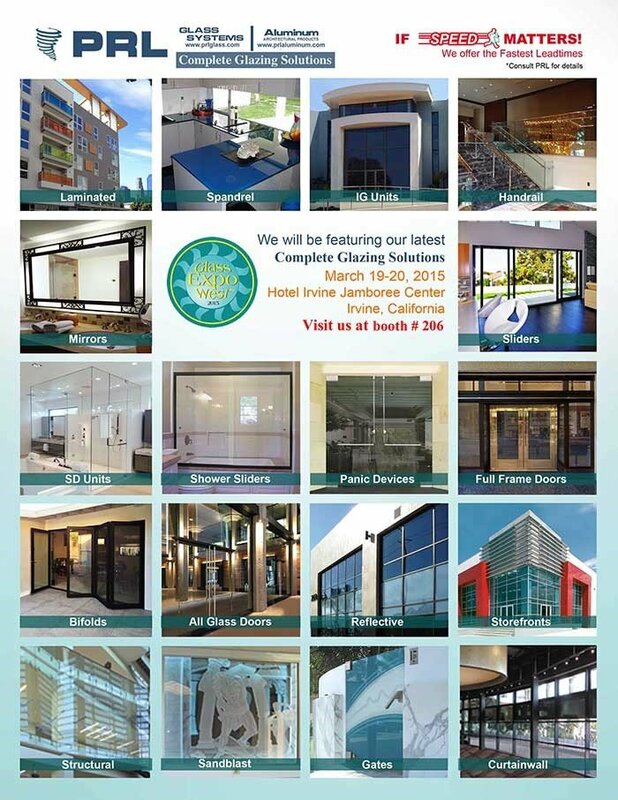 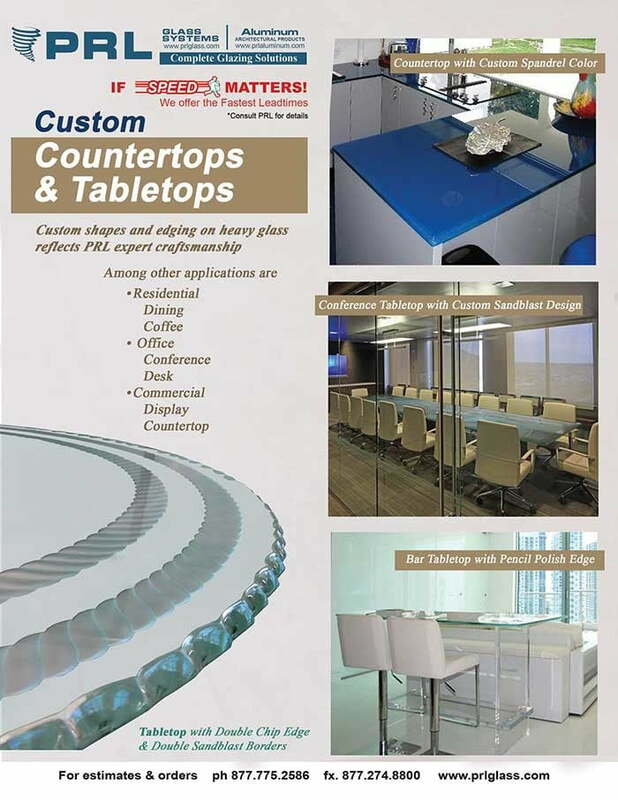 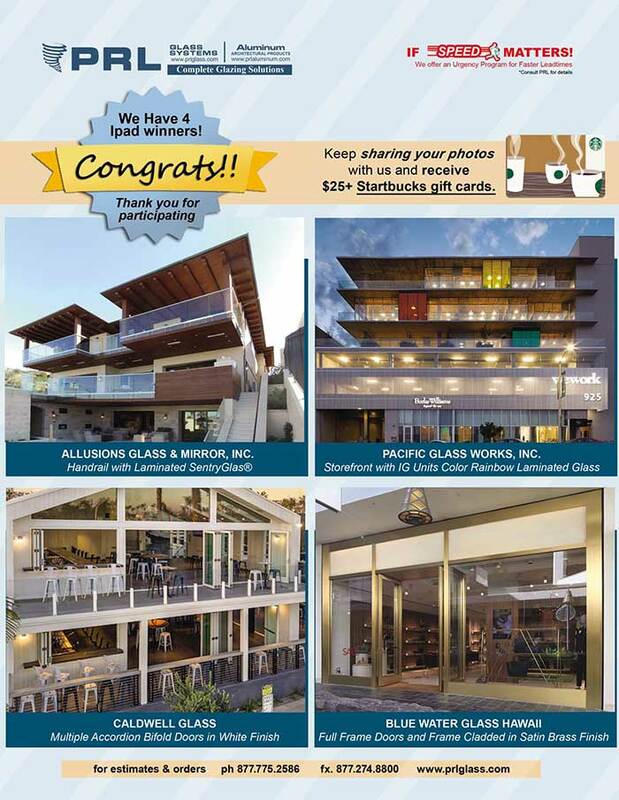 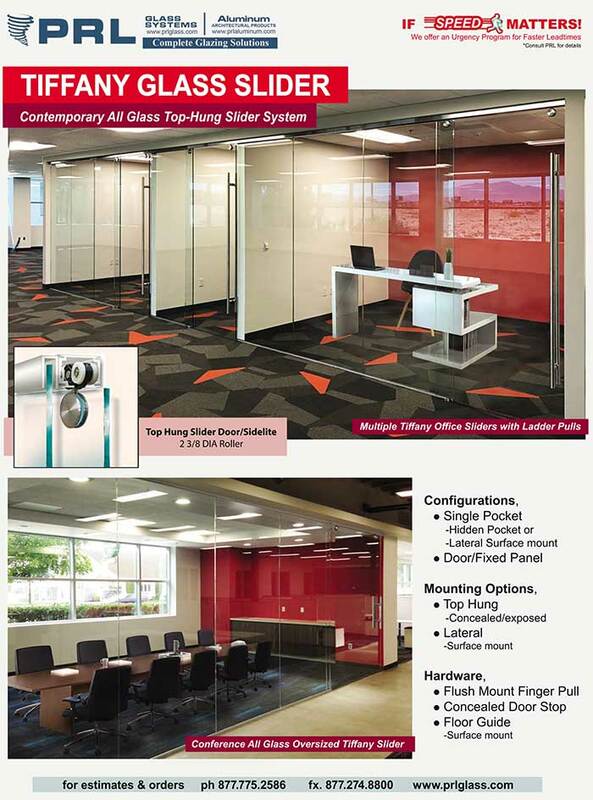 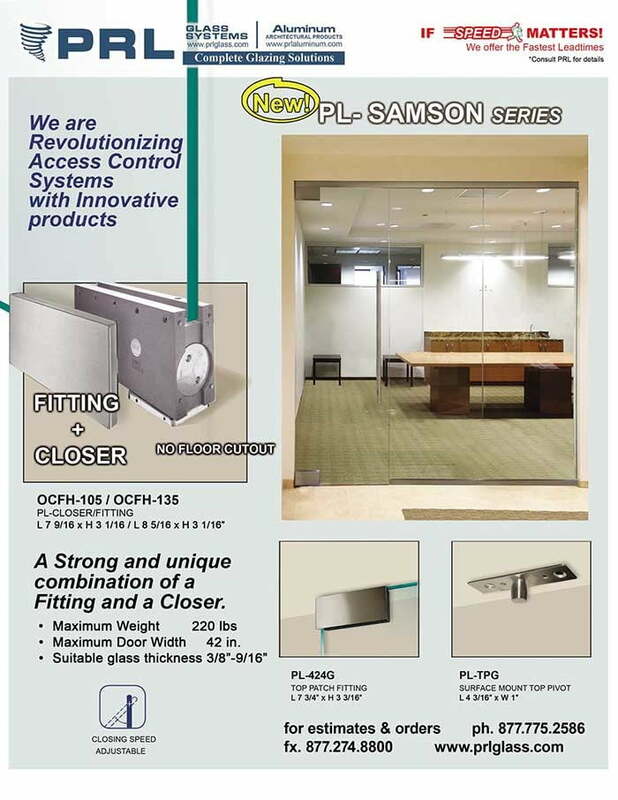 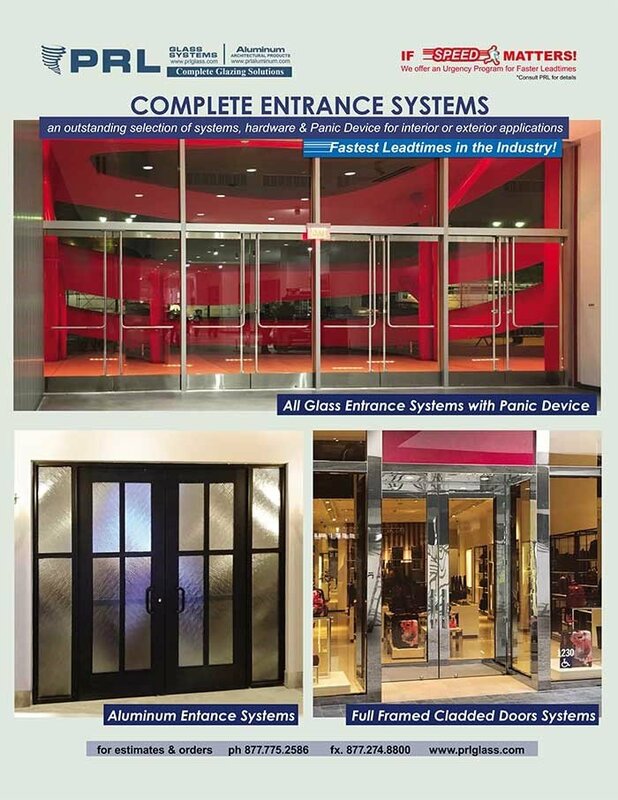 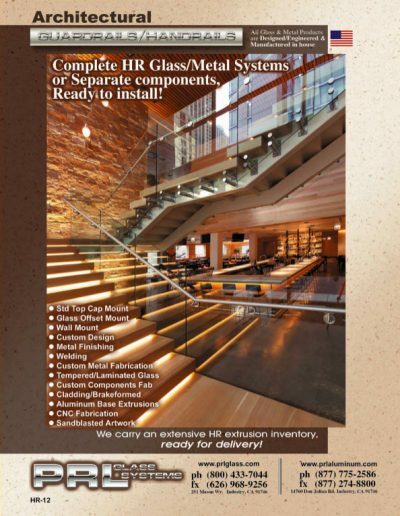 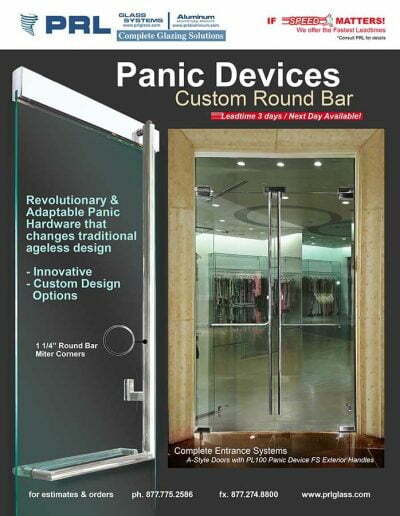 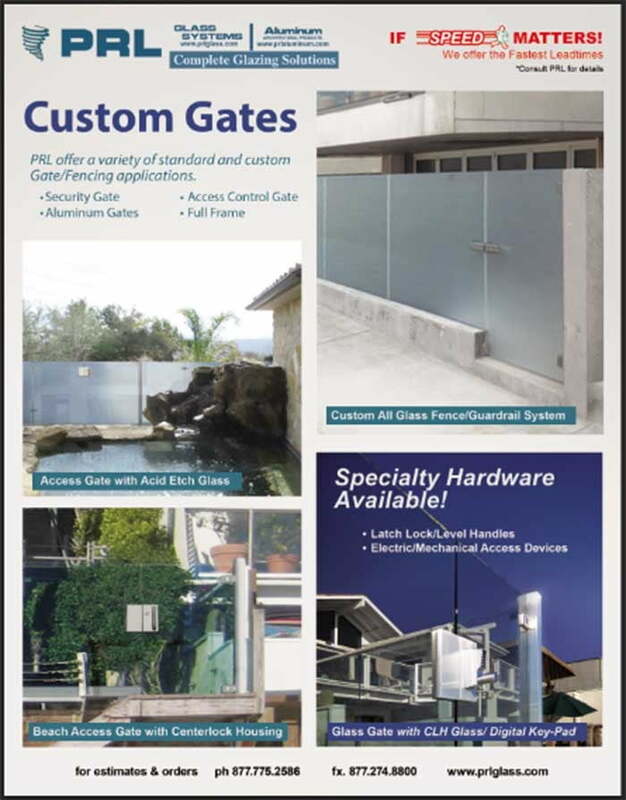 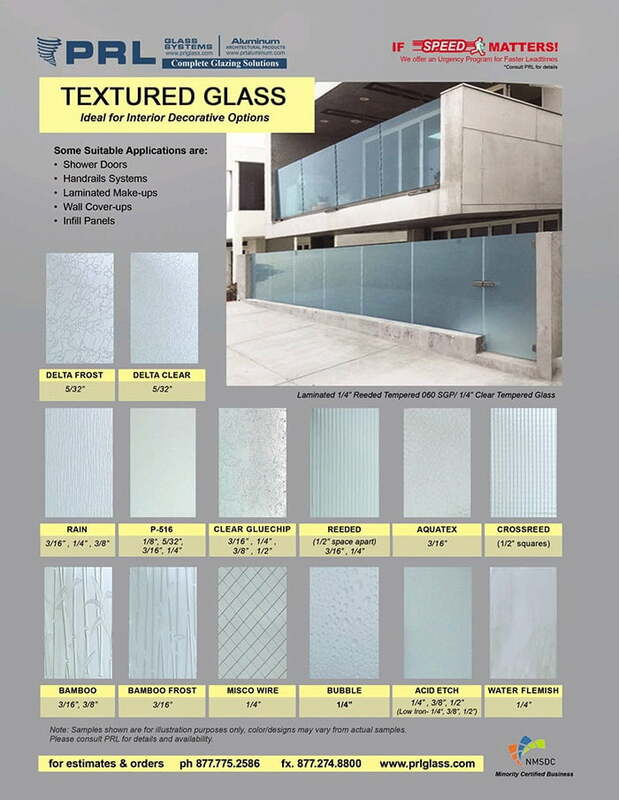 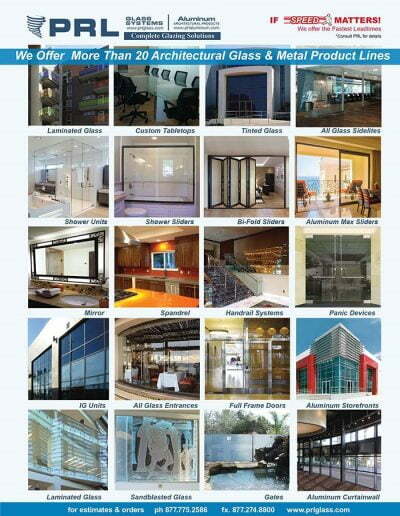 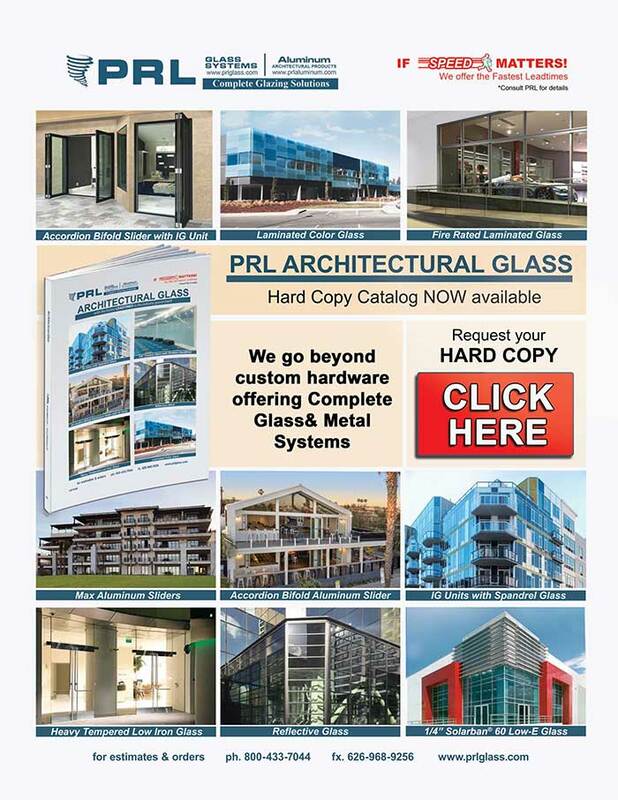 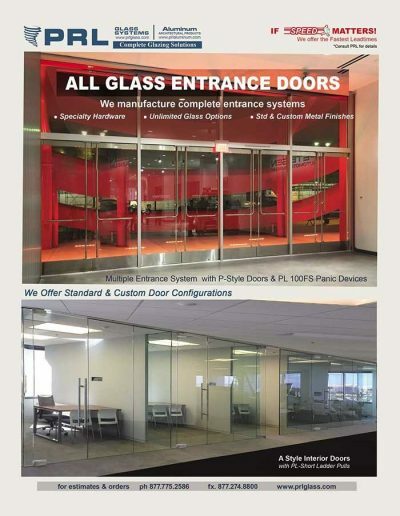 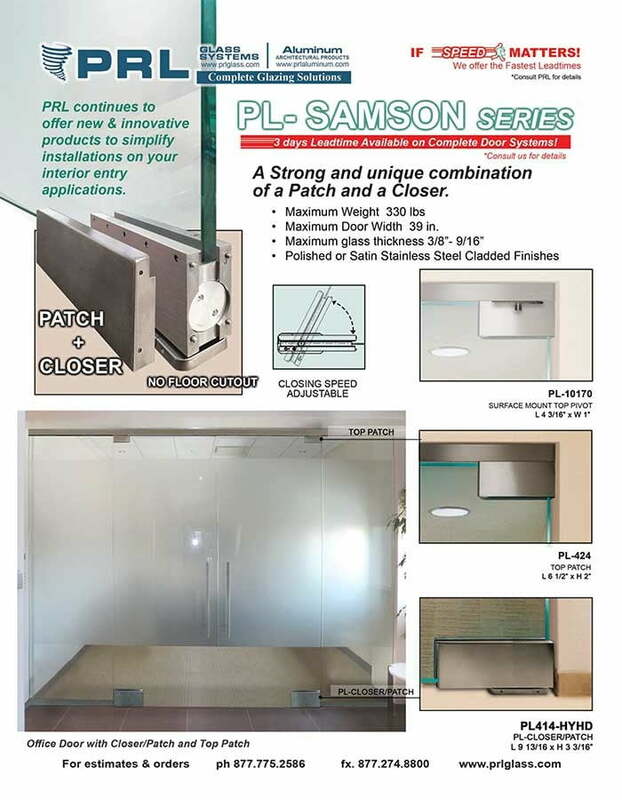 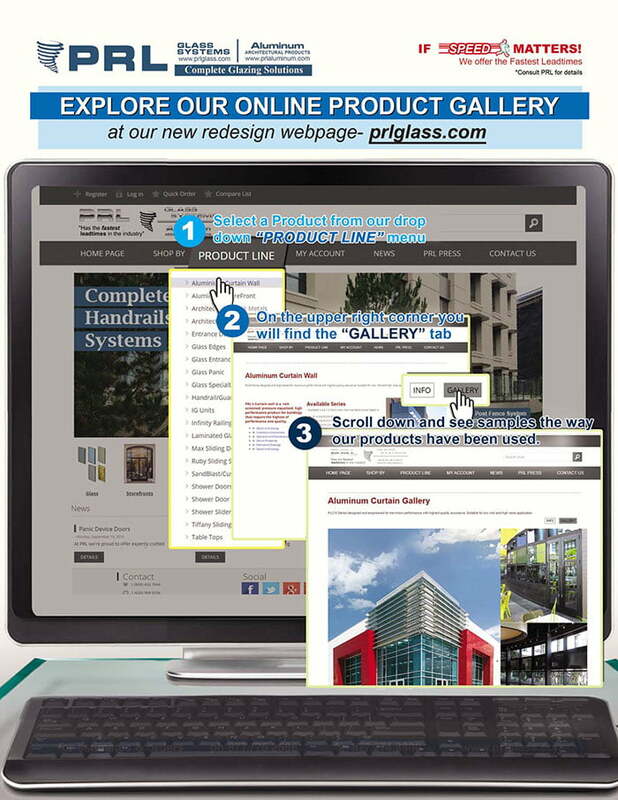 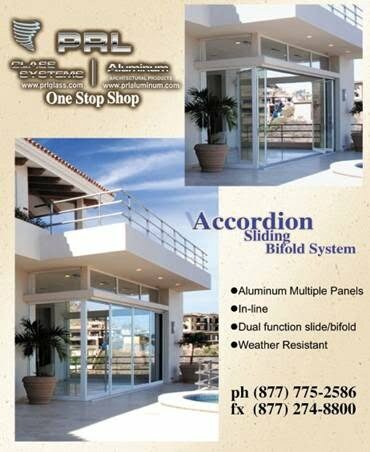 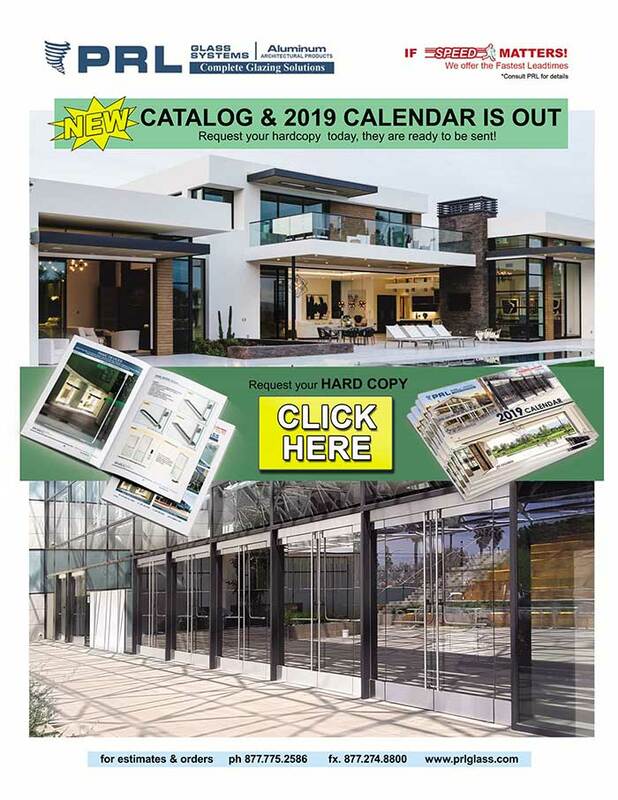 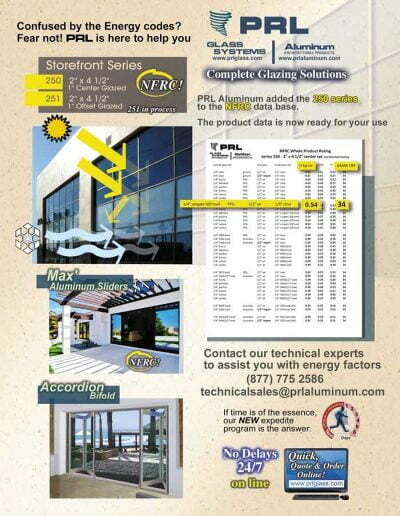 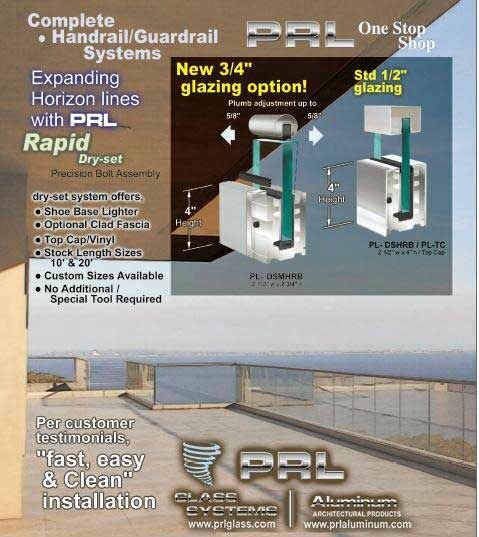 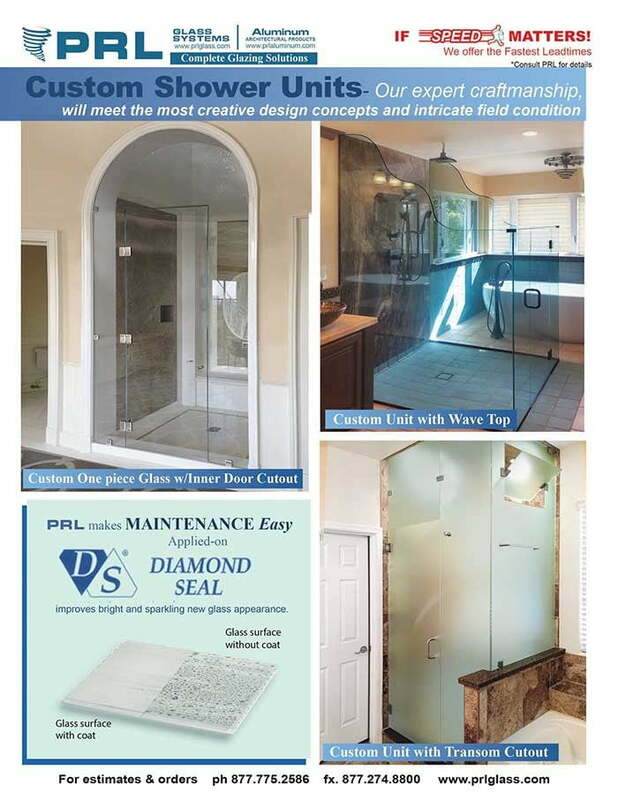 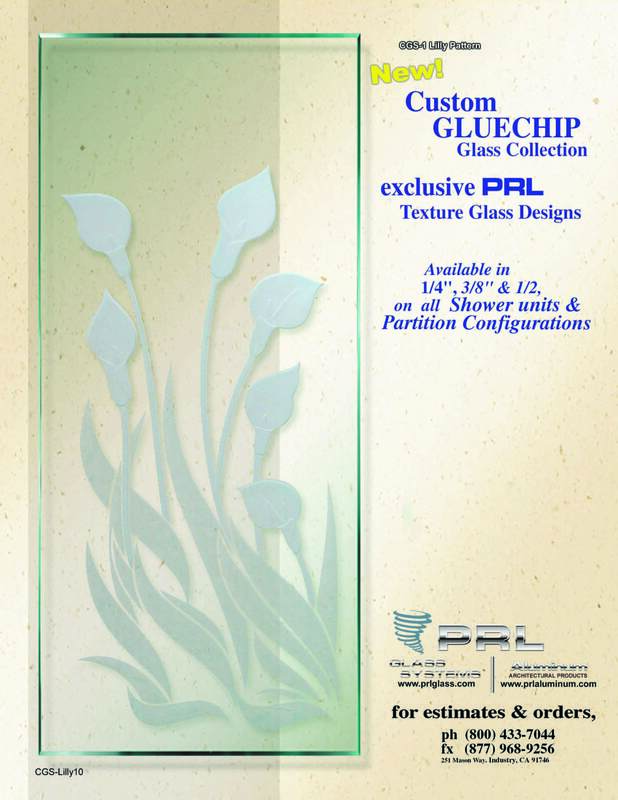 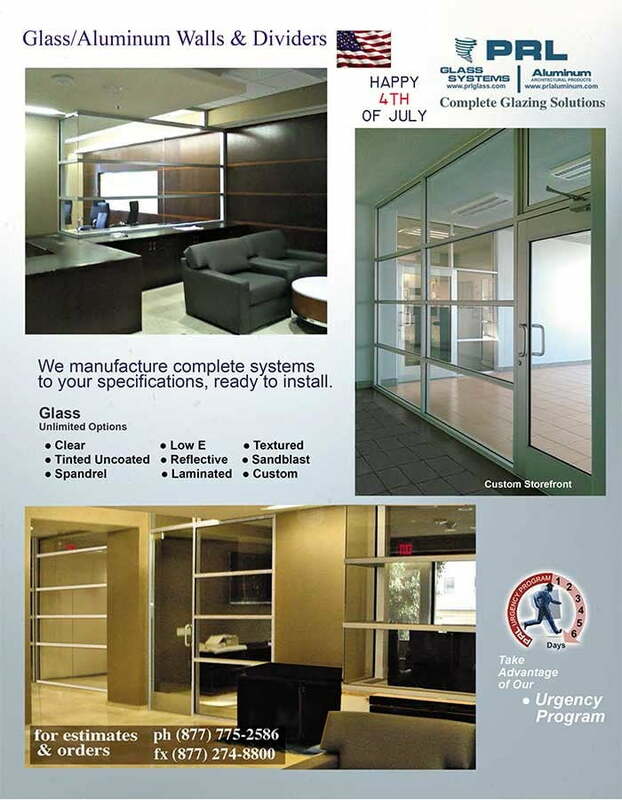 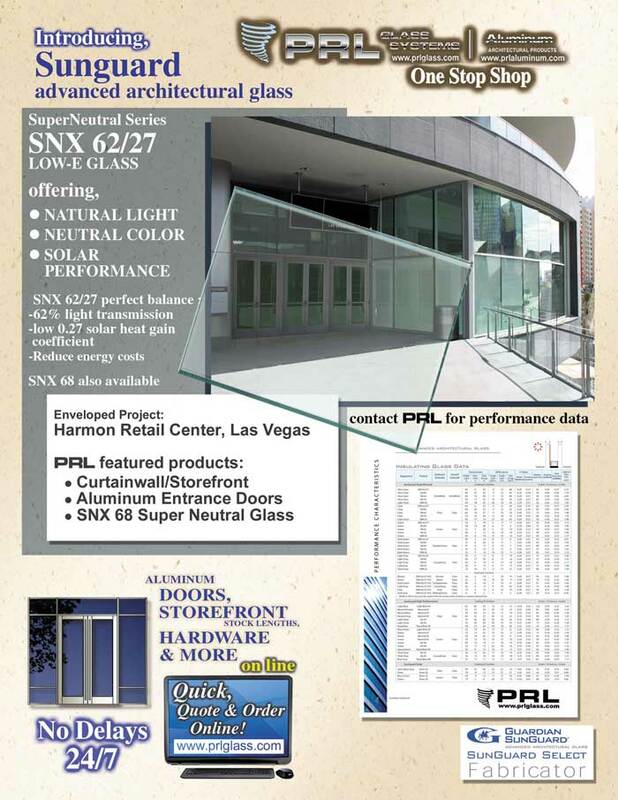 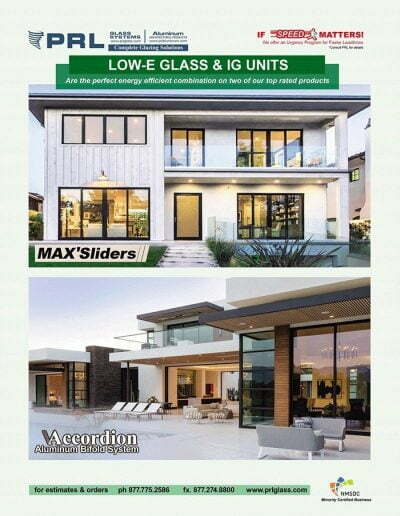 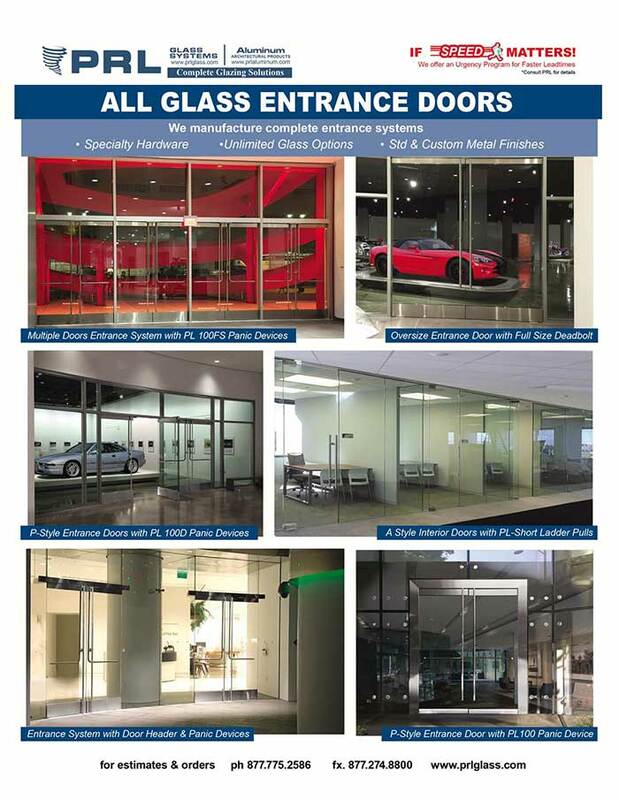 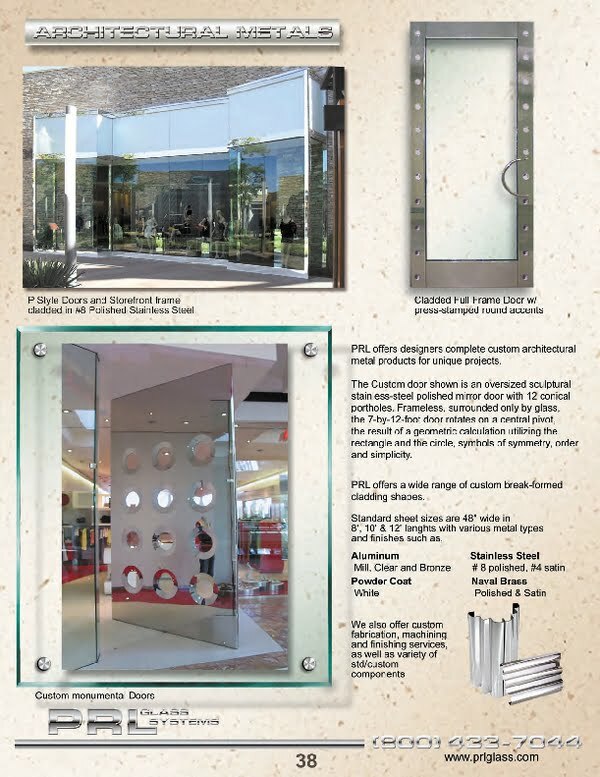 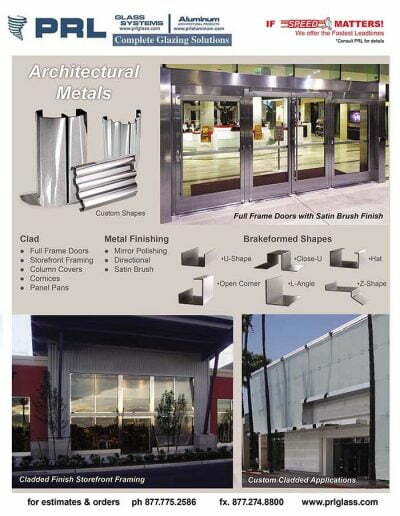 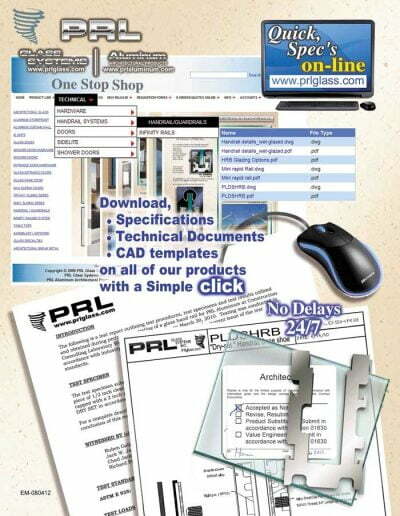 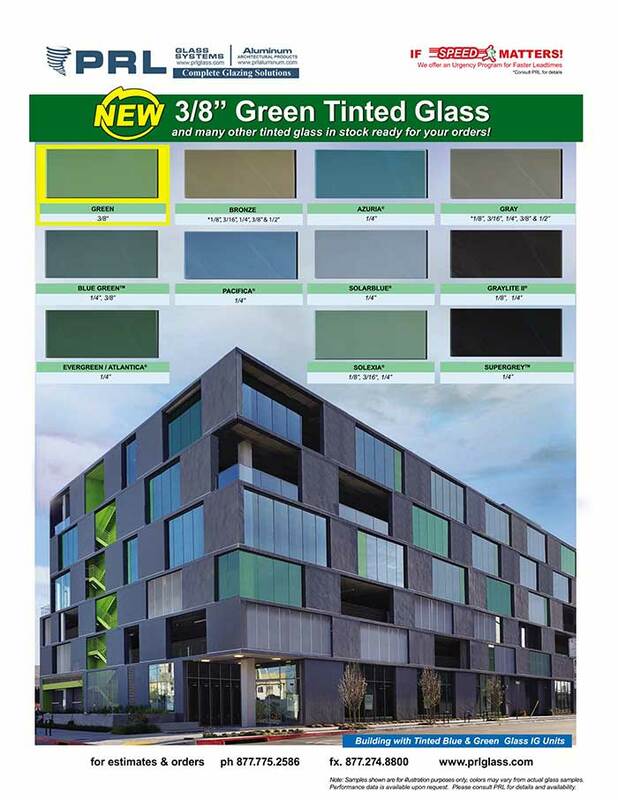 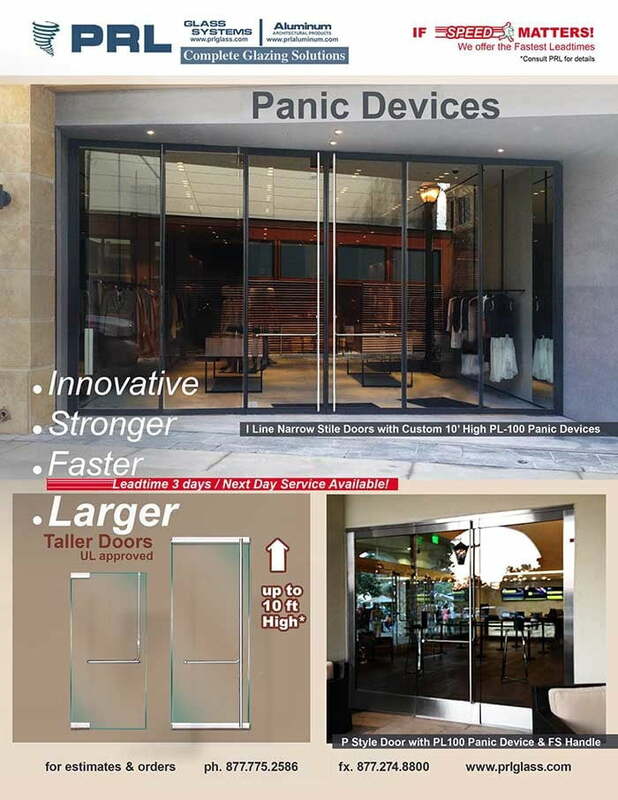 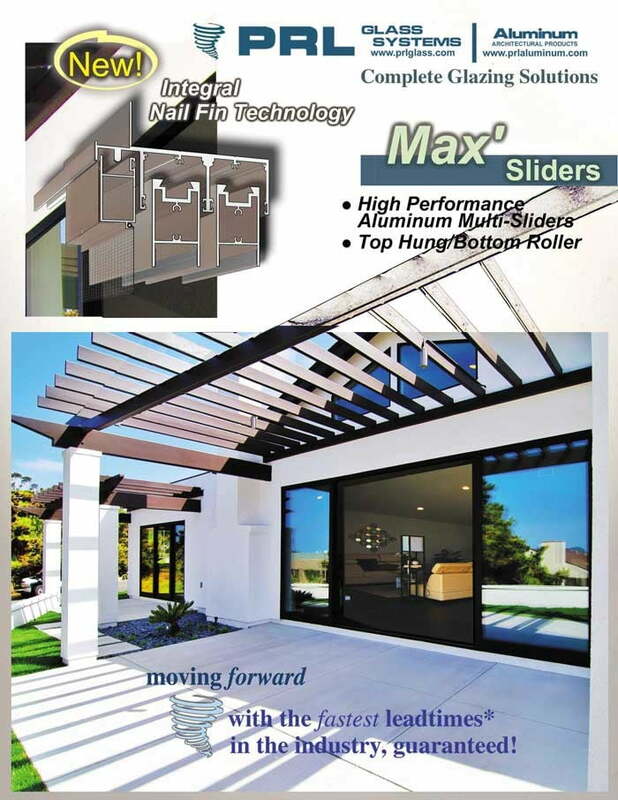 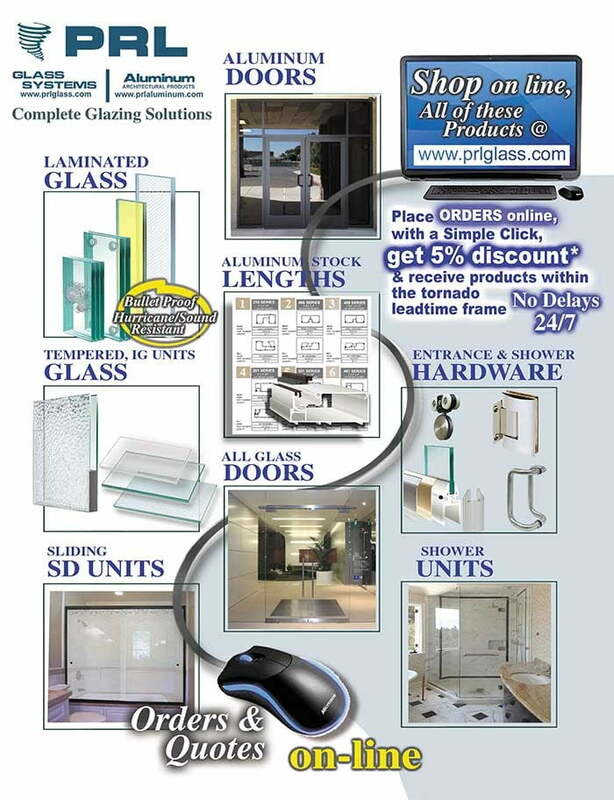 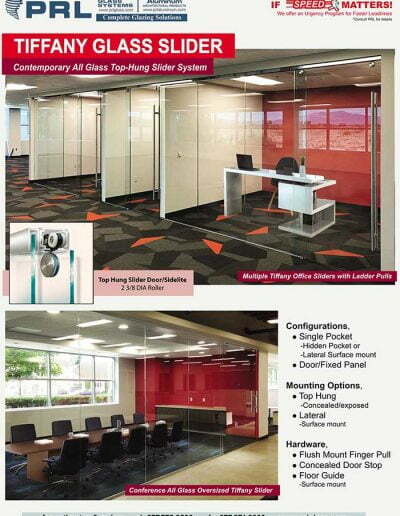 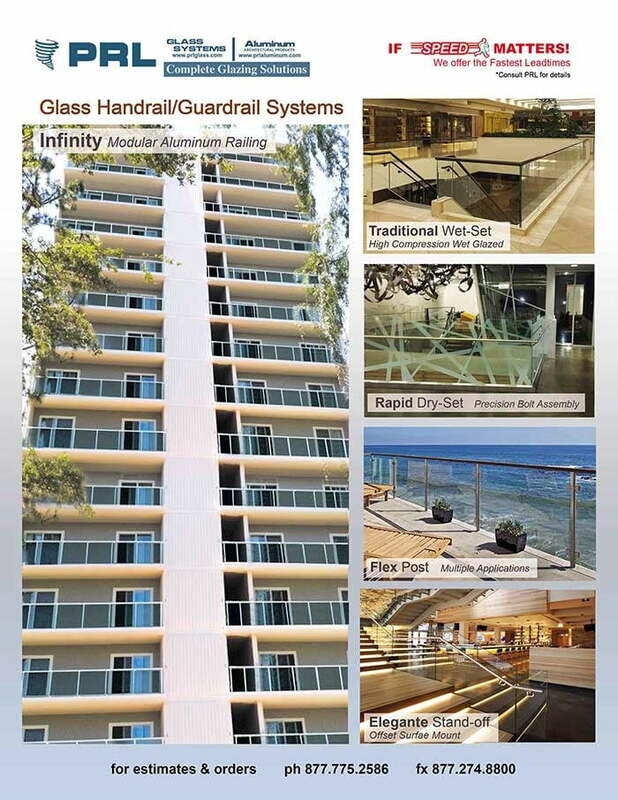 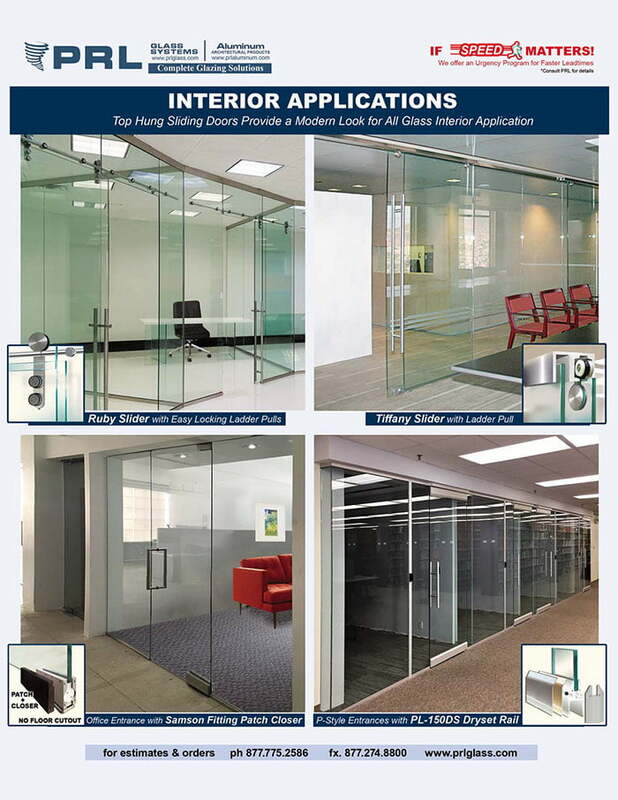 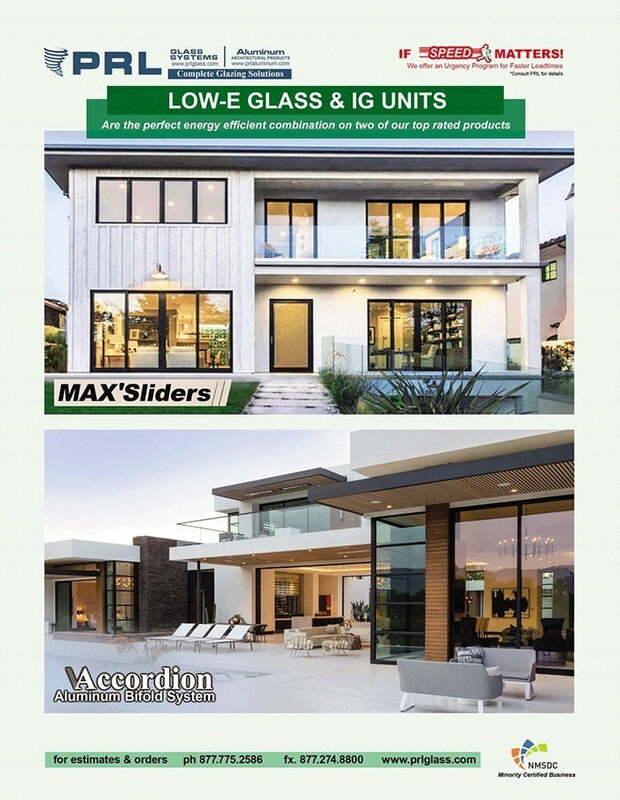 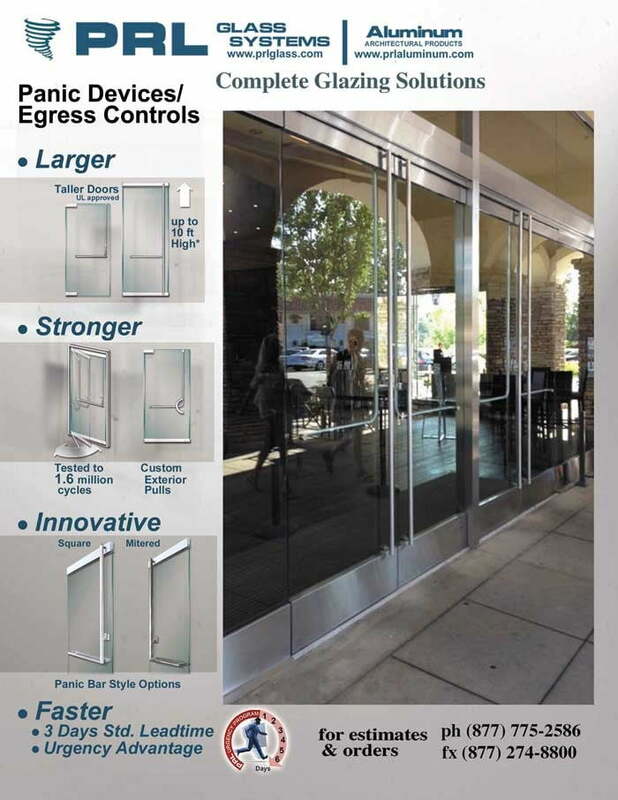 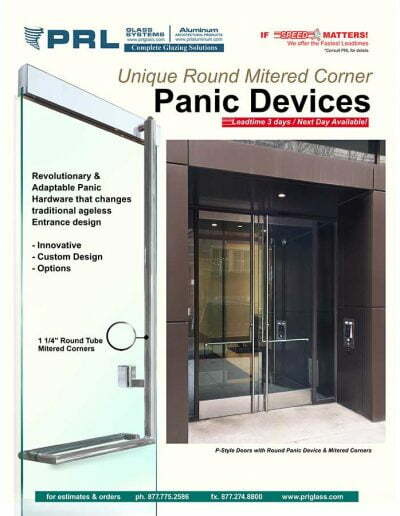 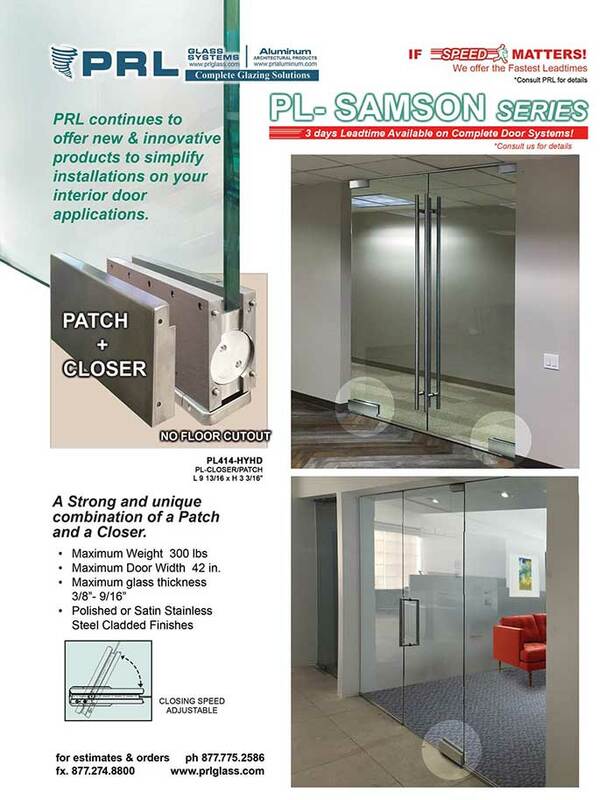 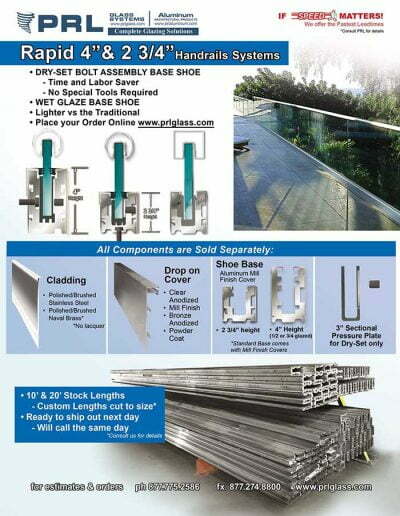 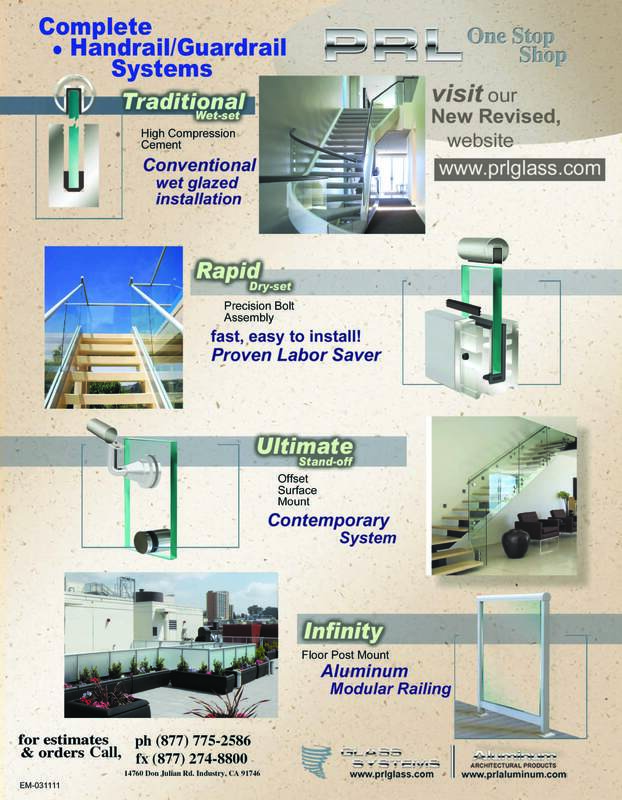 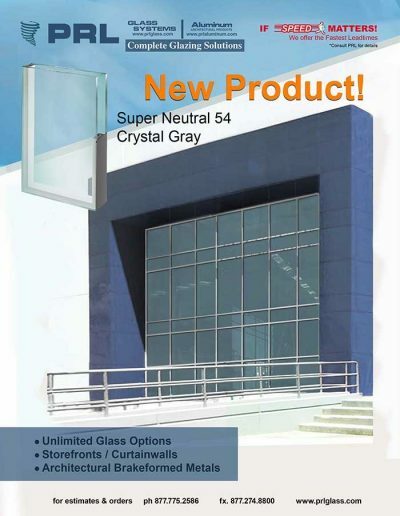 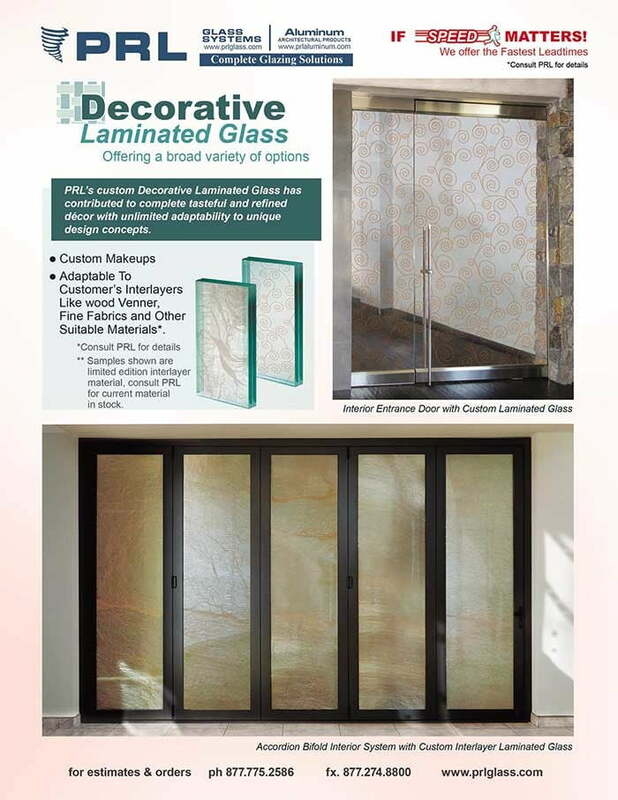 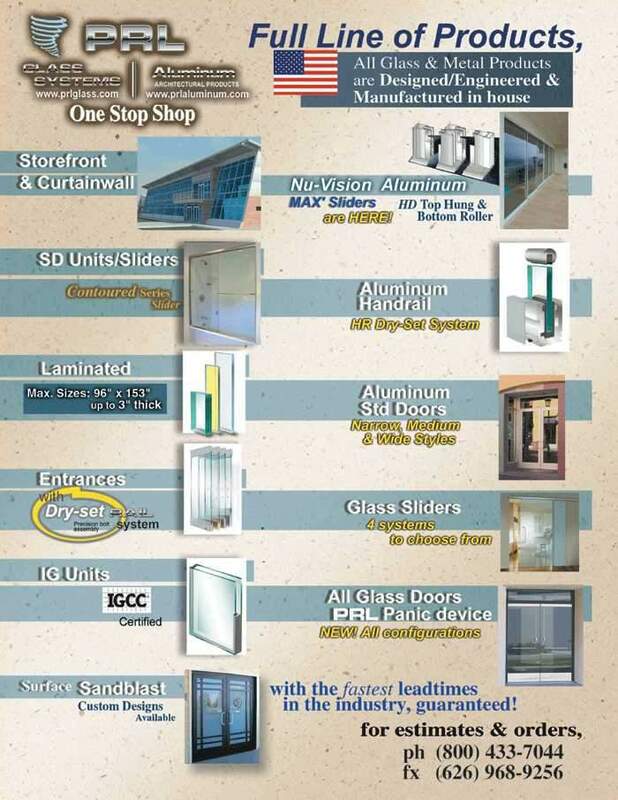 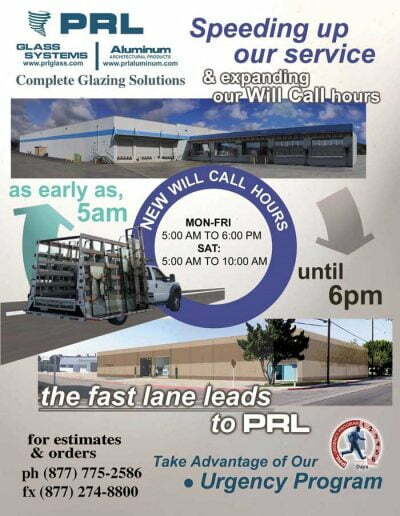 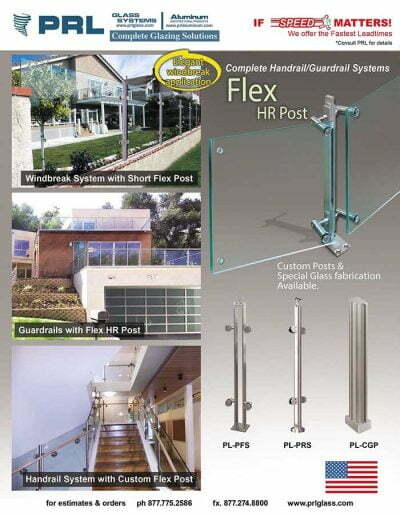 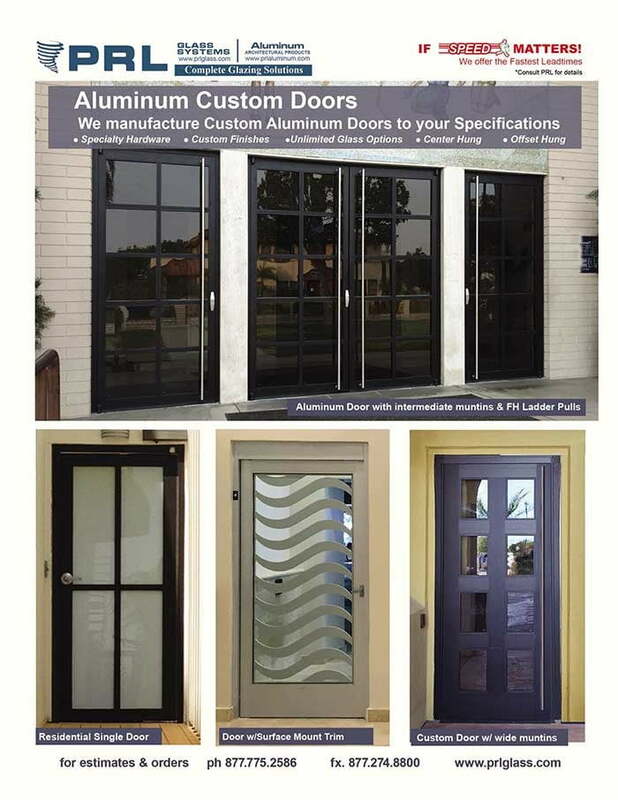 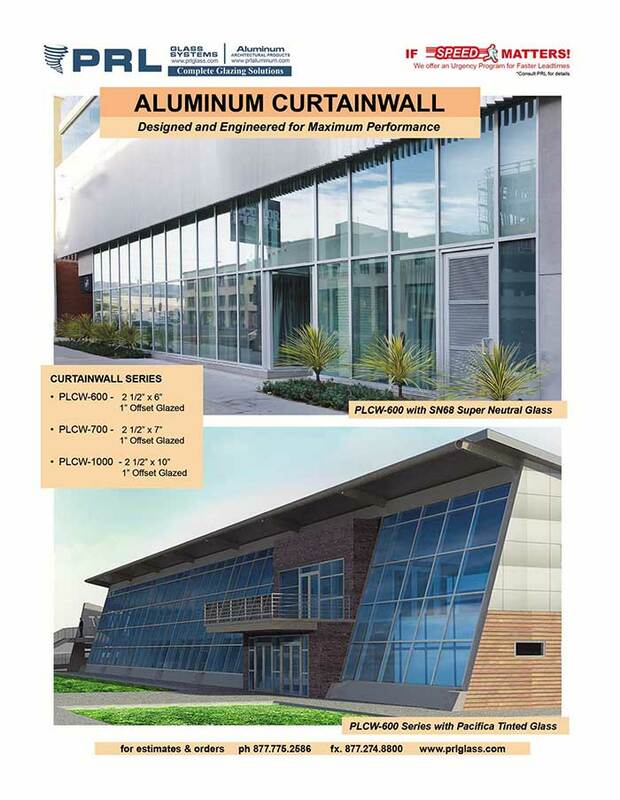 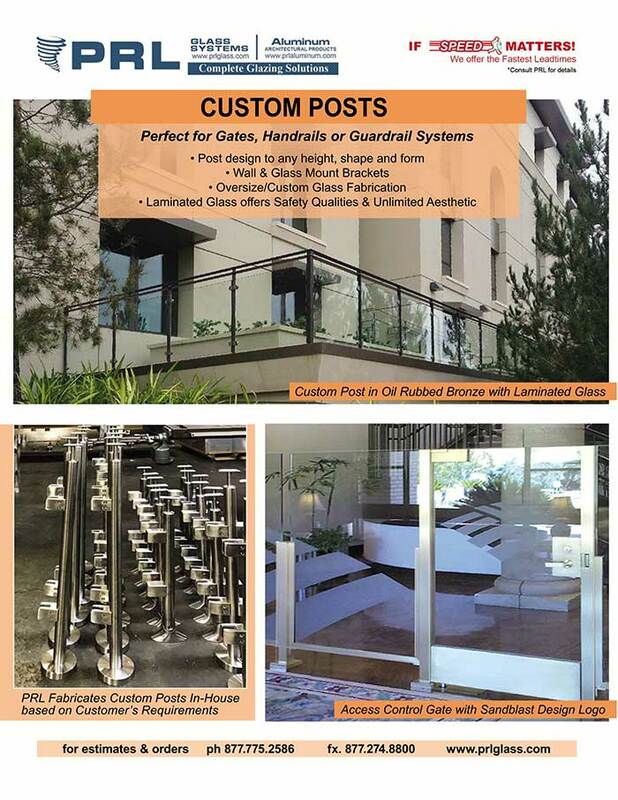 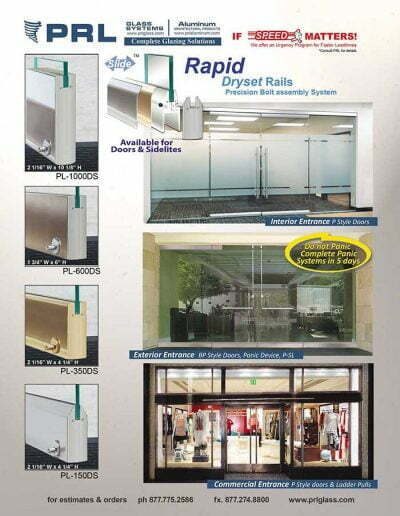 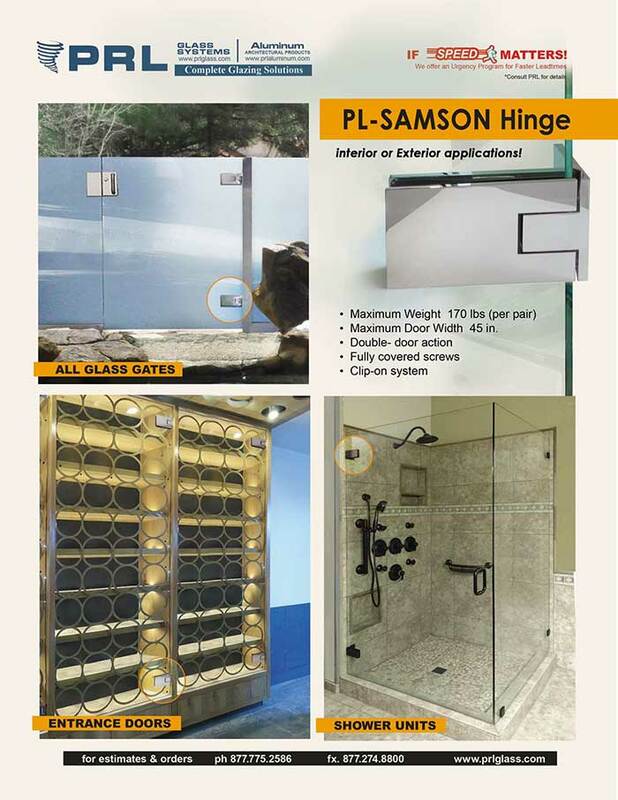 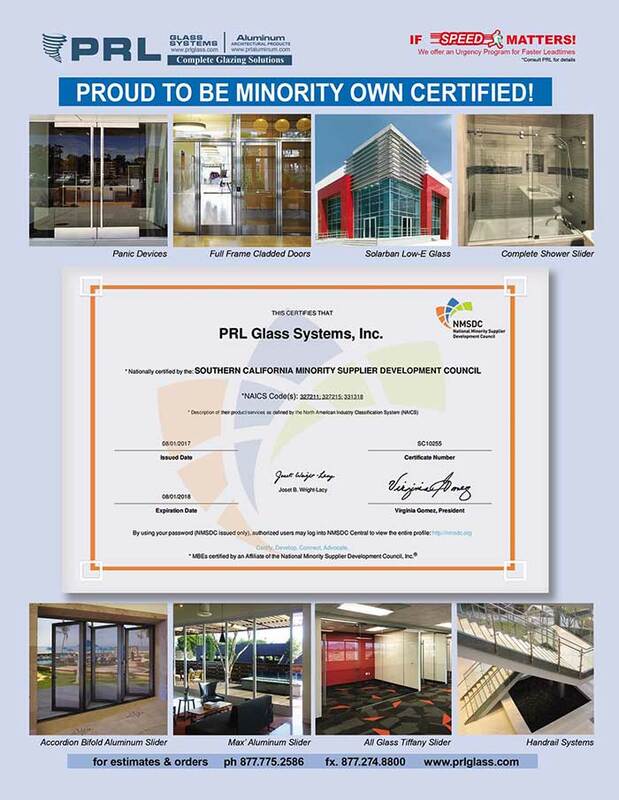 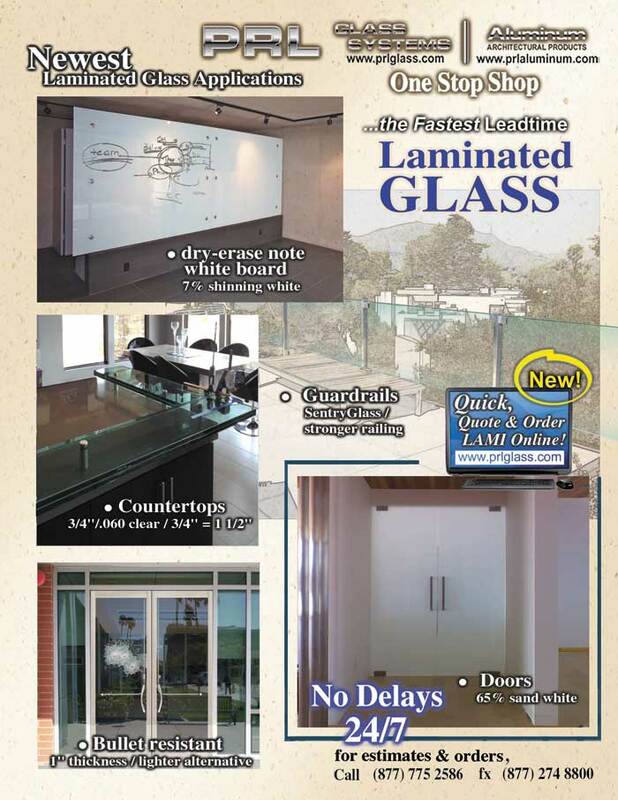 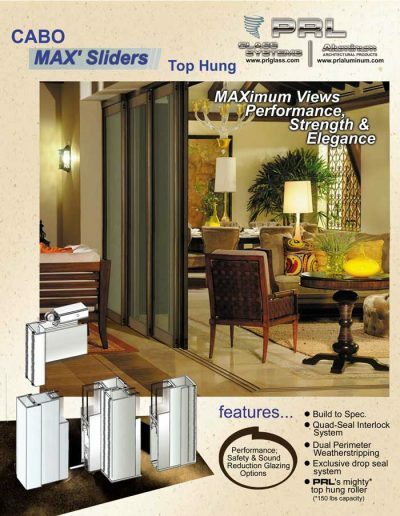 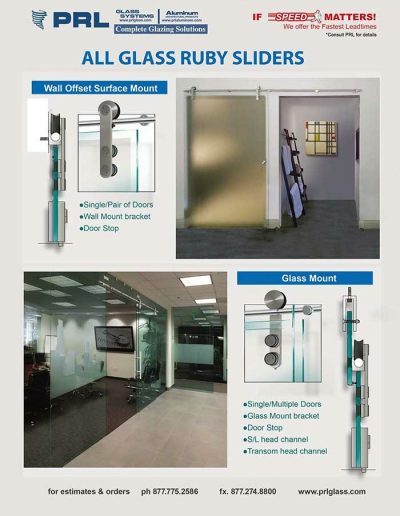 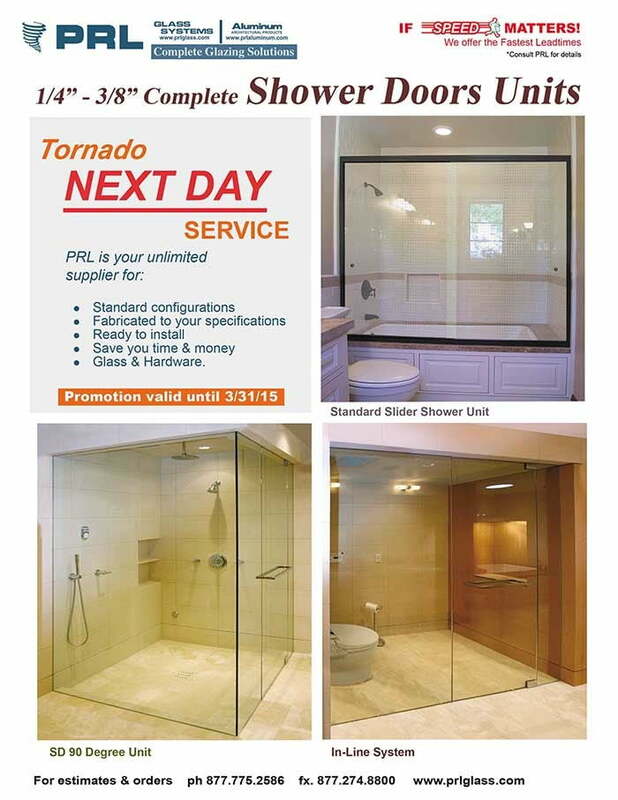 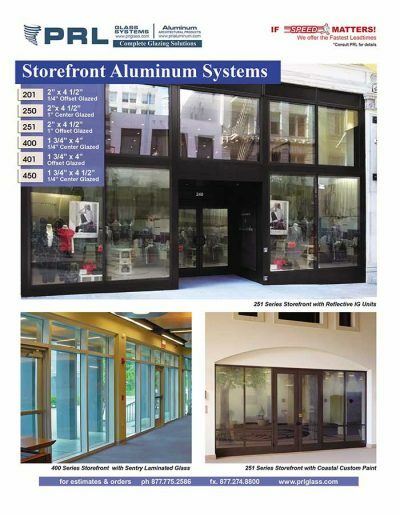 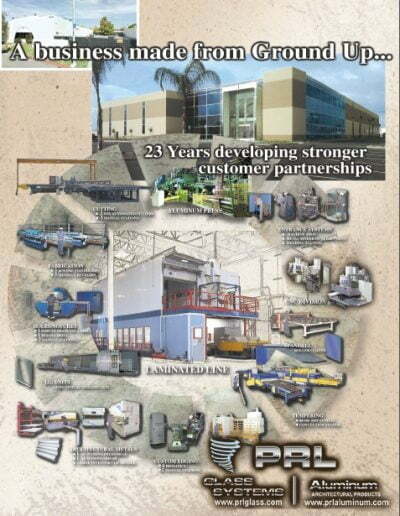 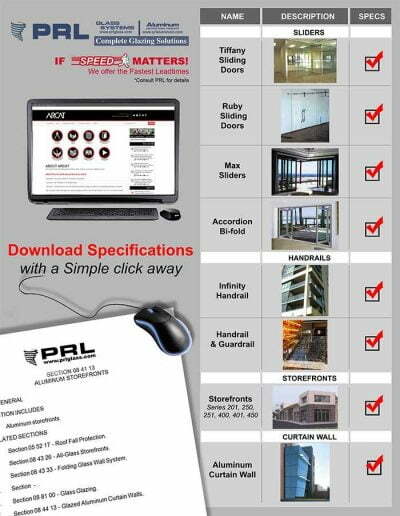 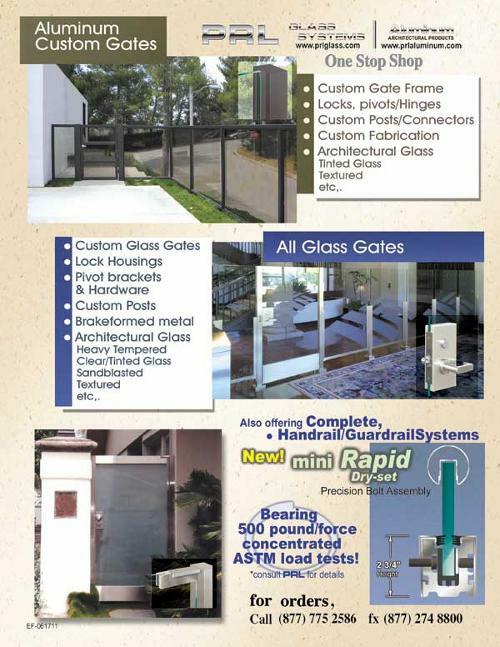 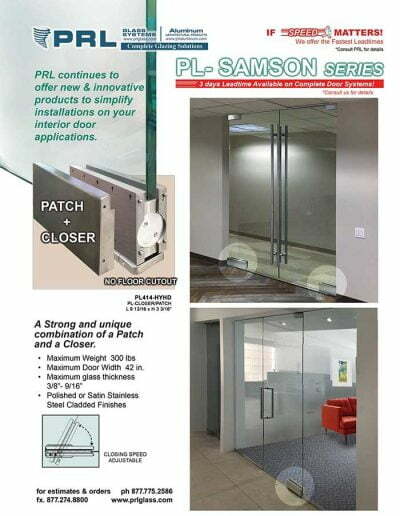 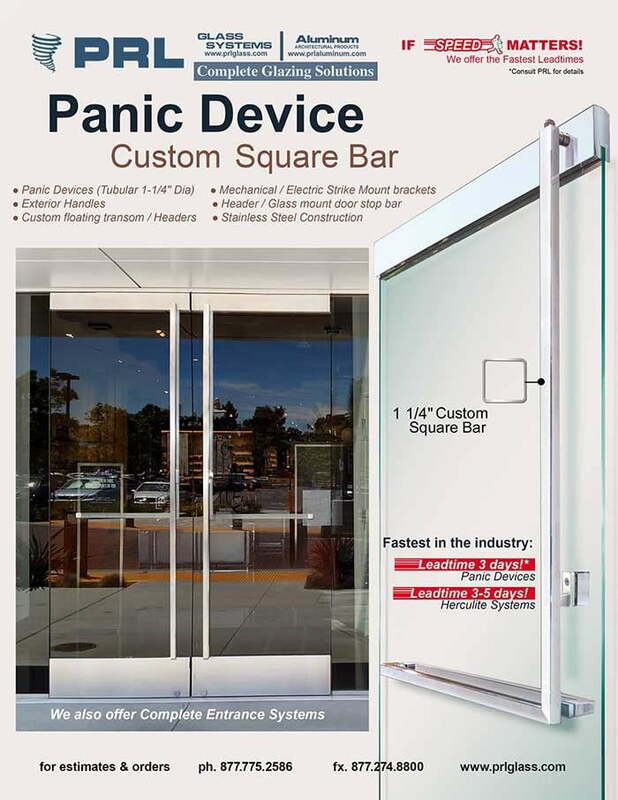 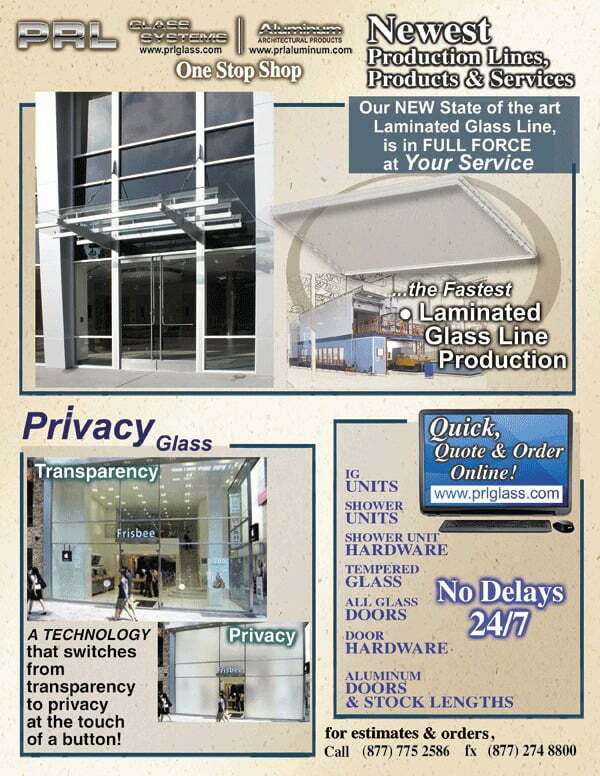 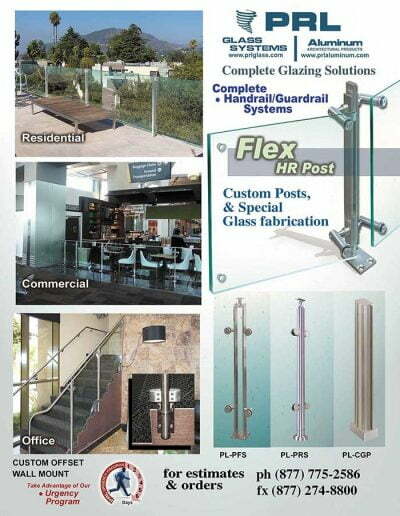 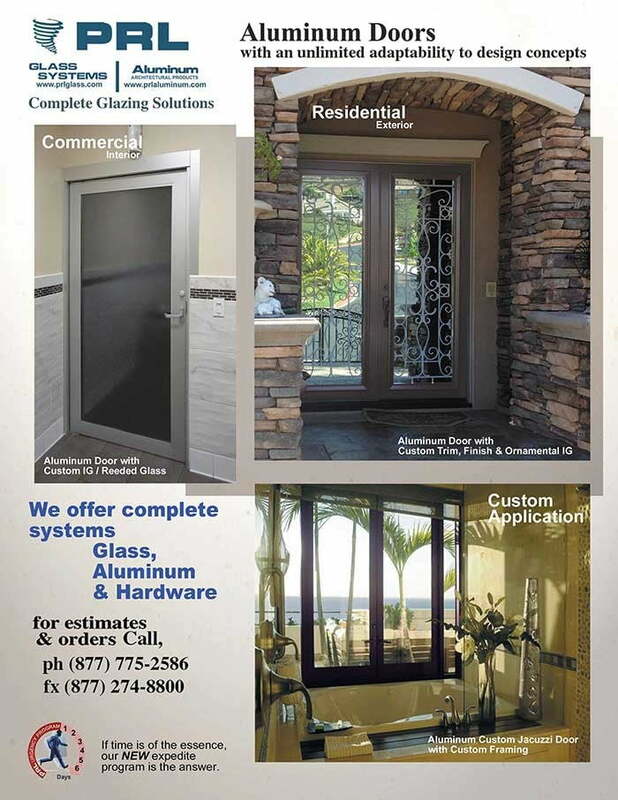 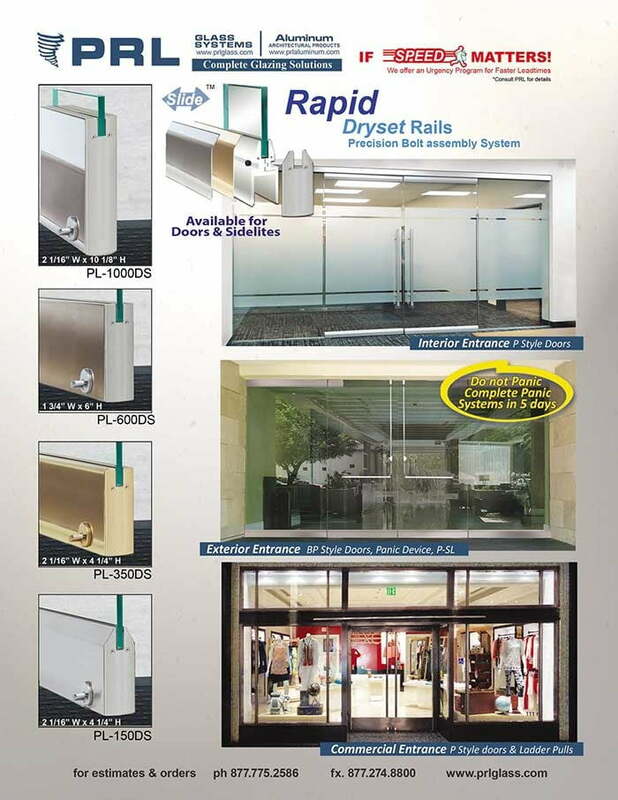 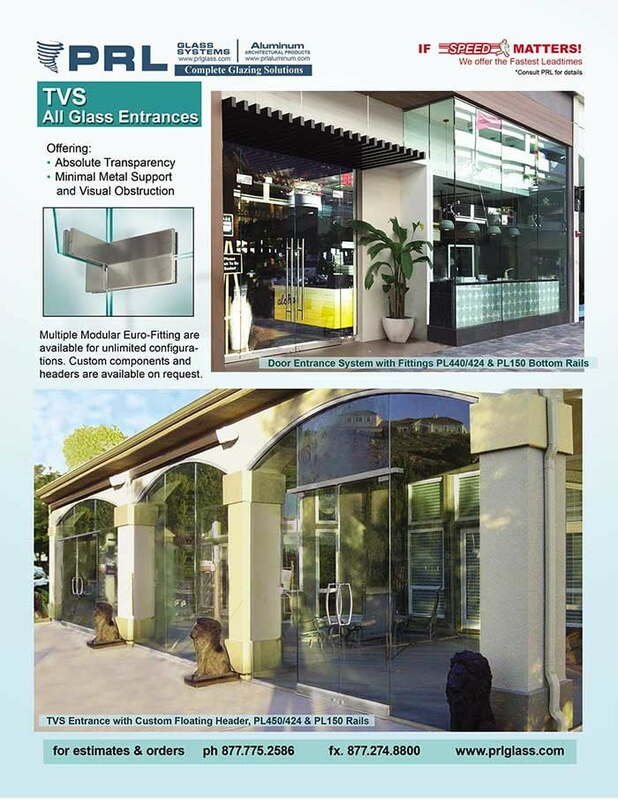 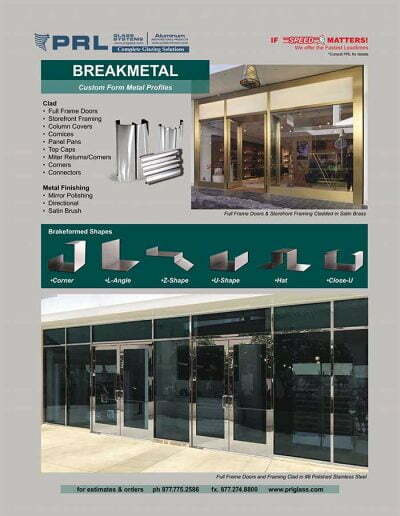 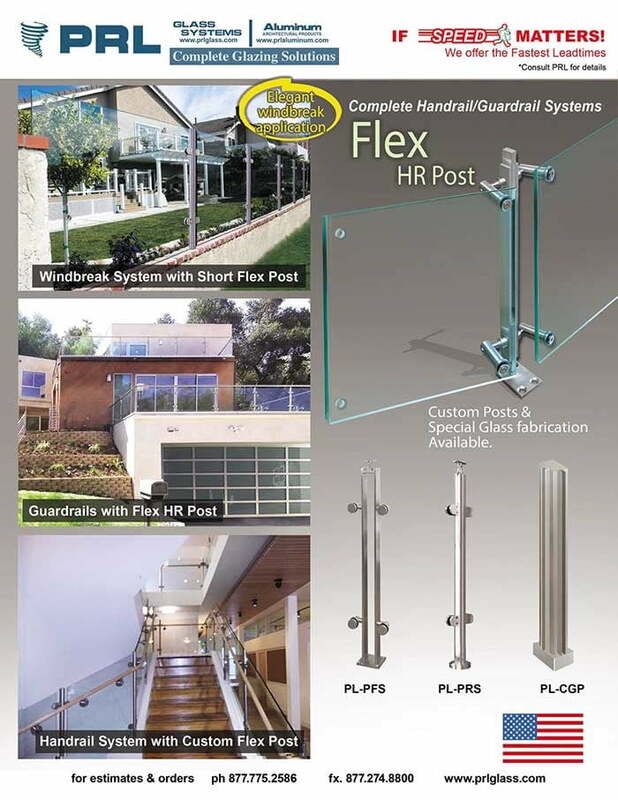 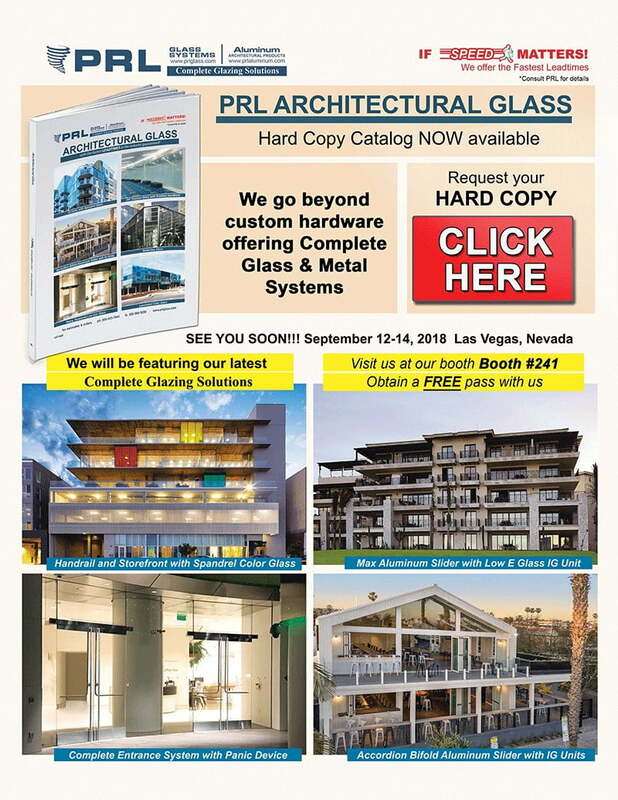 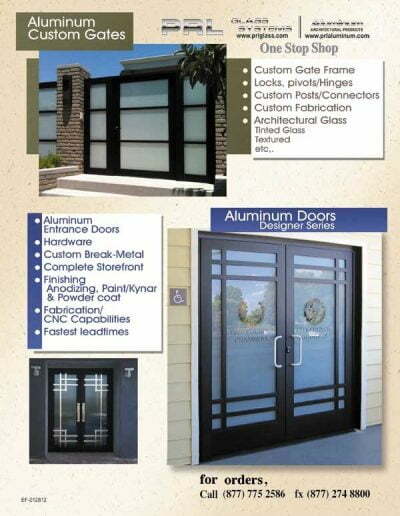 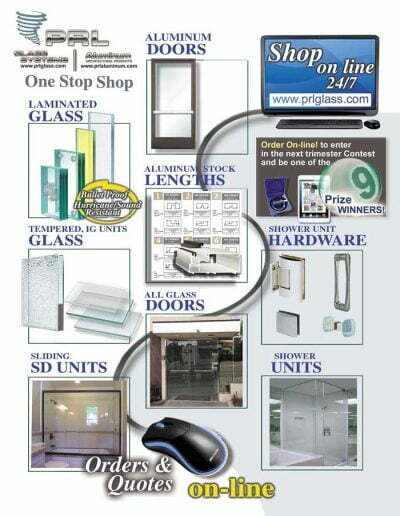 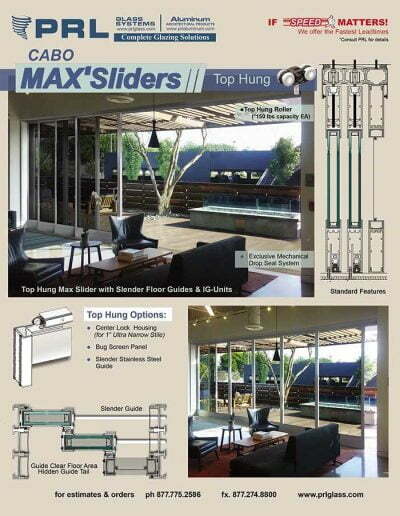 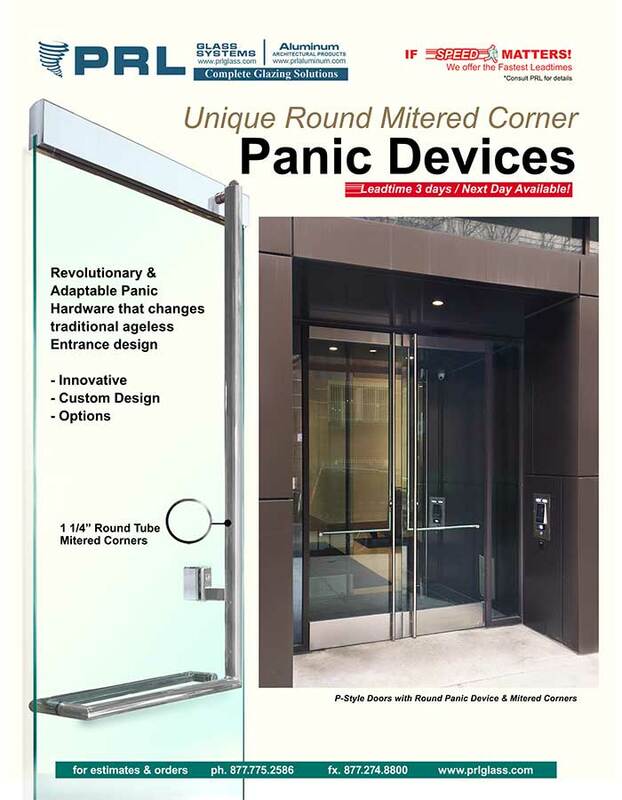 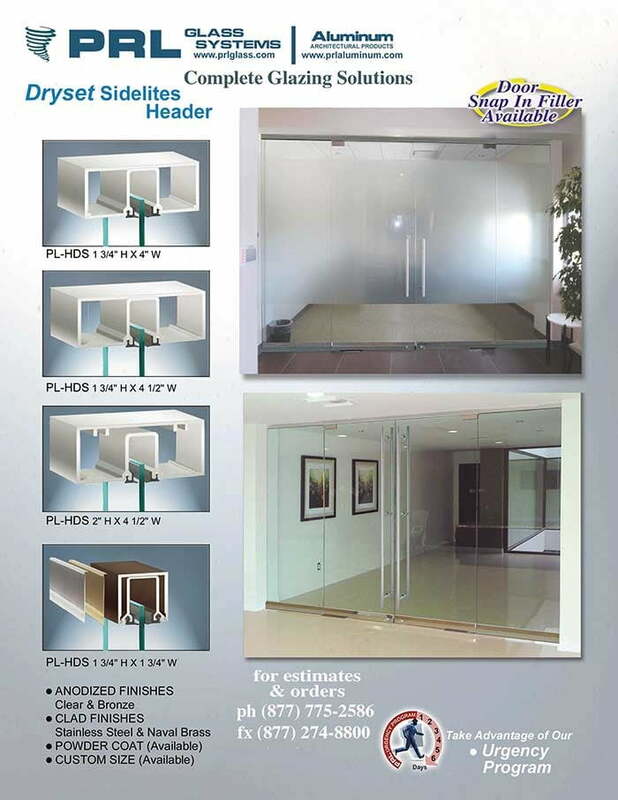 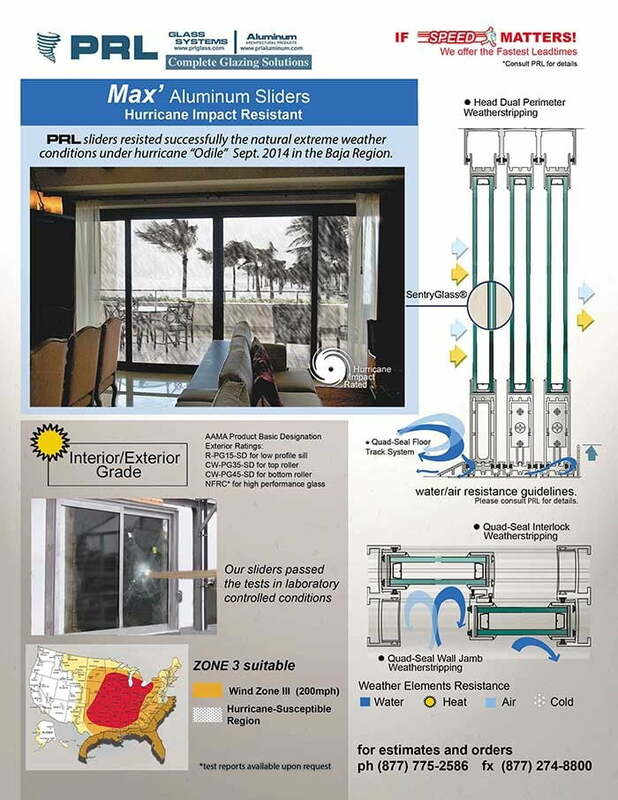 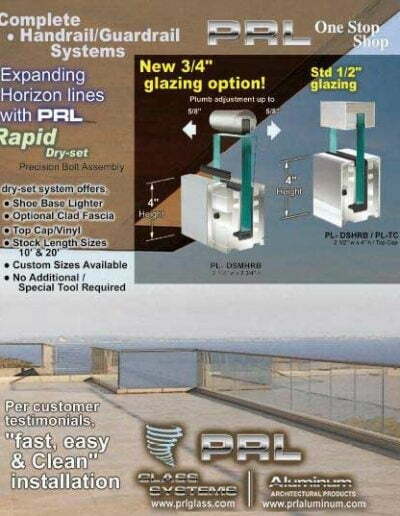 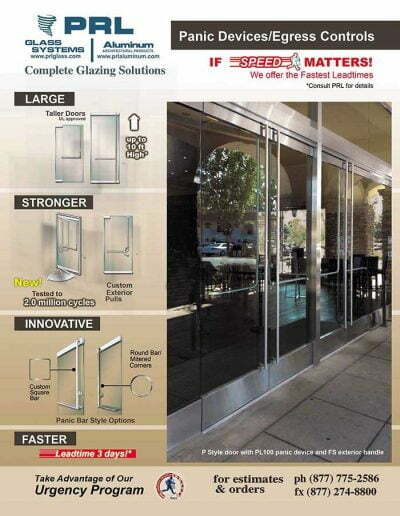 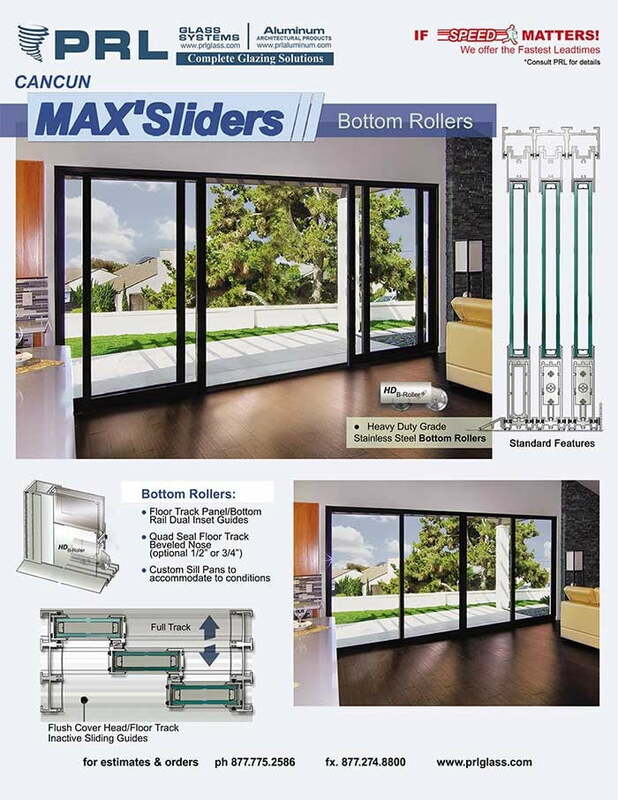 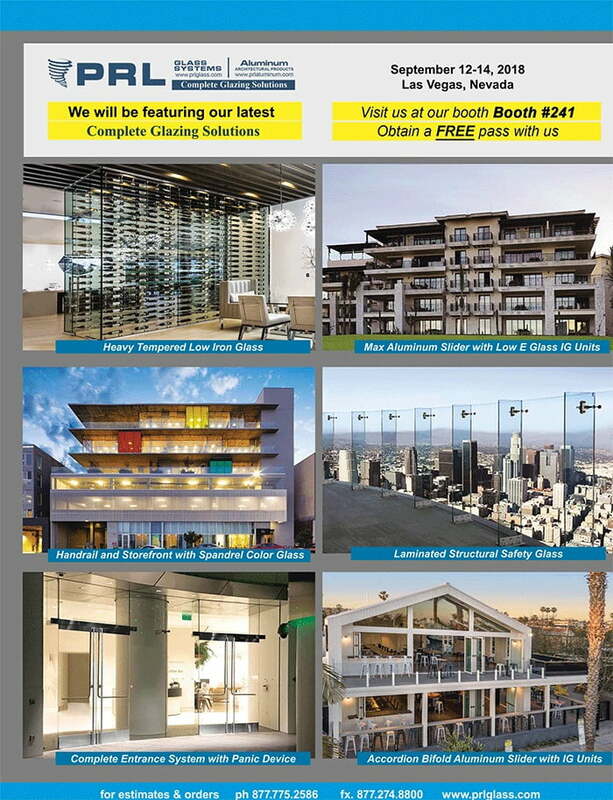 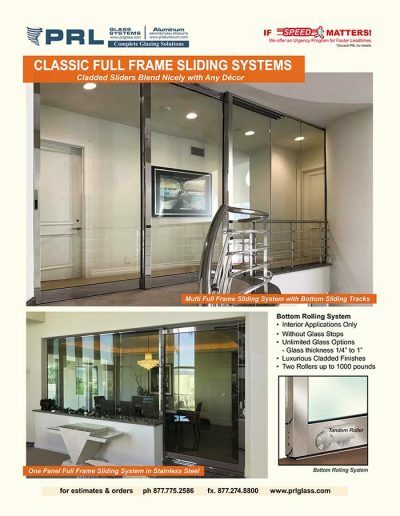 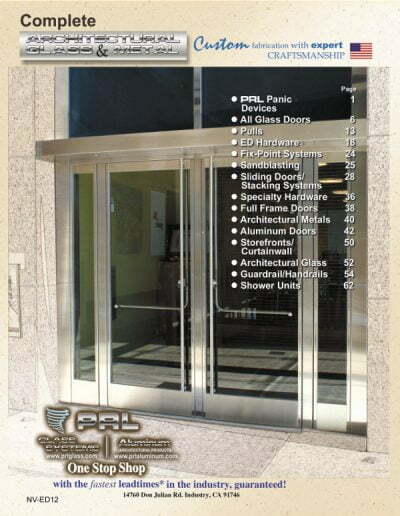 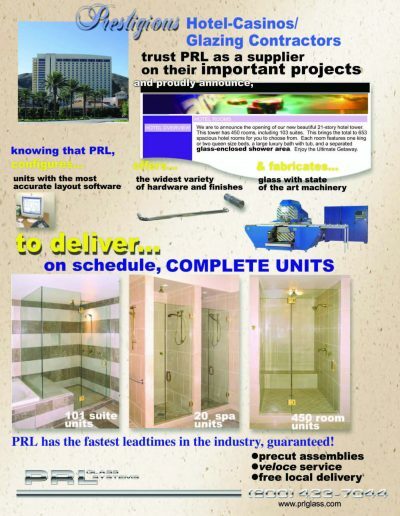 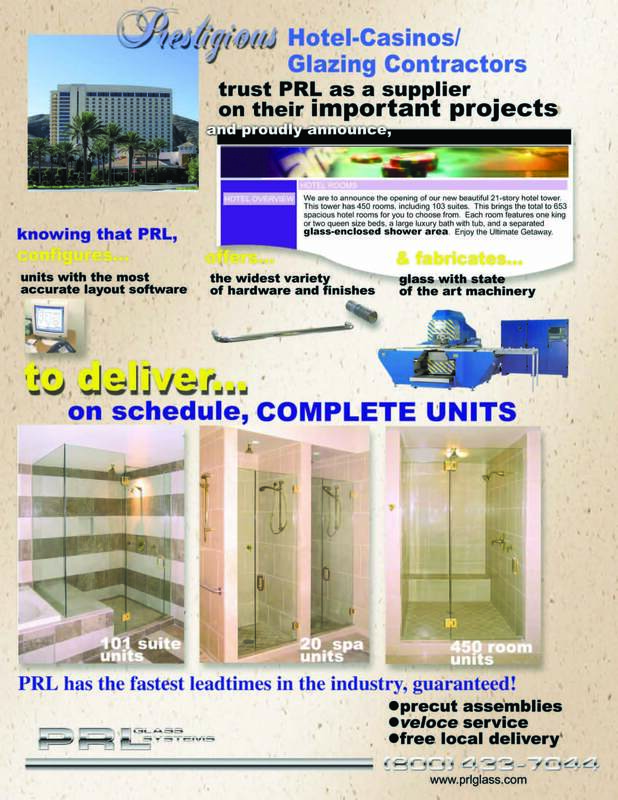 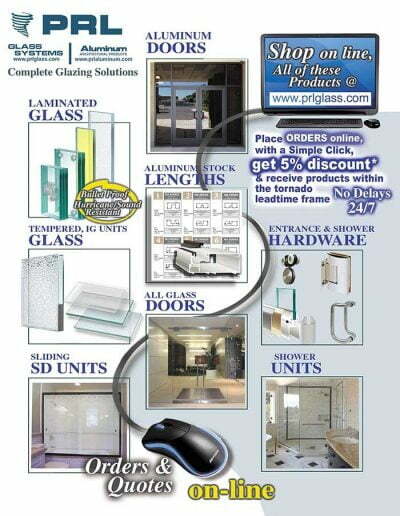 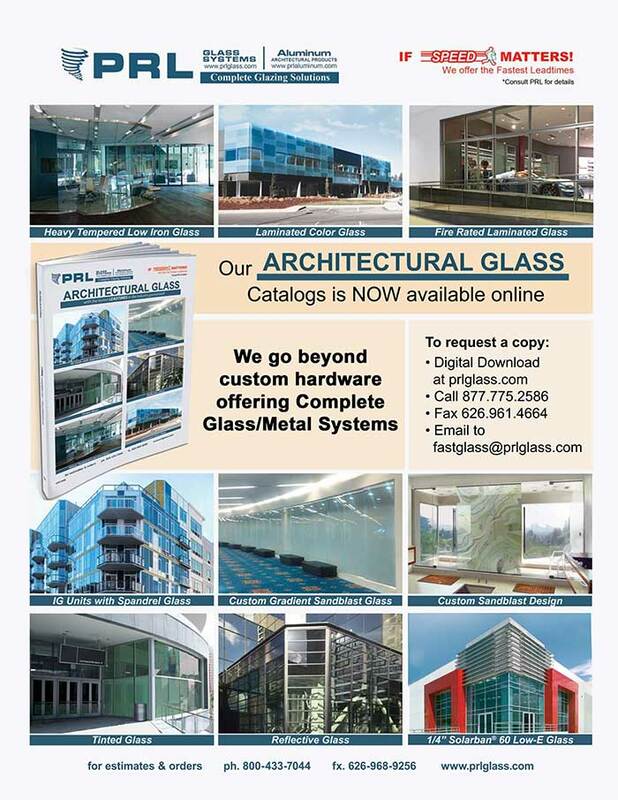 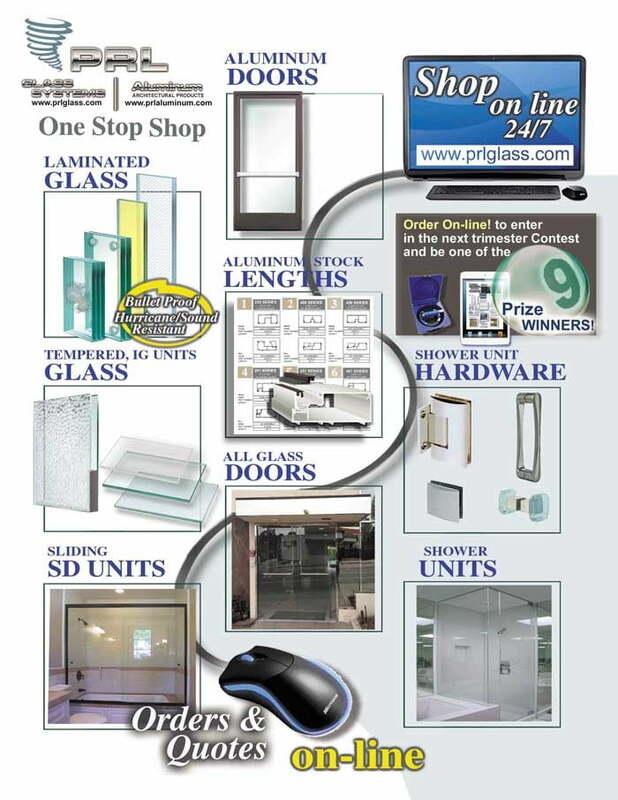 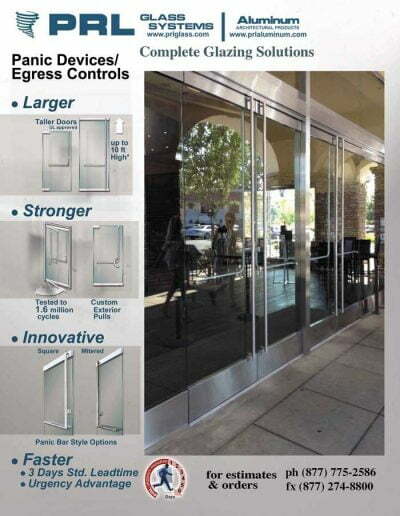 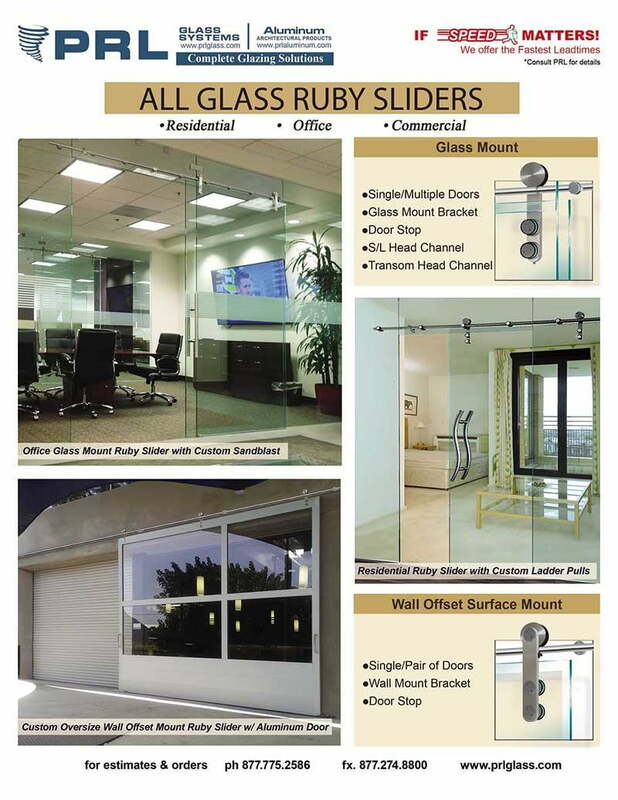 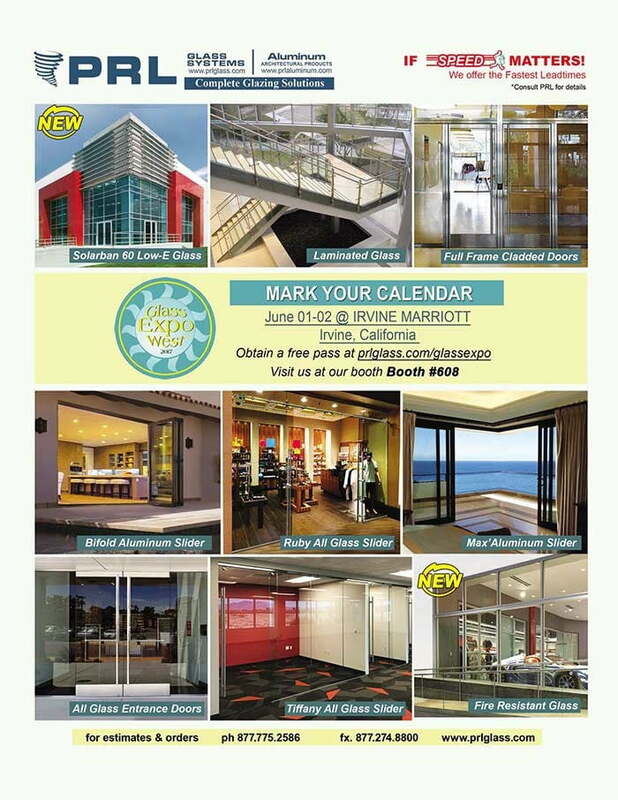 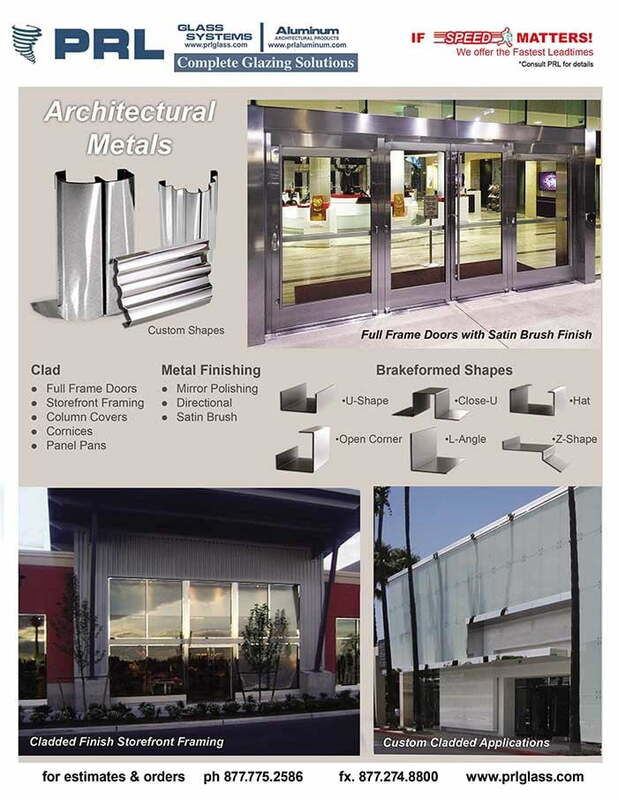 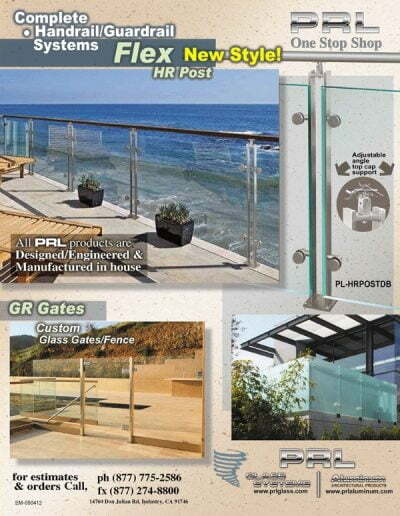 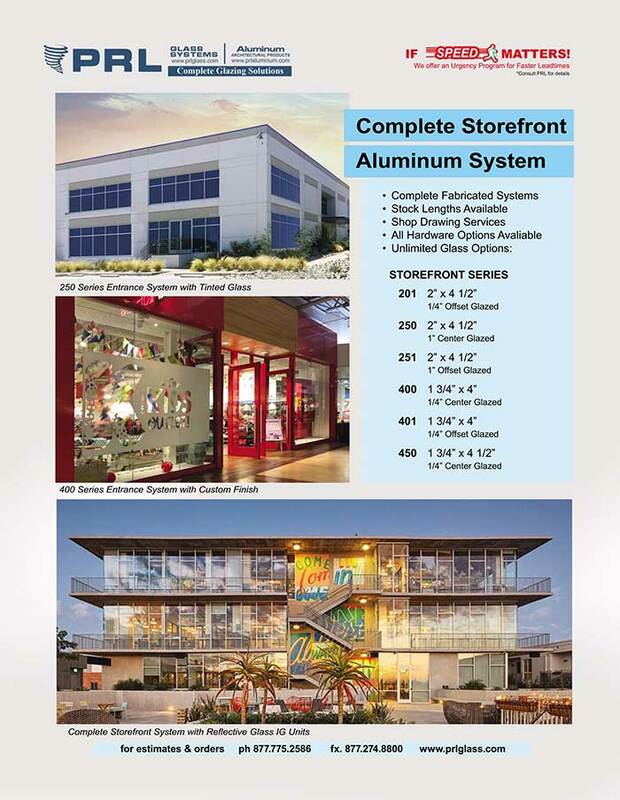 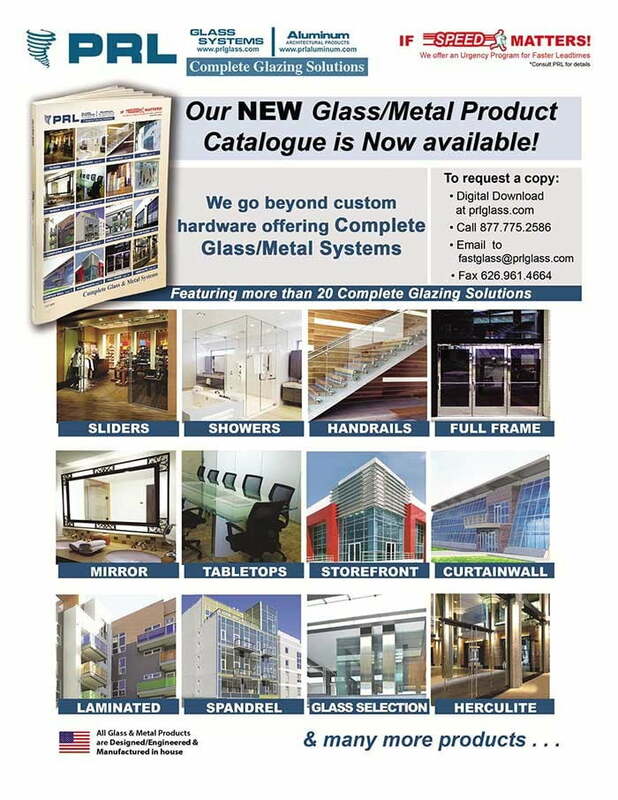 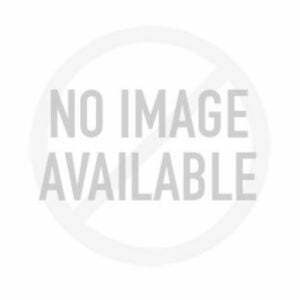 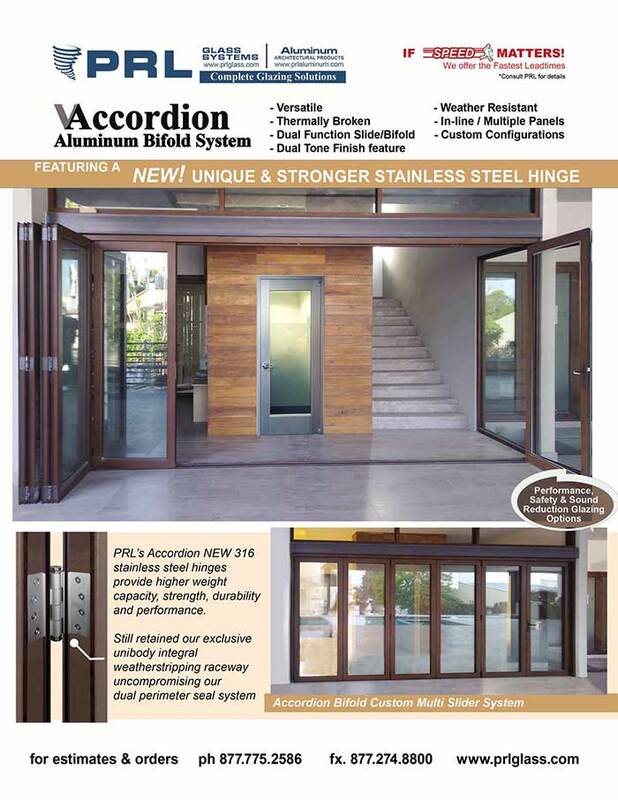 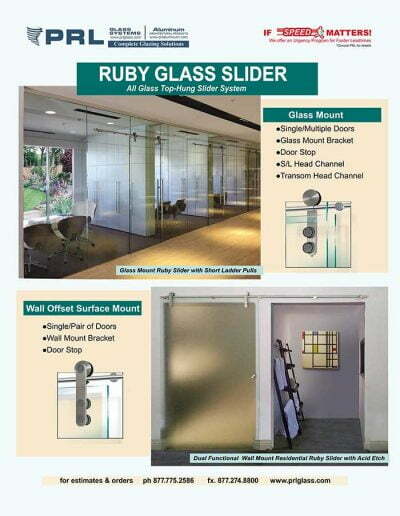 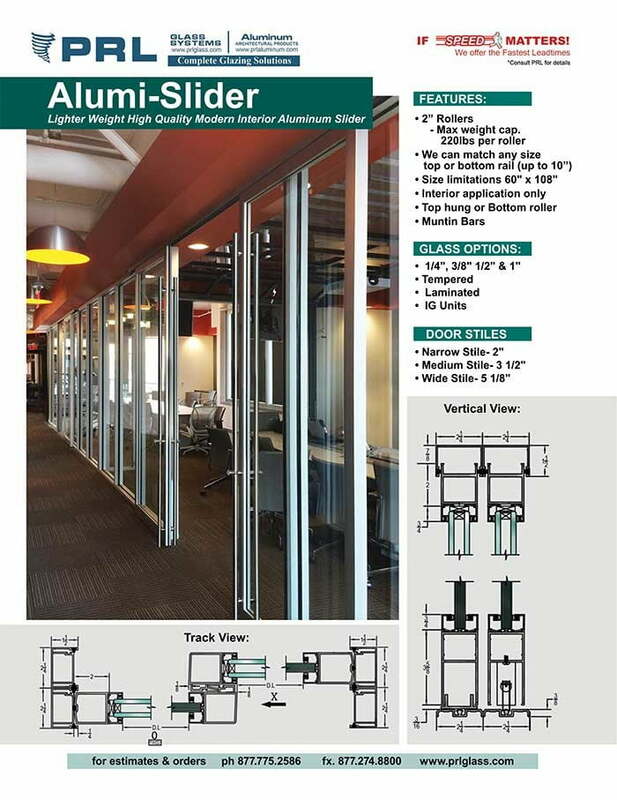 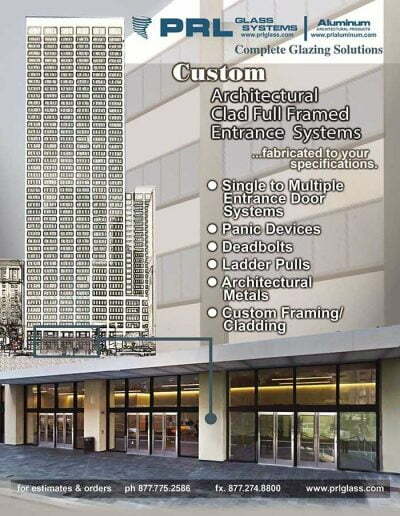 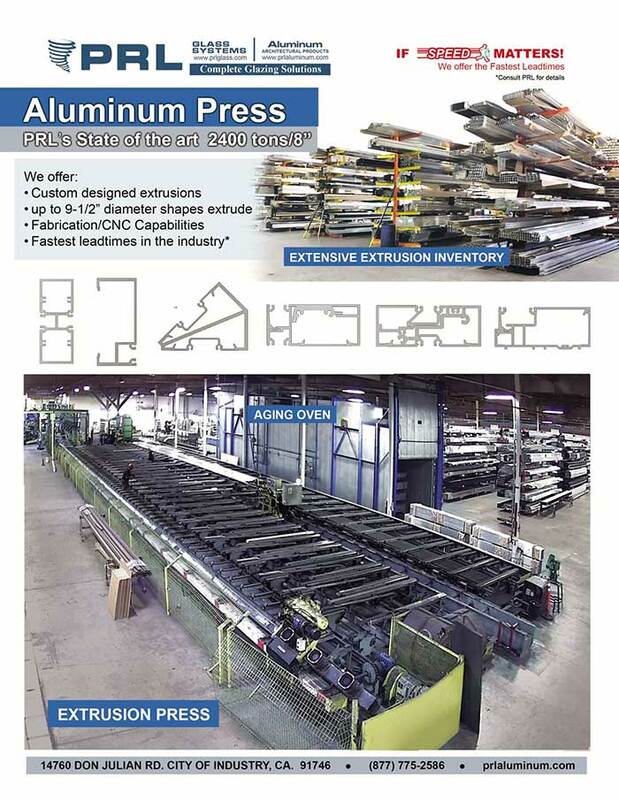 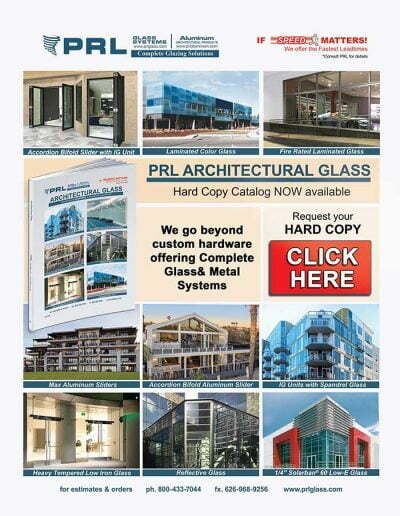 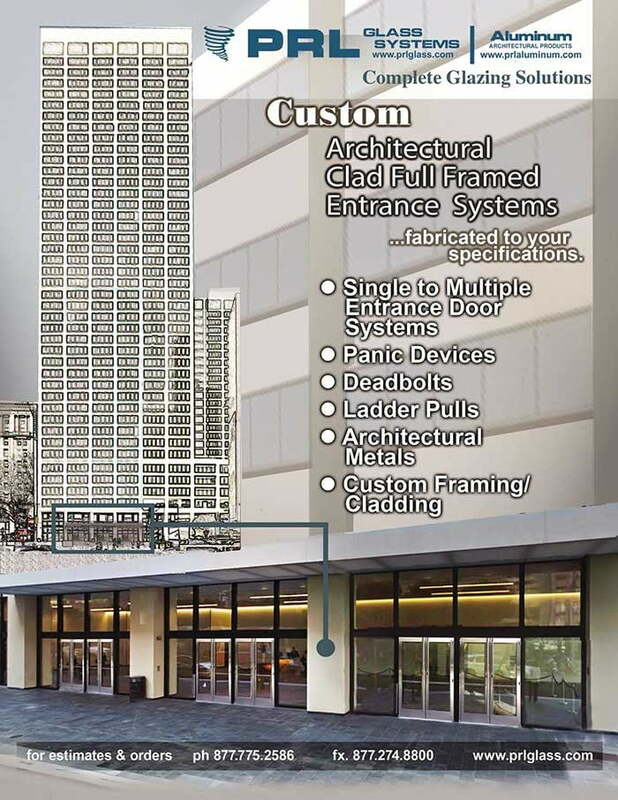 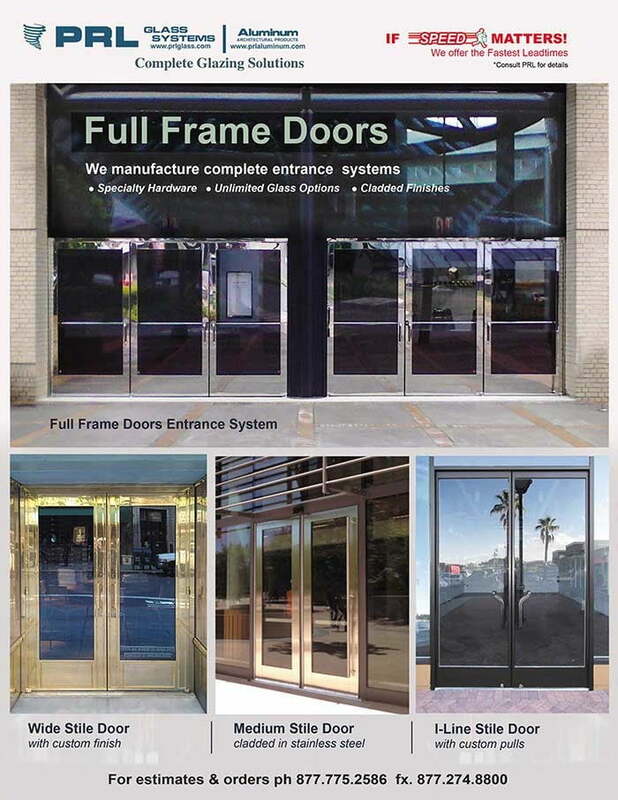 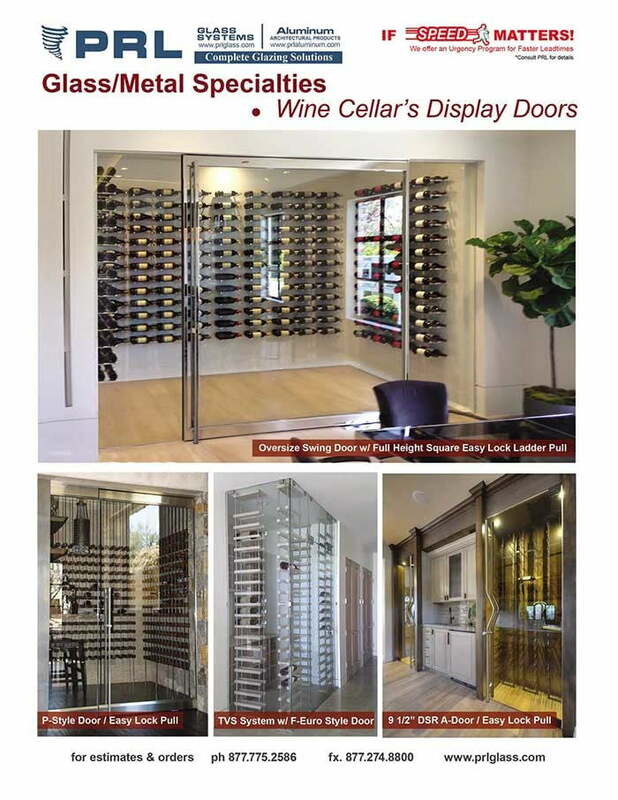 PRL’s selection of top hung sliding glass doors and hardware provide the best solutions for creating the perfect modern look for any home, office, or commercial application. 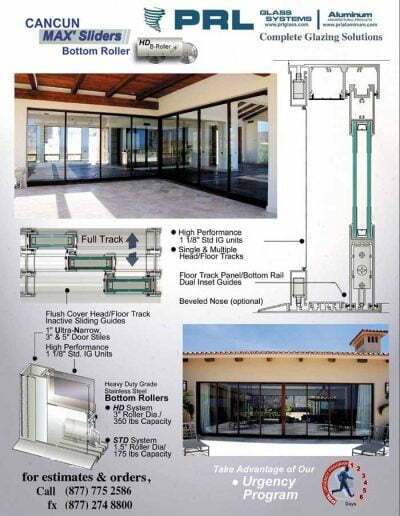 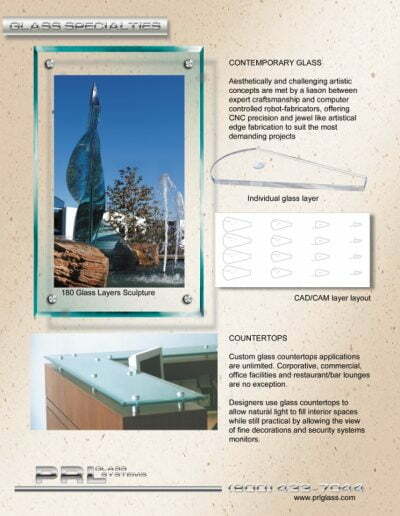 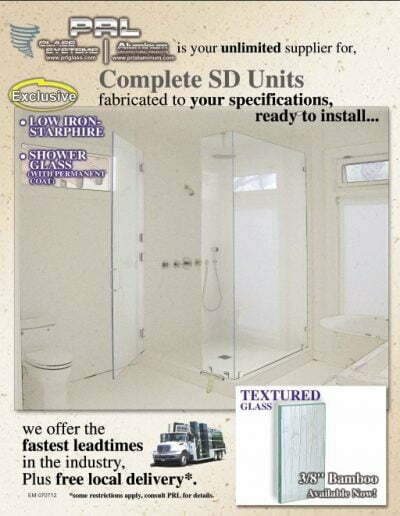 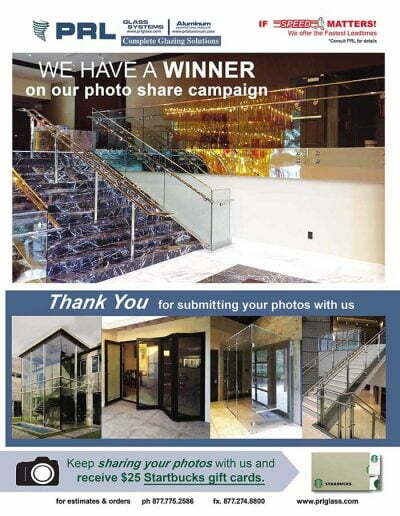 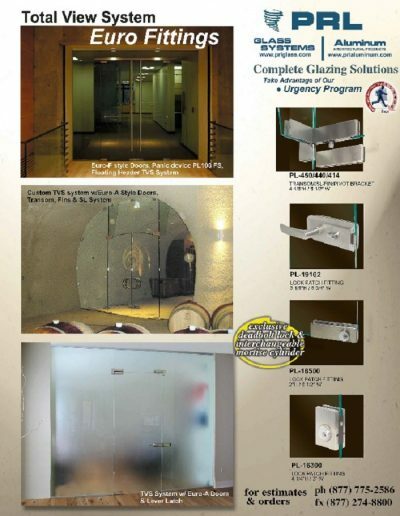 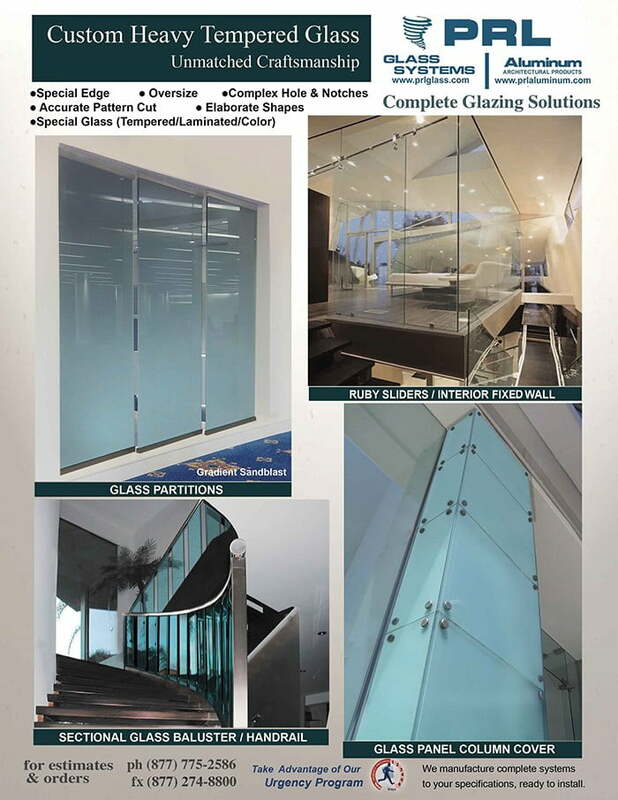 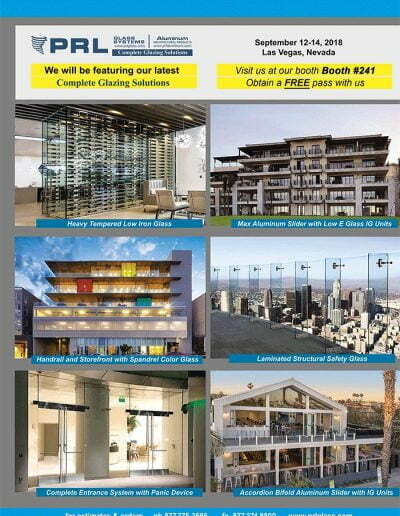 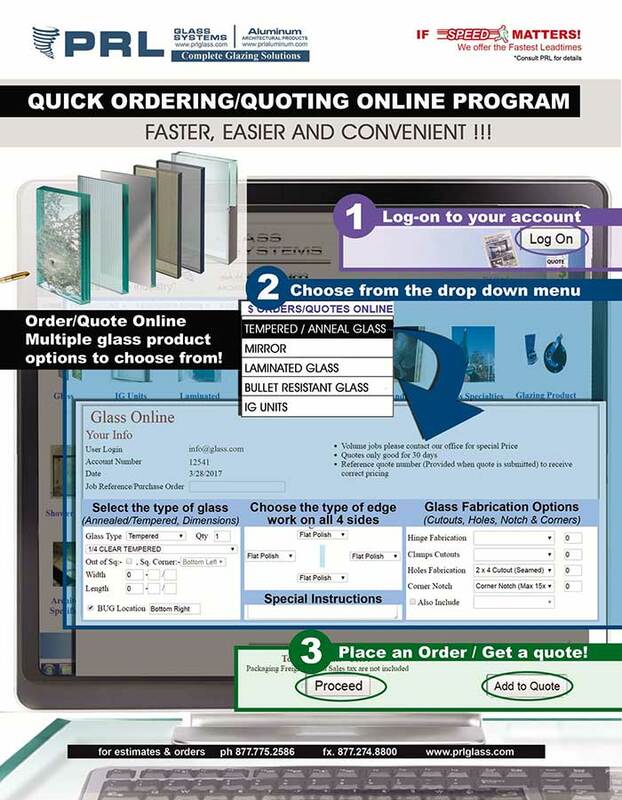 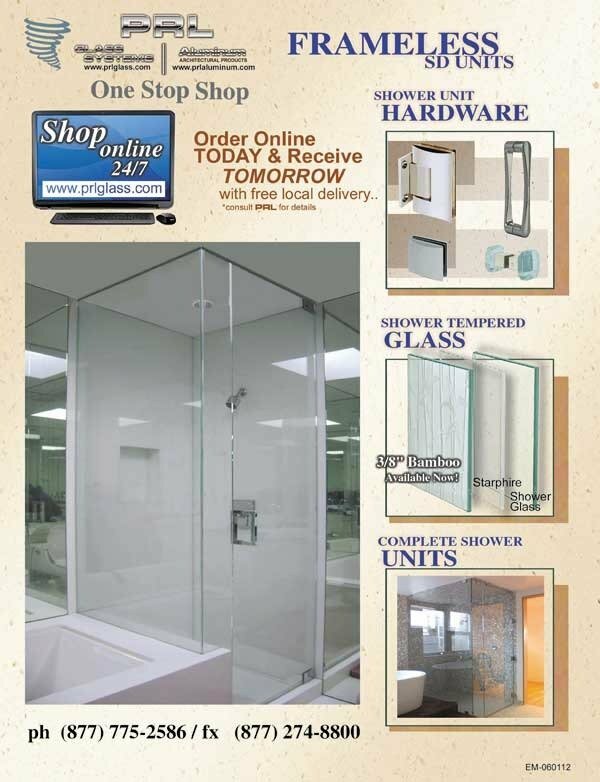 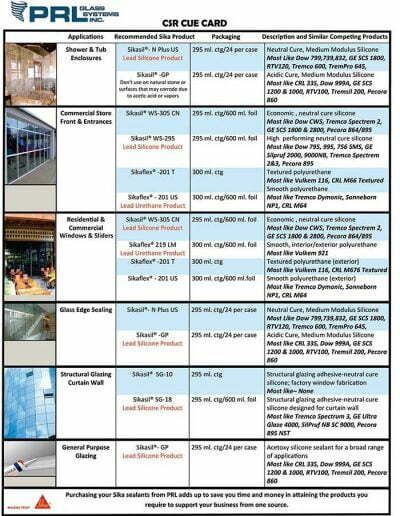 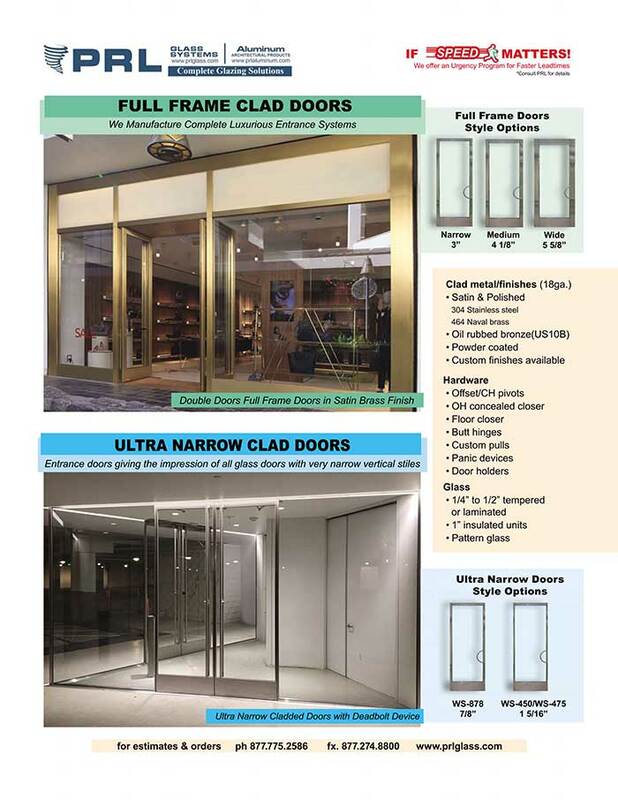 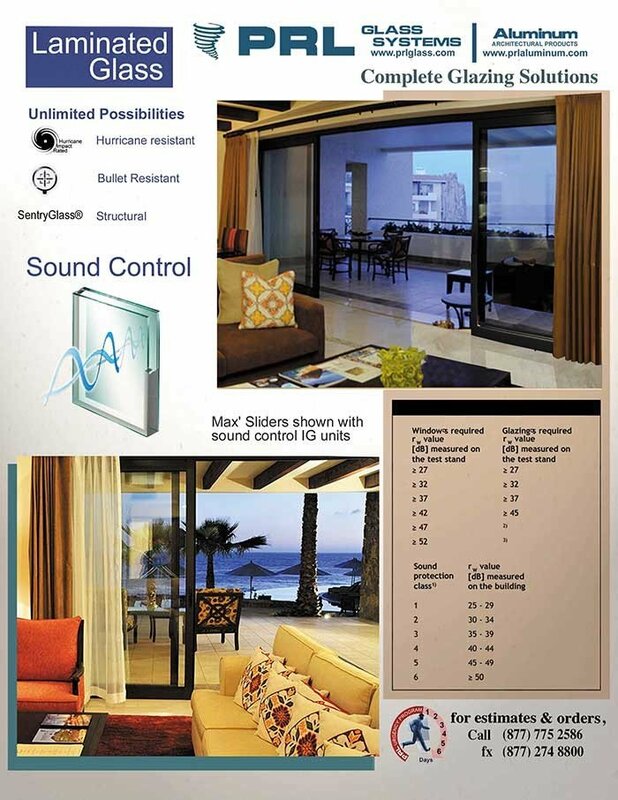 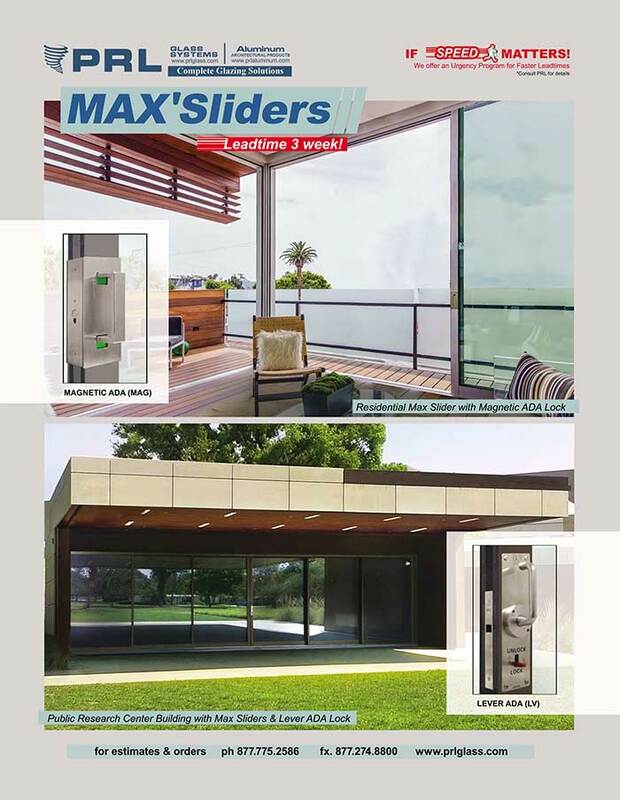 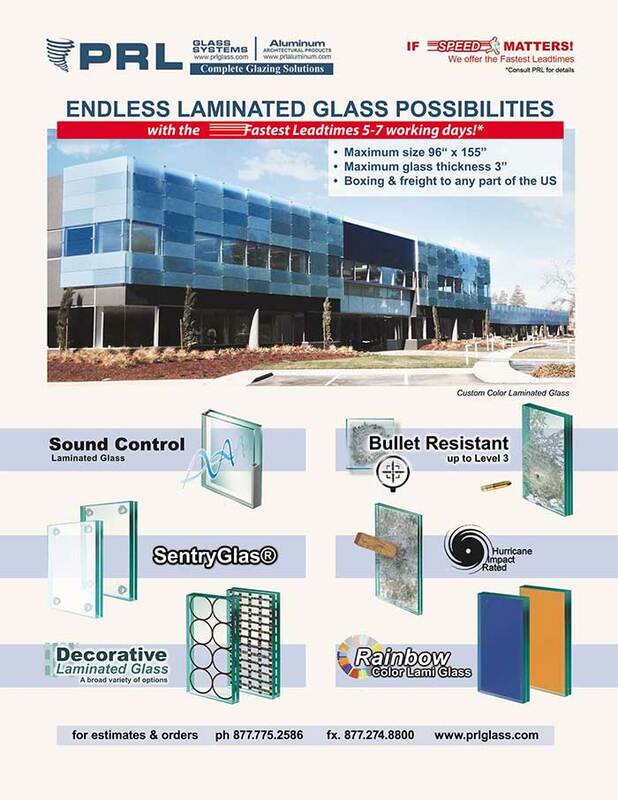 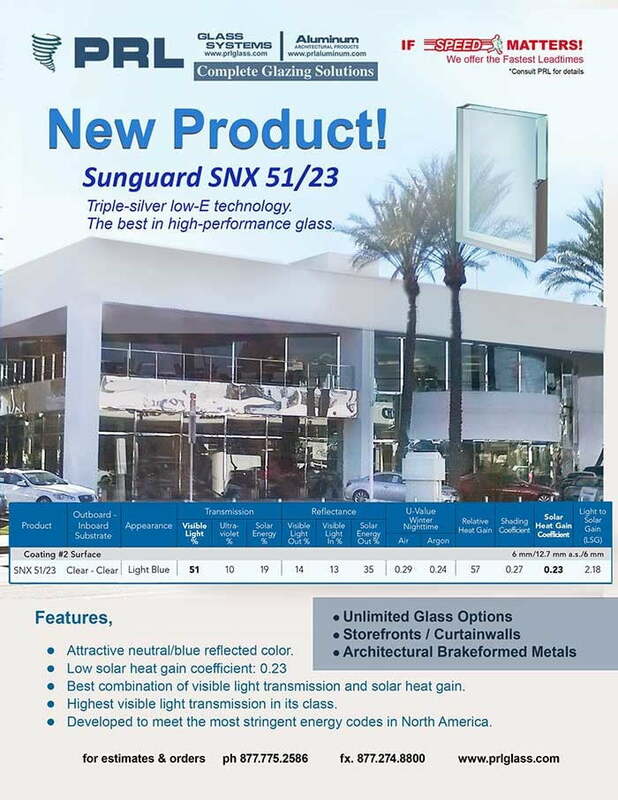 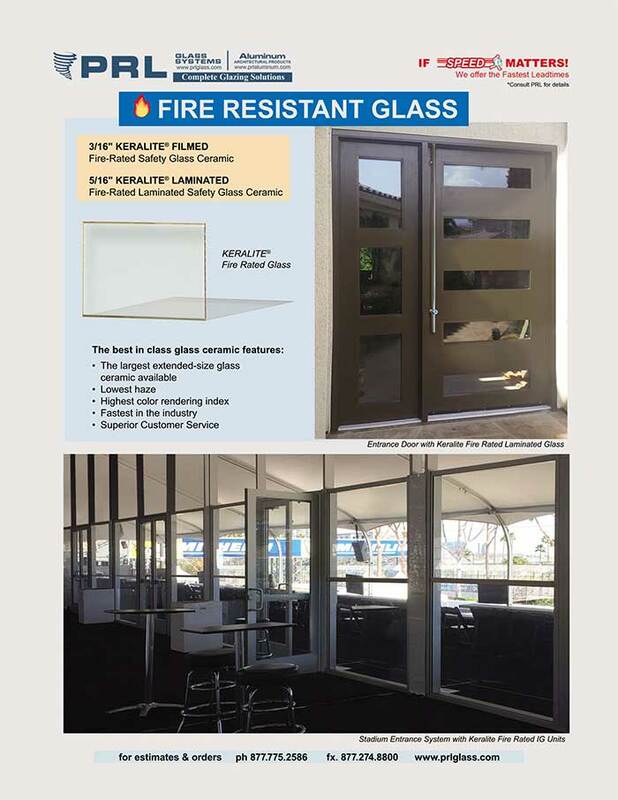 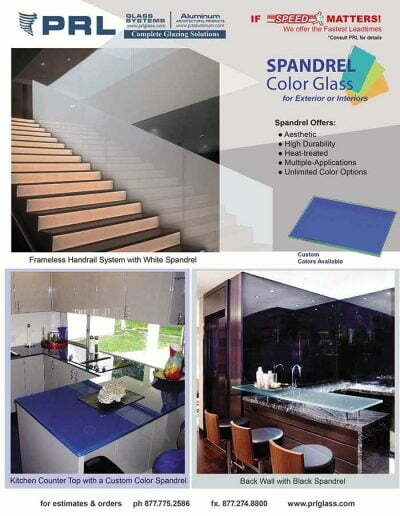 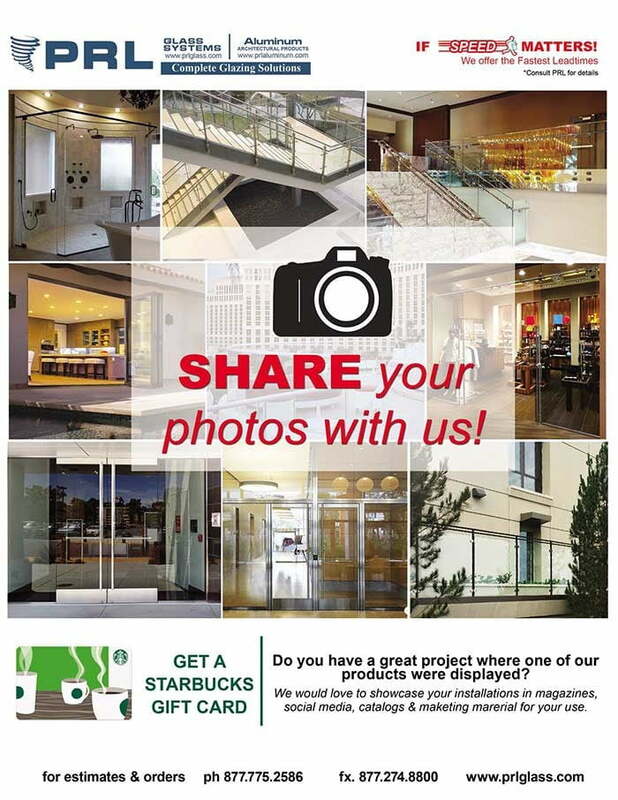 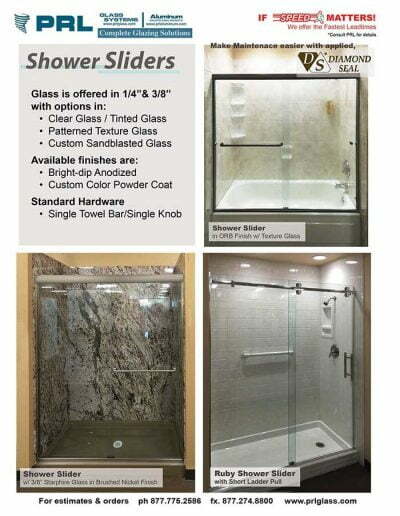 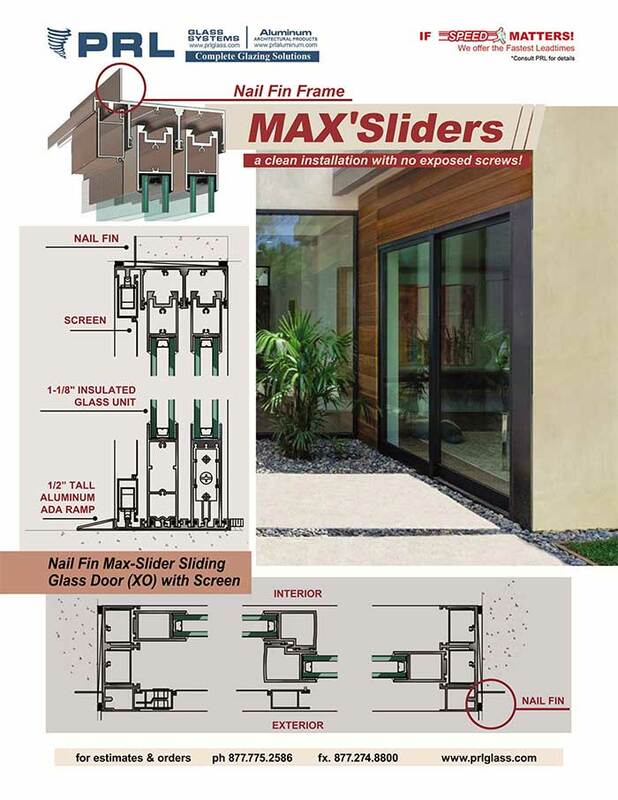 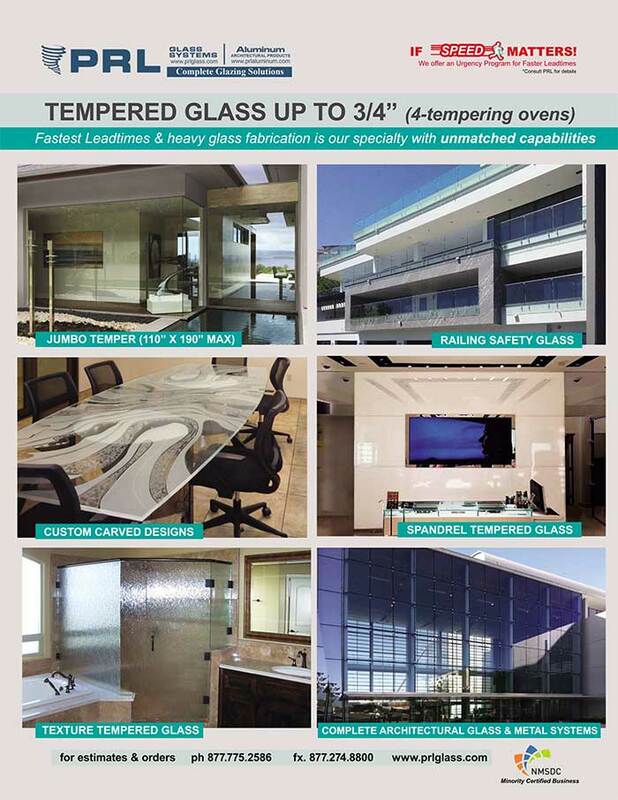 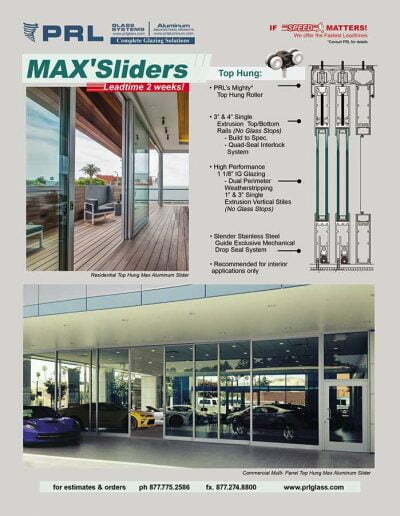 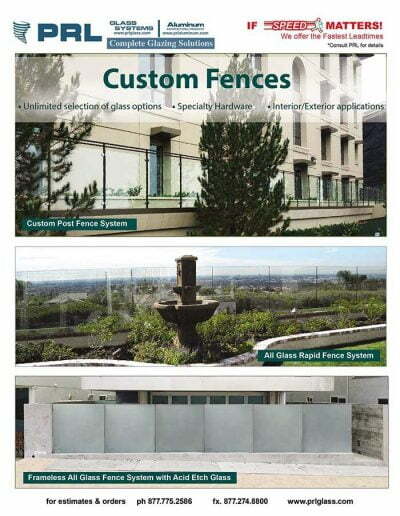 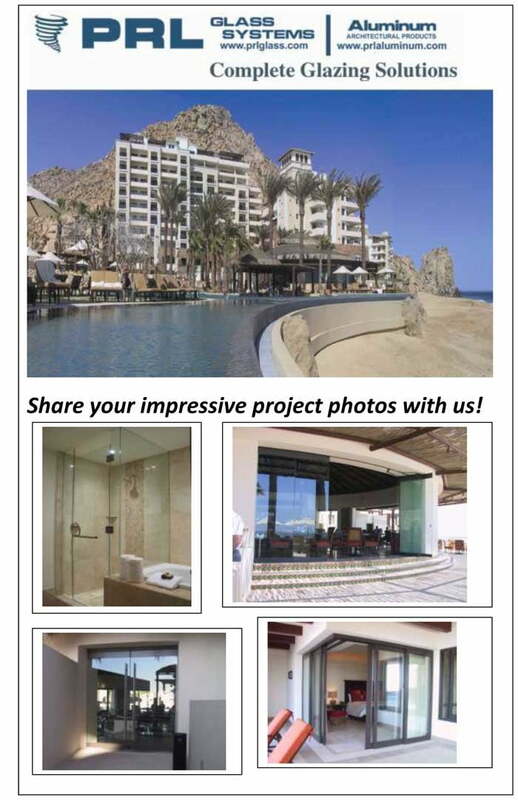 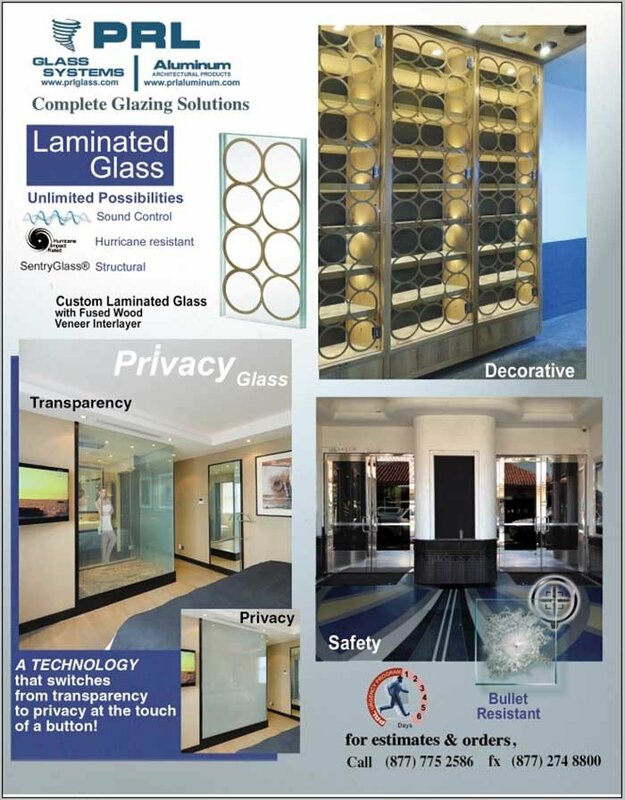 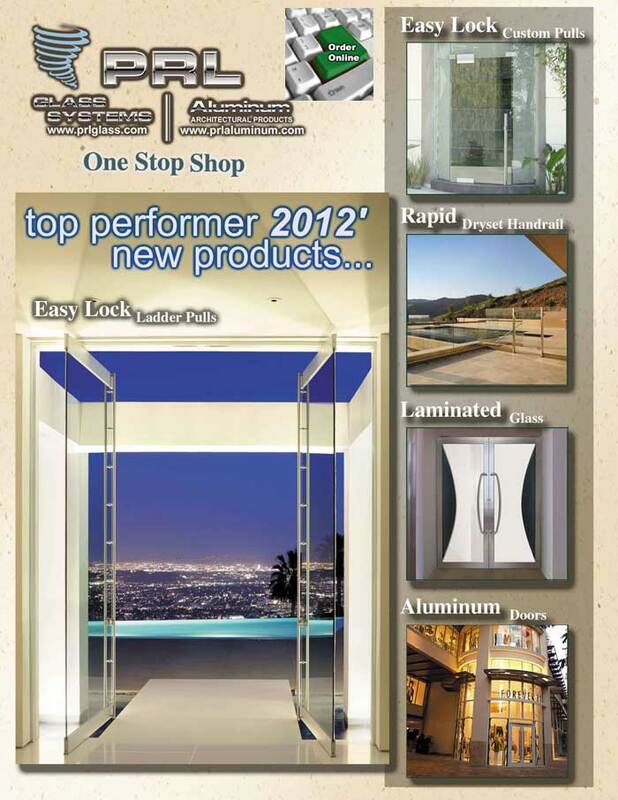 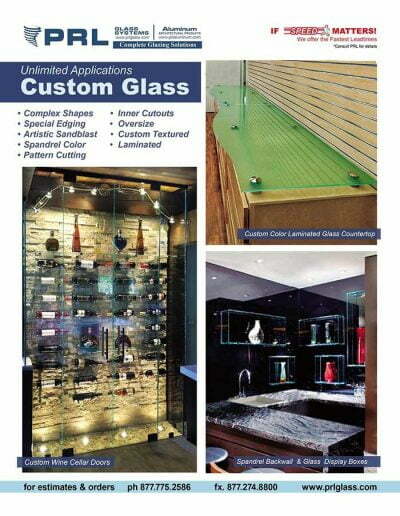 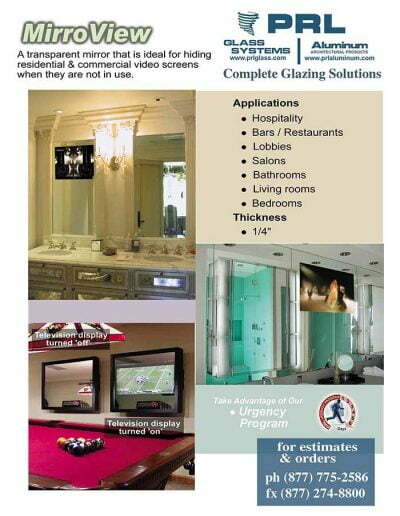 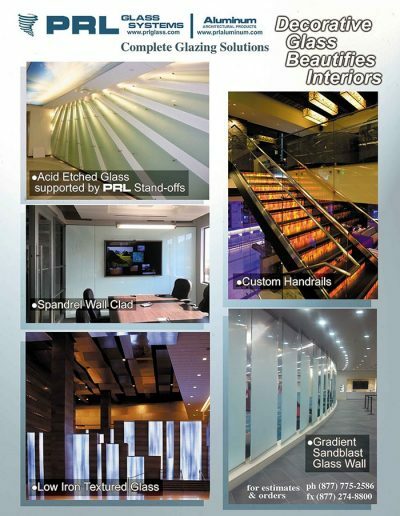 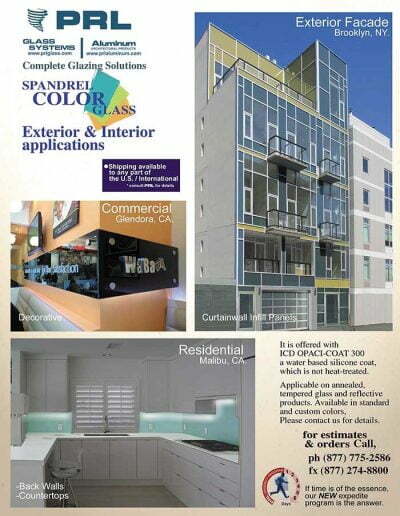 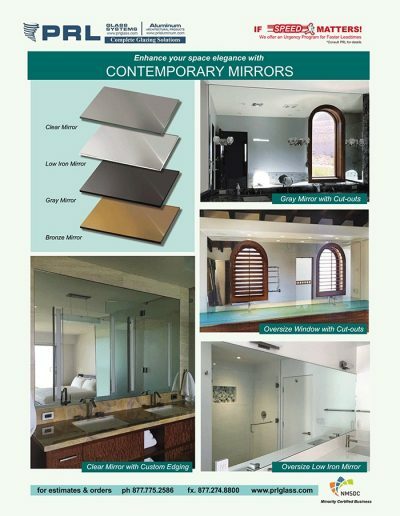 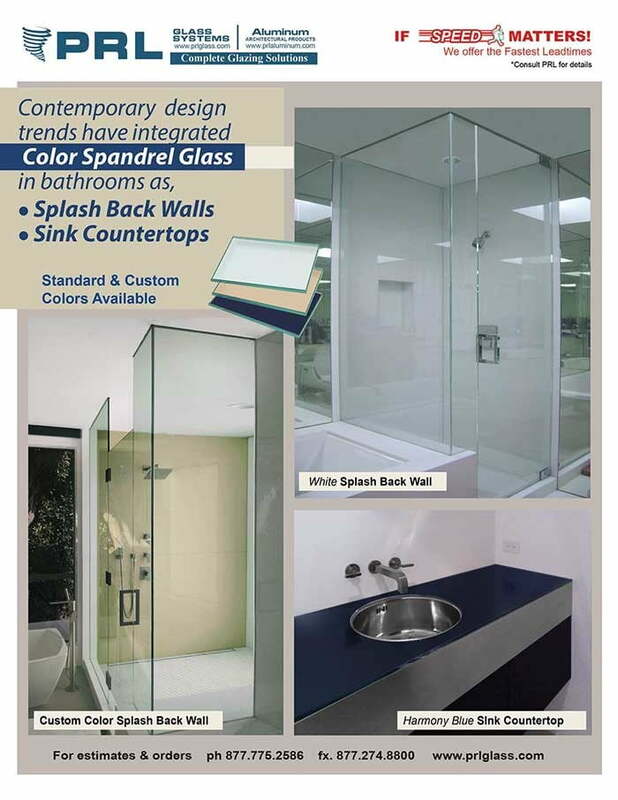 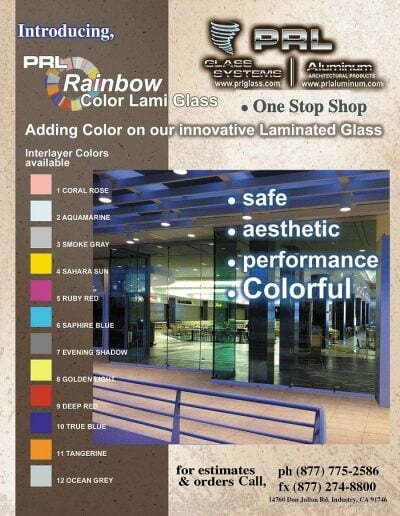 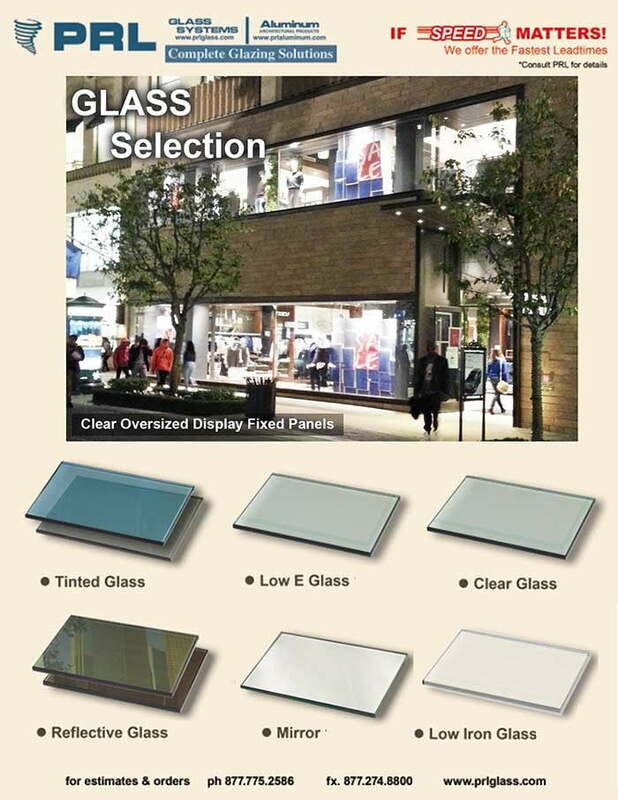 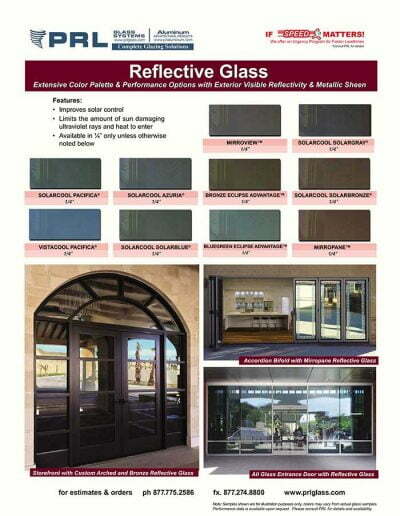 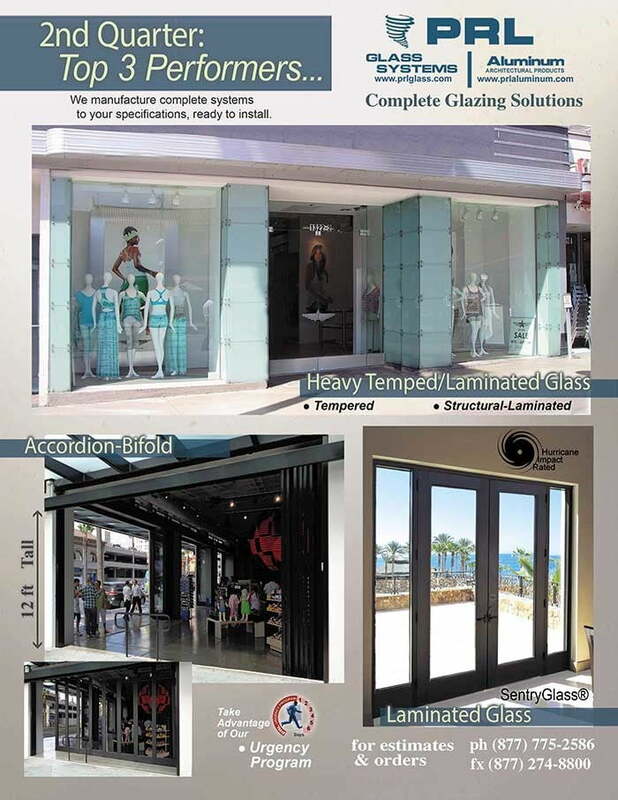 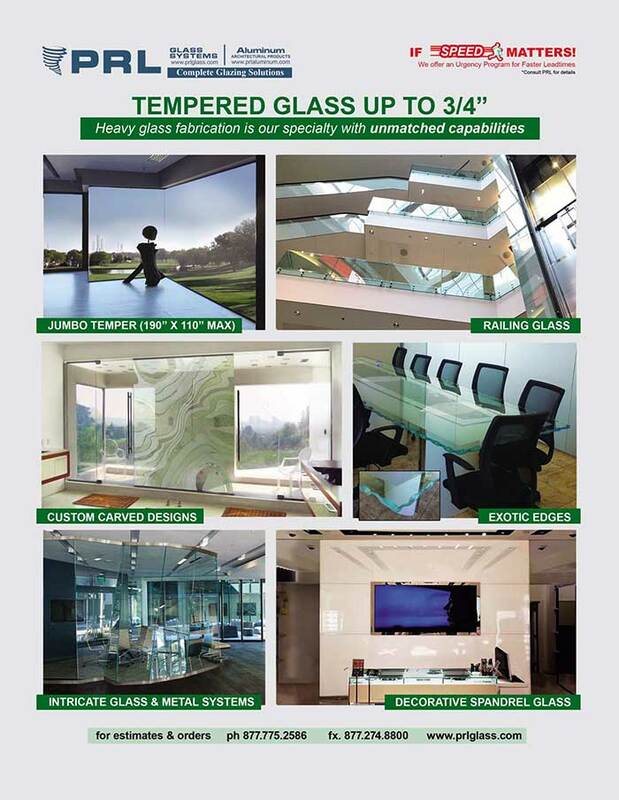 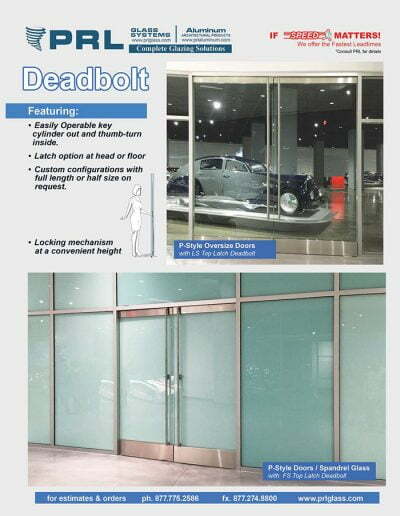 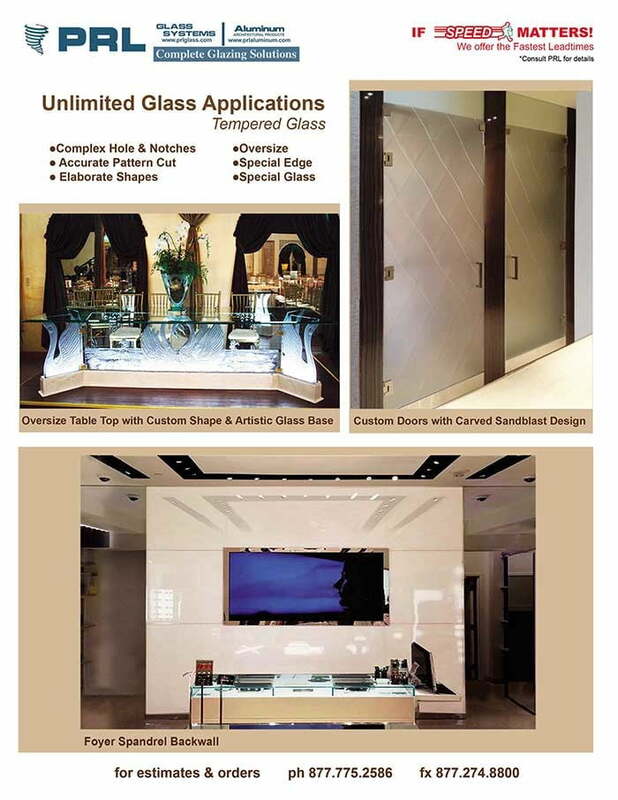 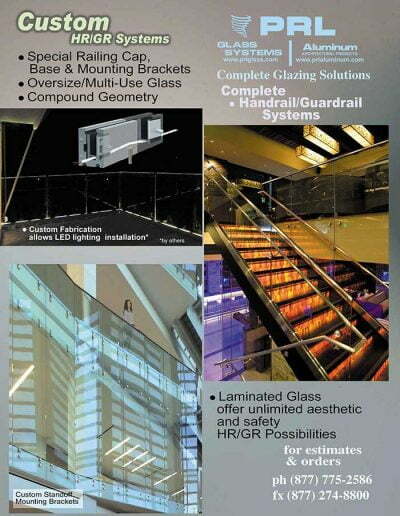 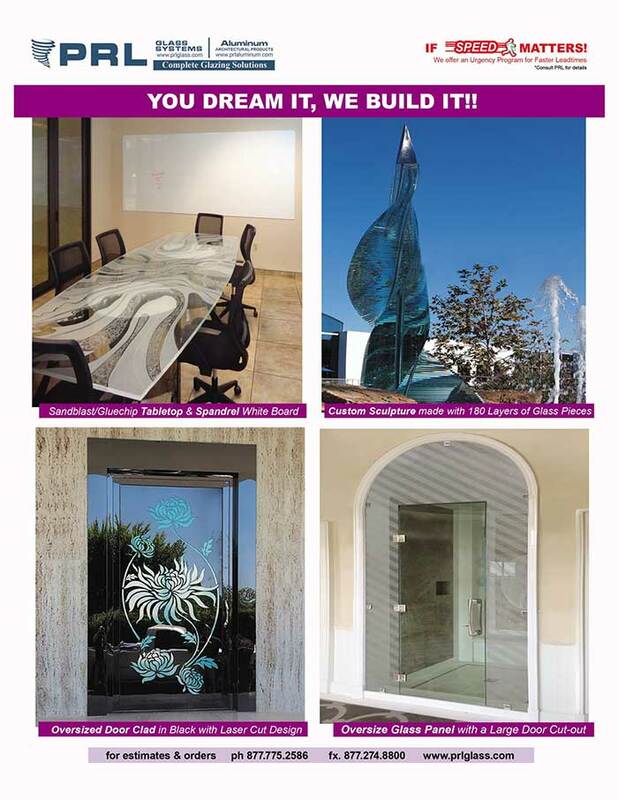 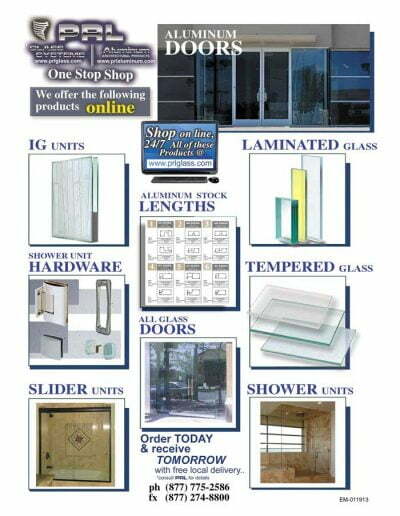 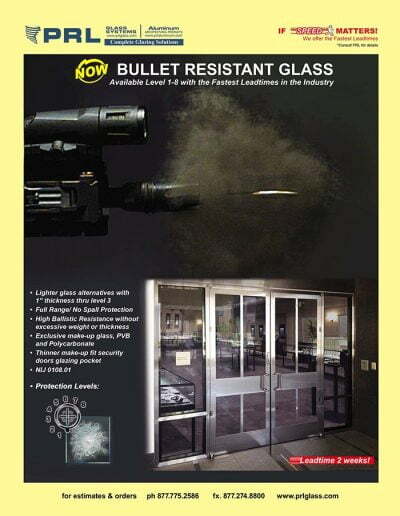 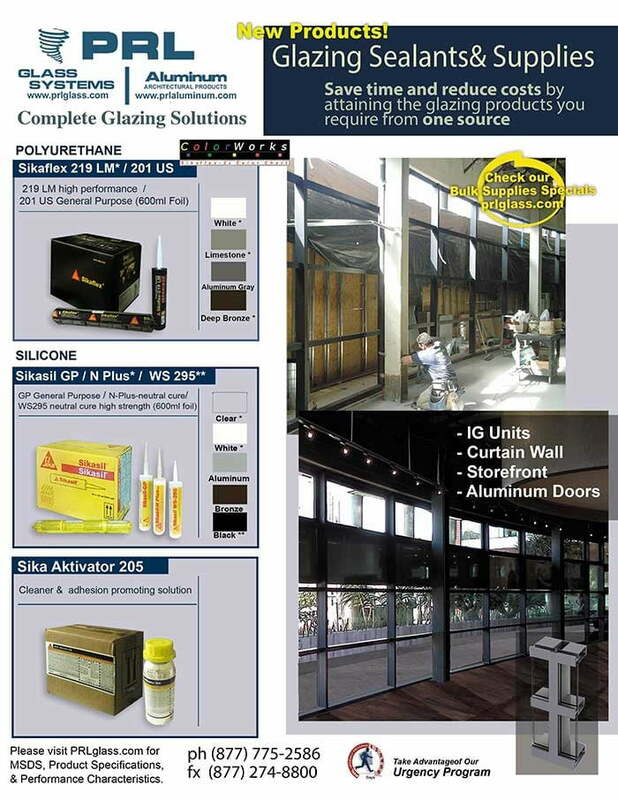 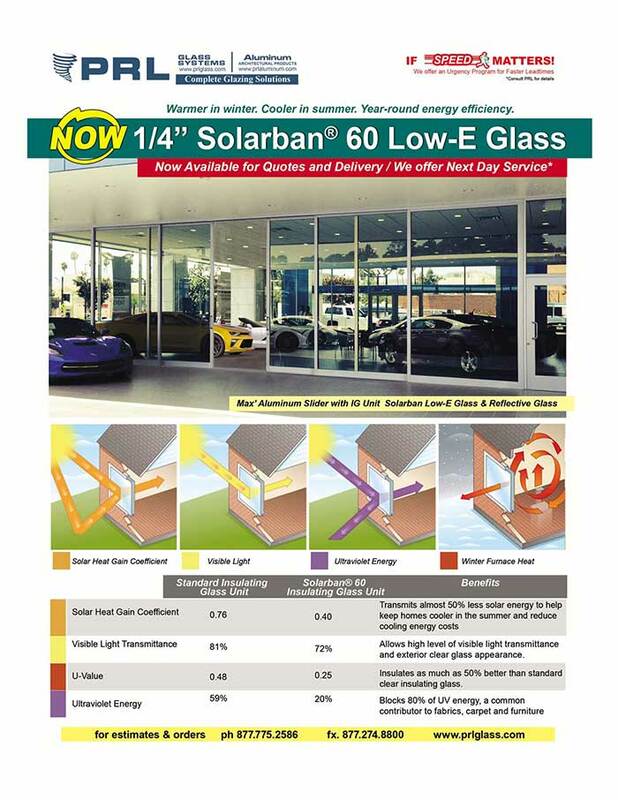 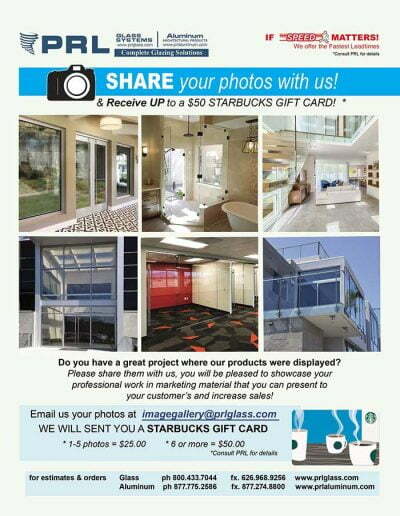 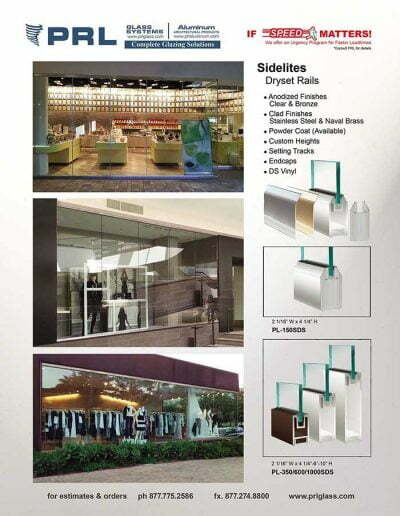 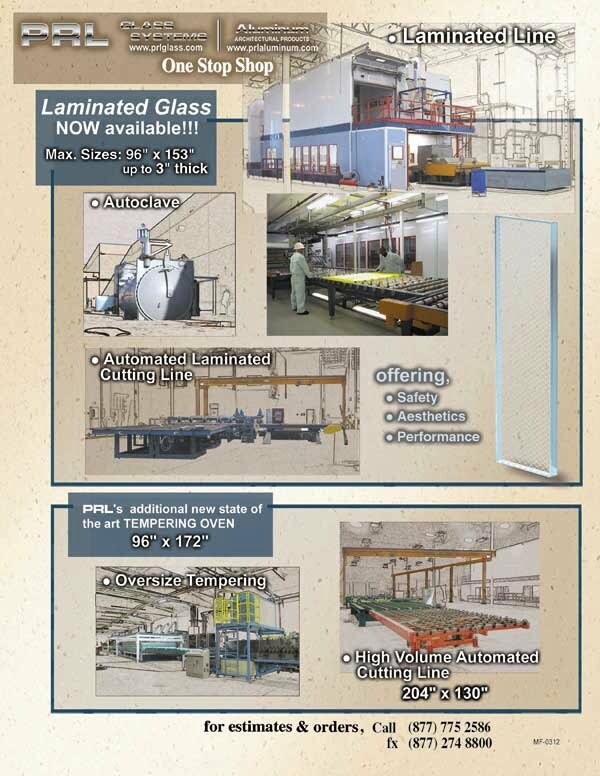 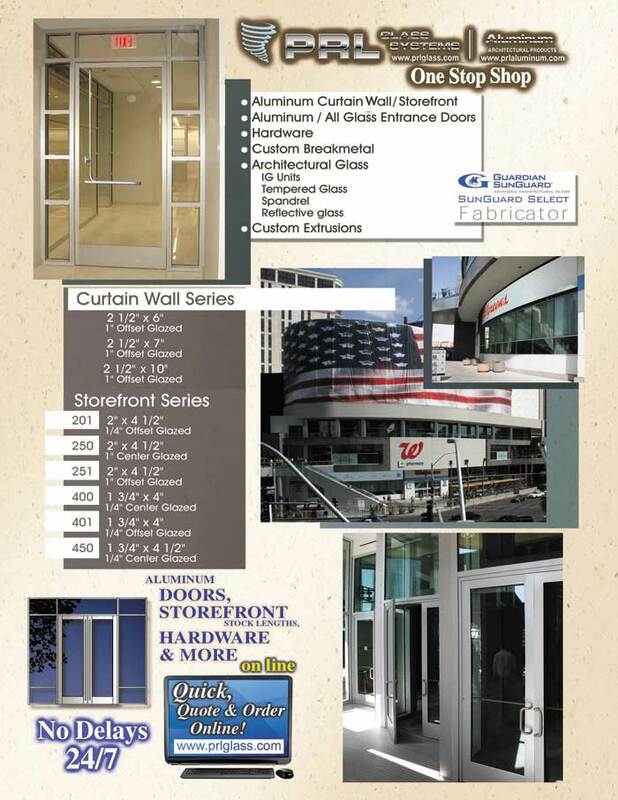 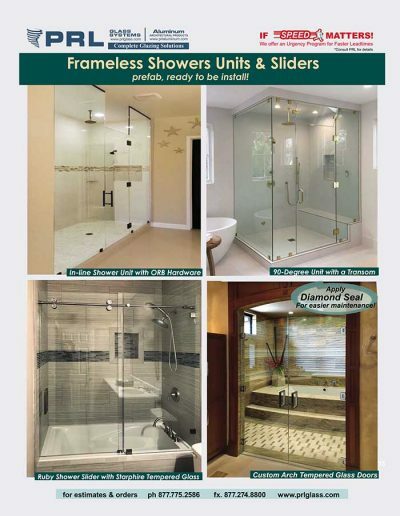 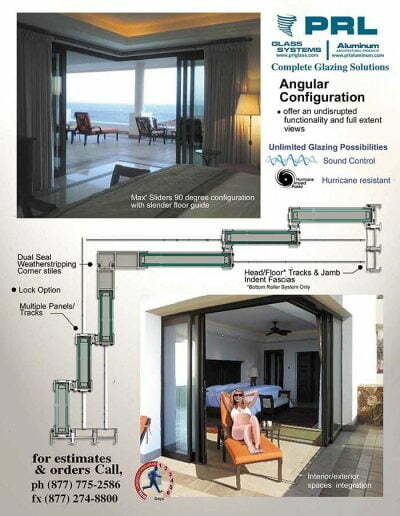 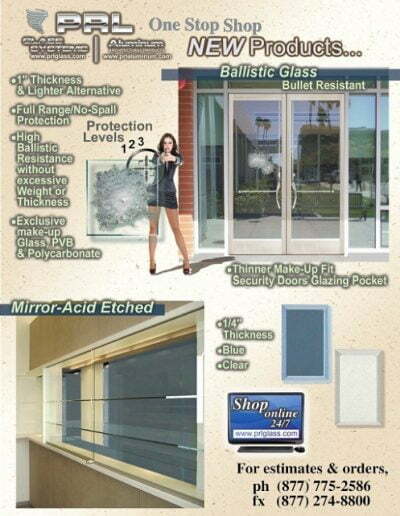 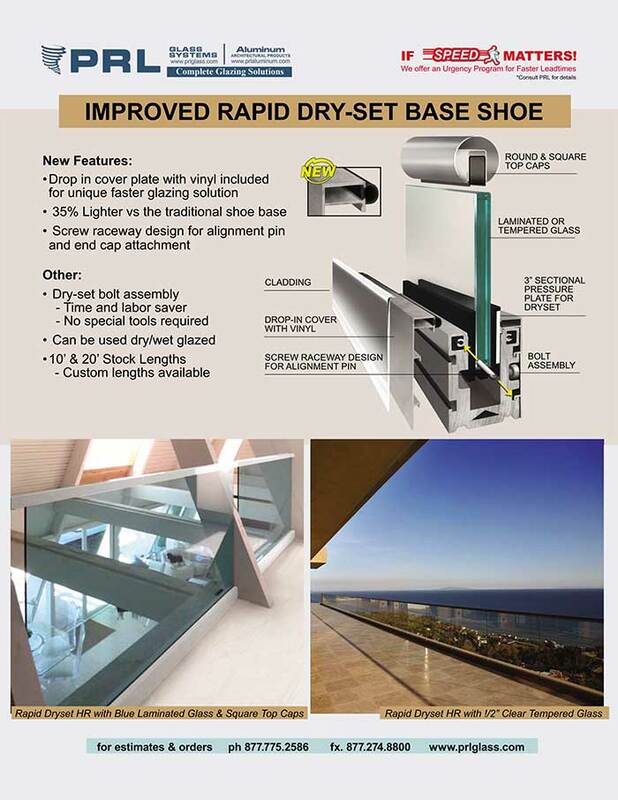 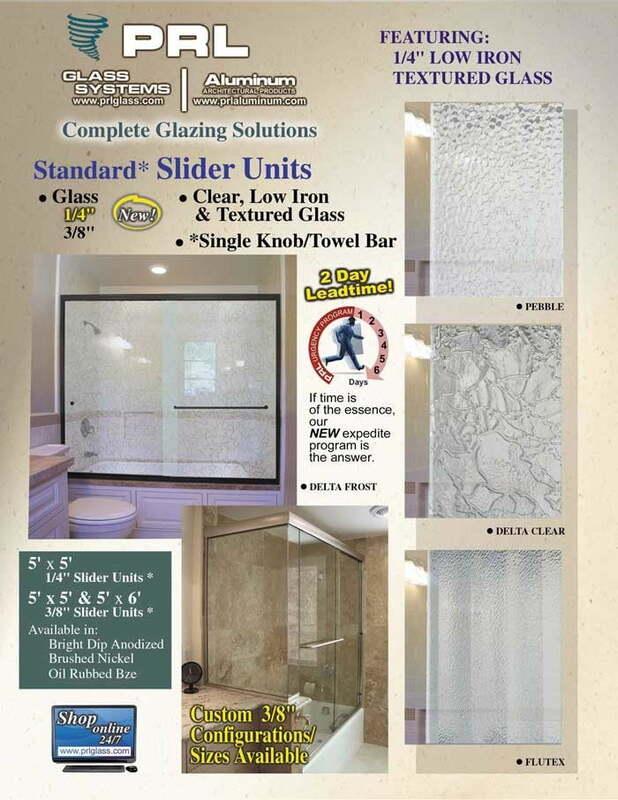 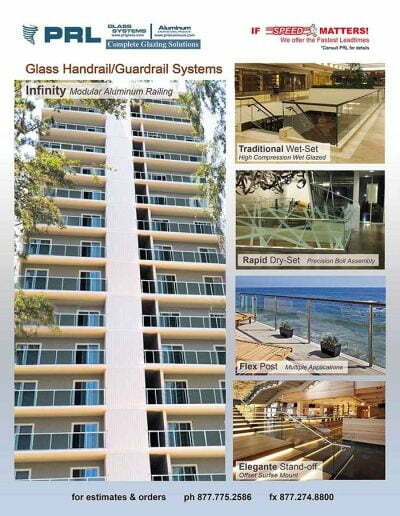 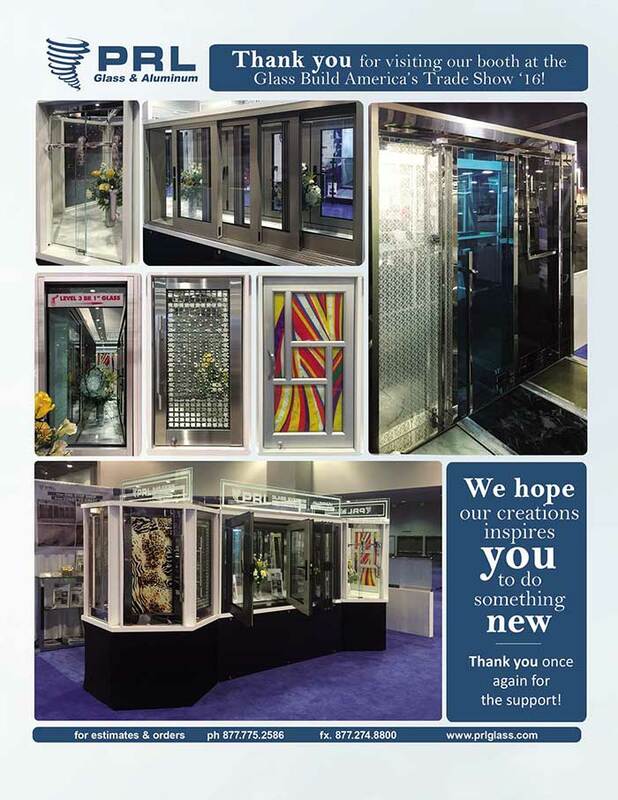 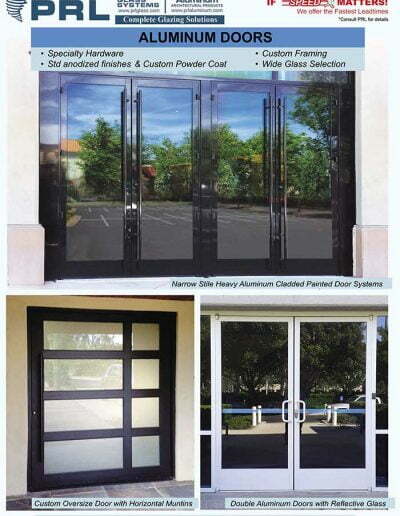 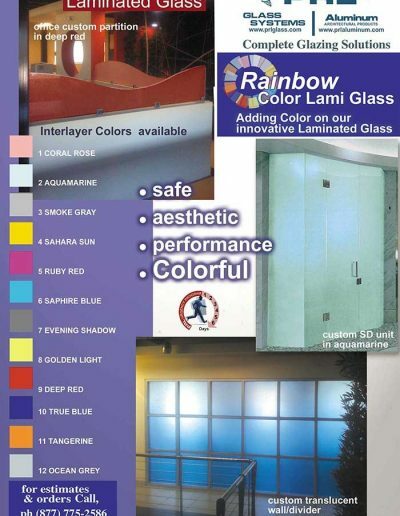 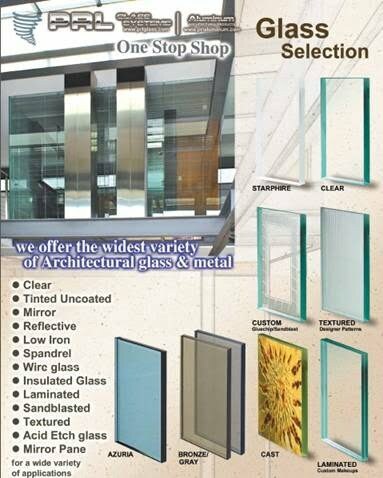 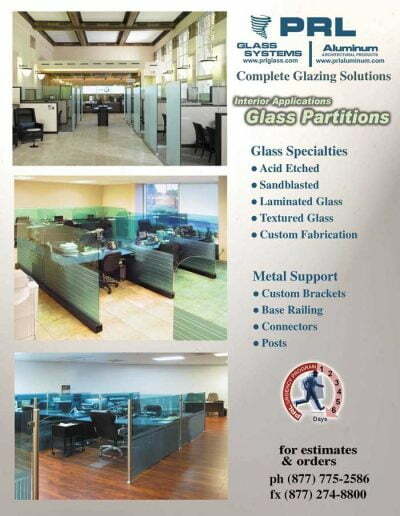 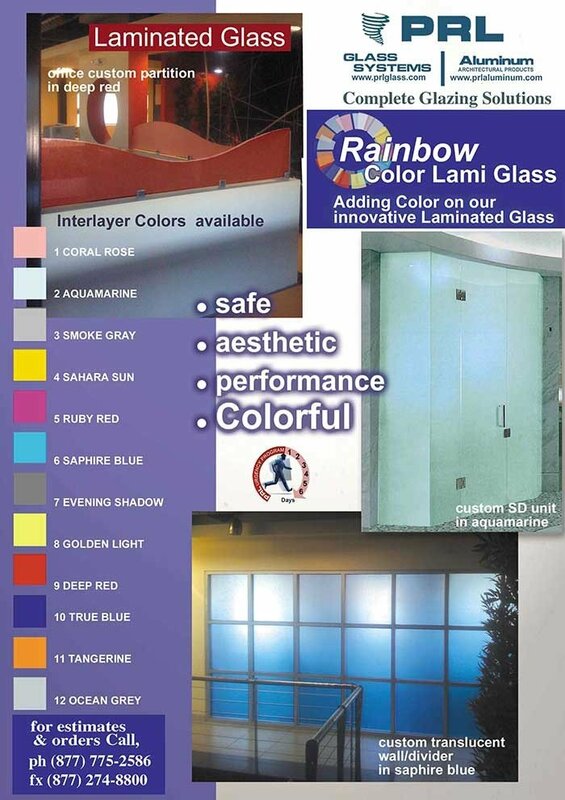 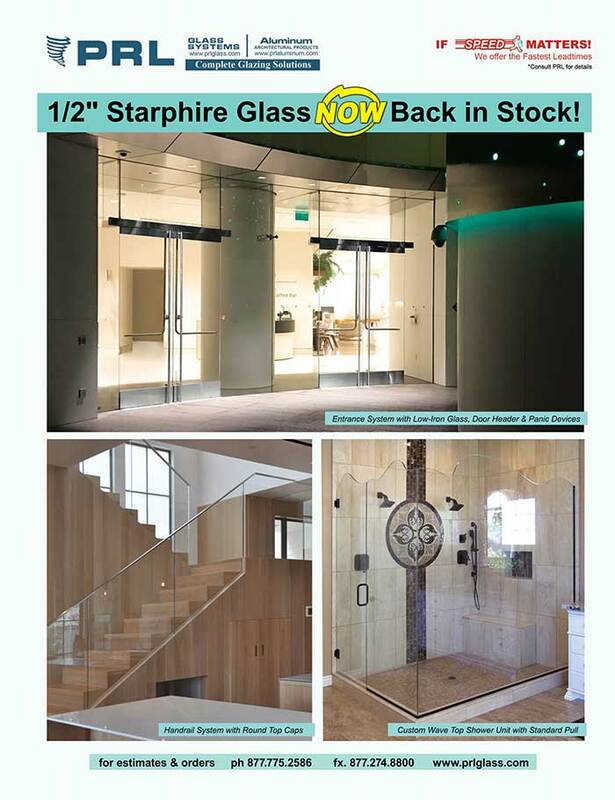 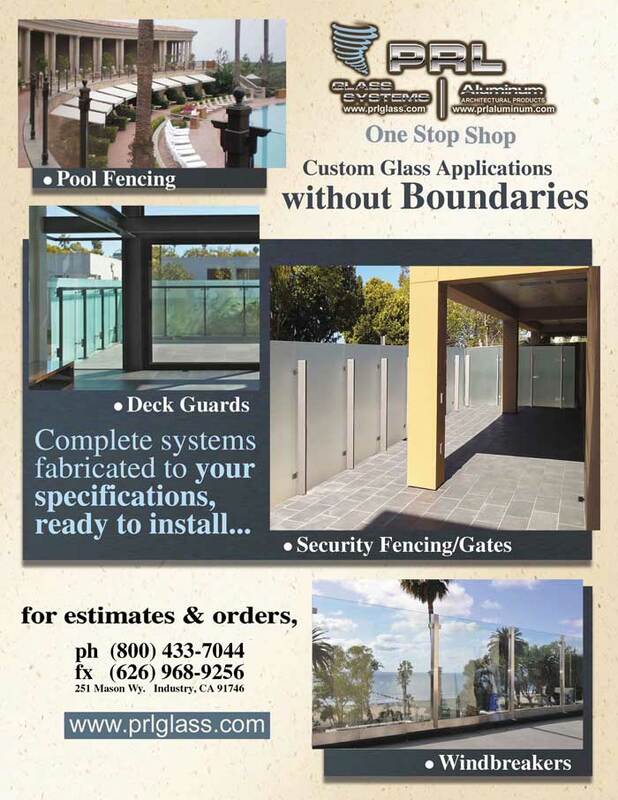 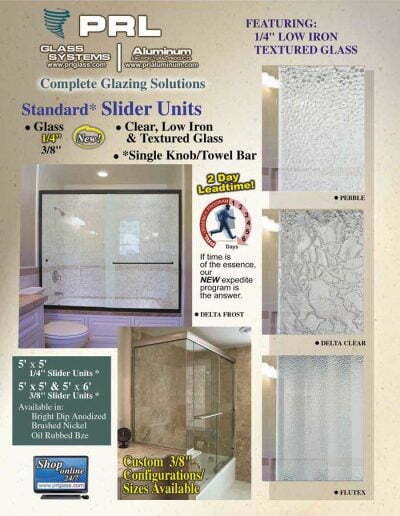 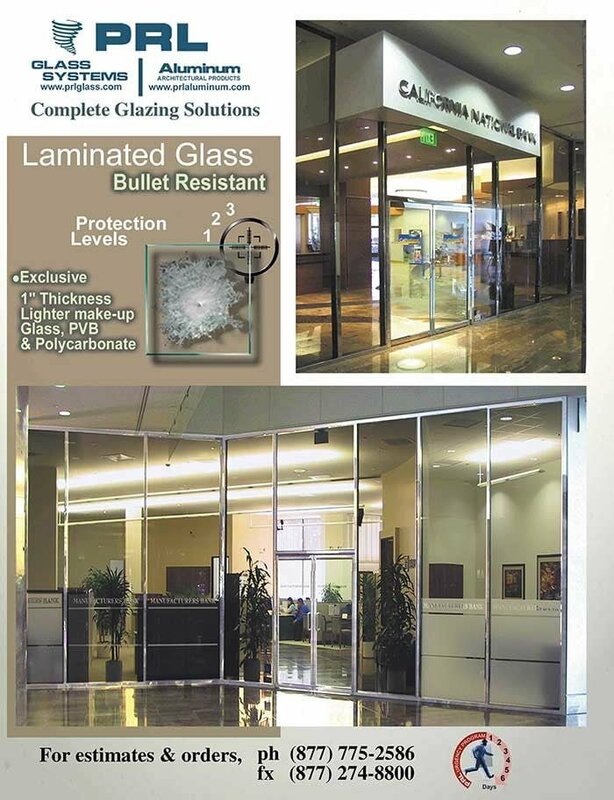 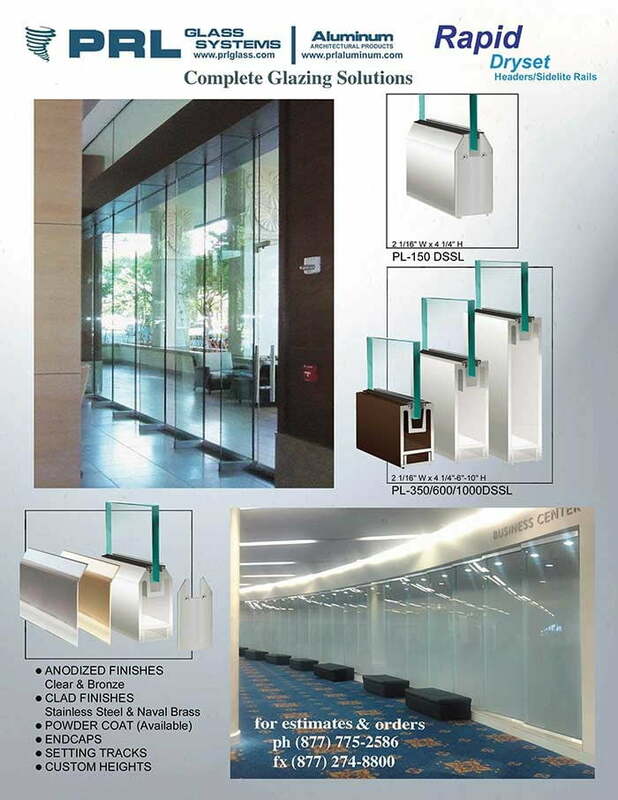 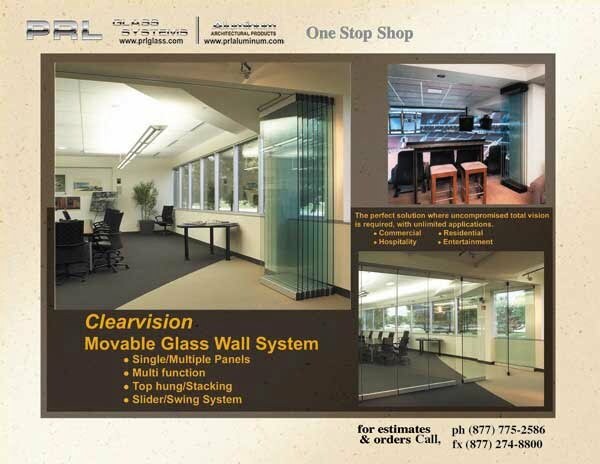 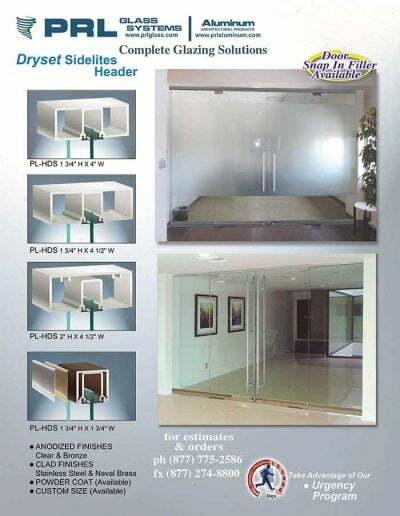 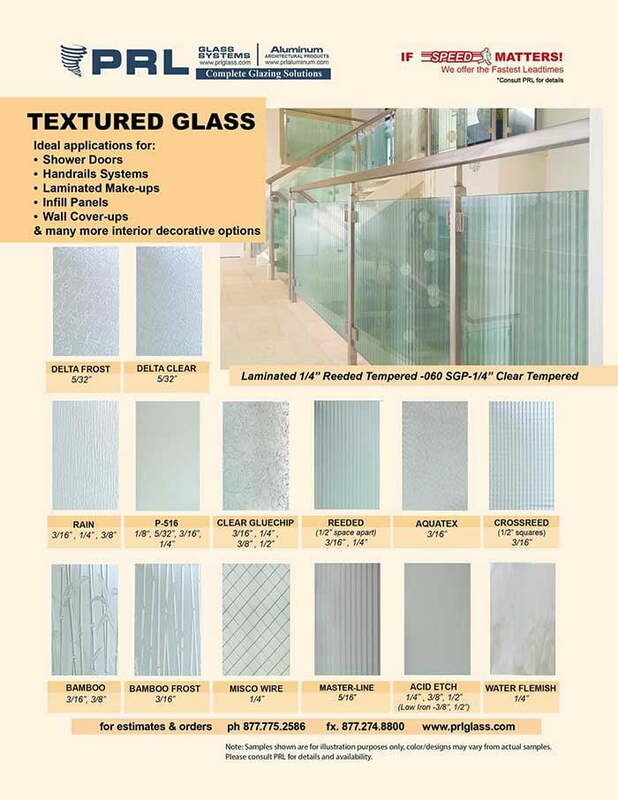 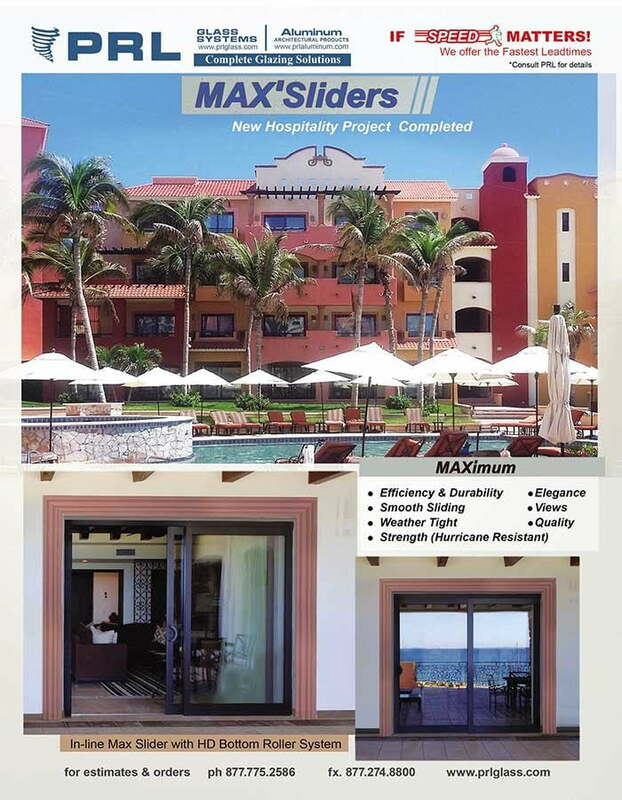 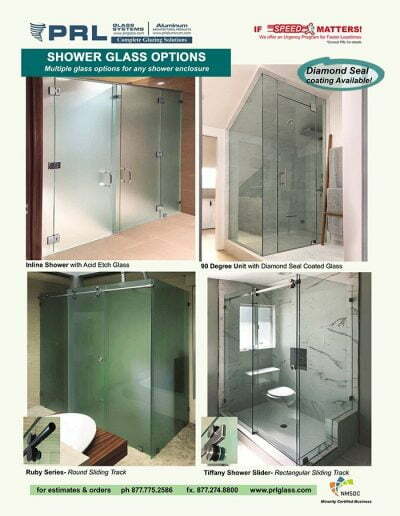 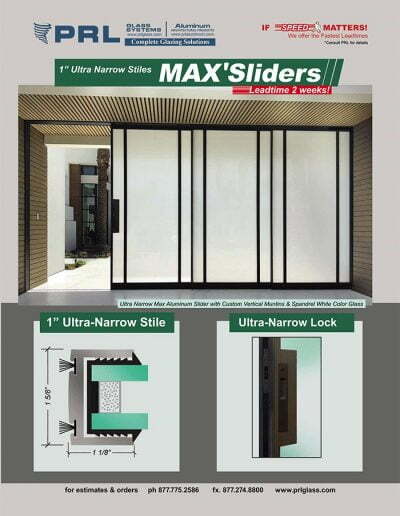 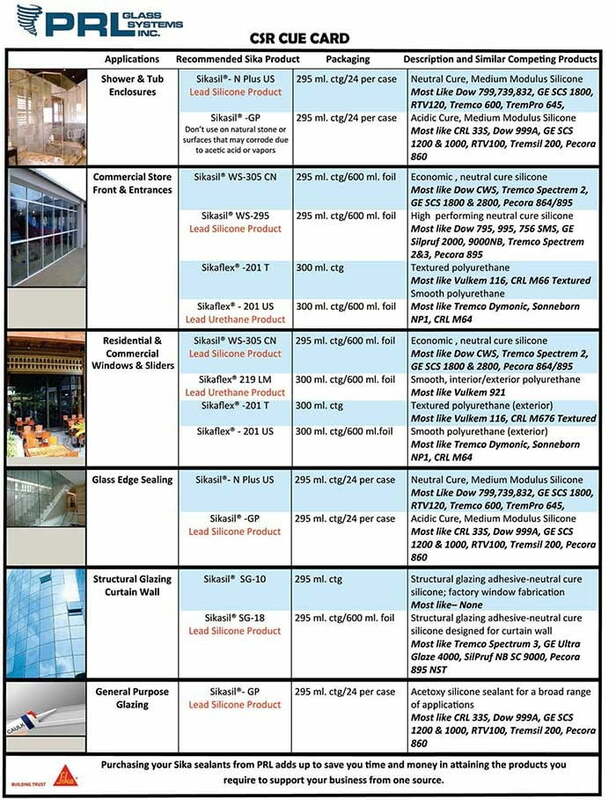 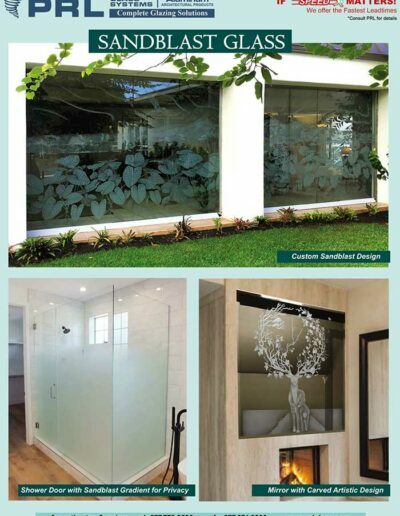 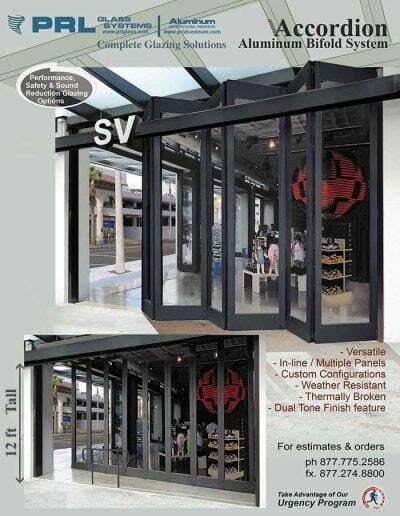 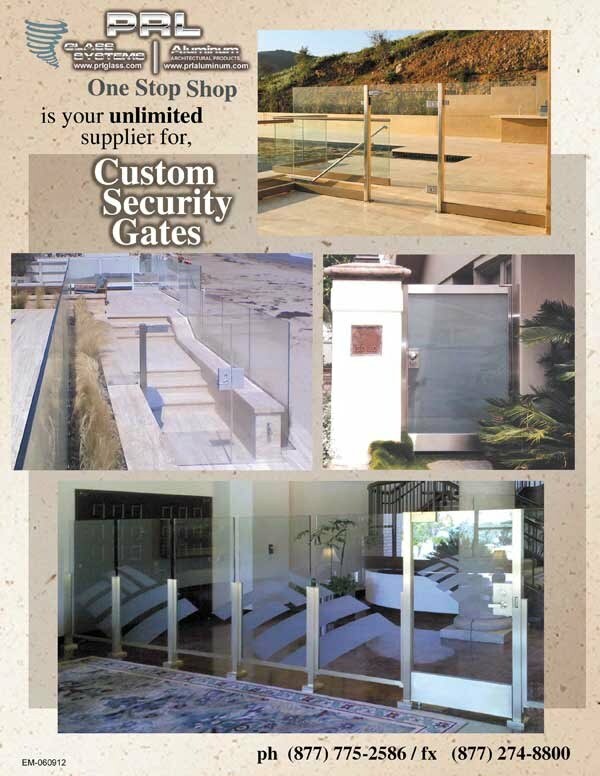 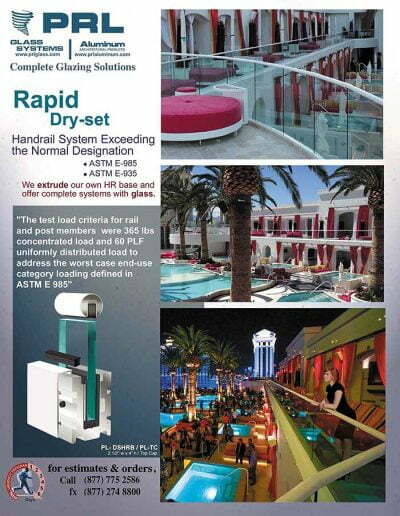 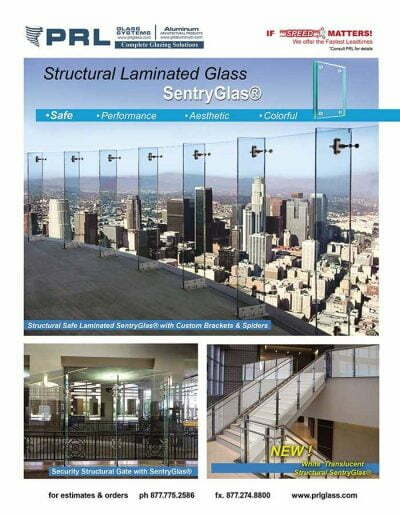 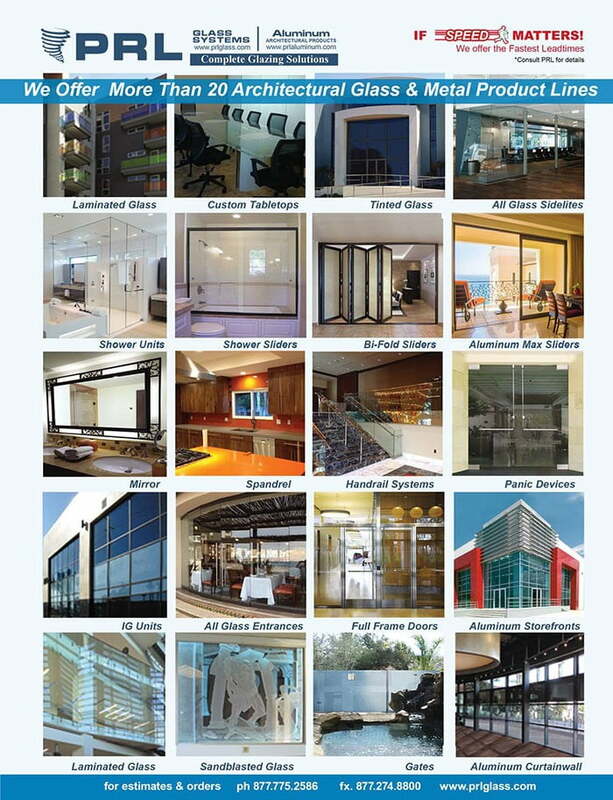 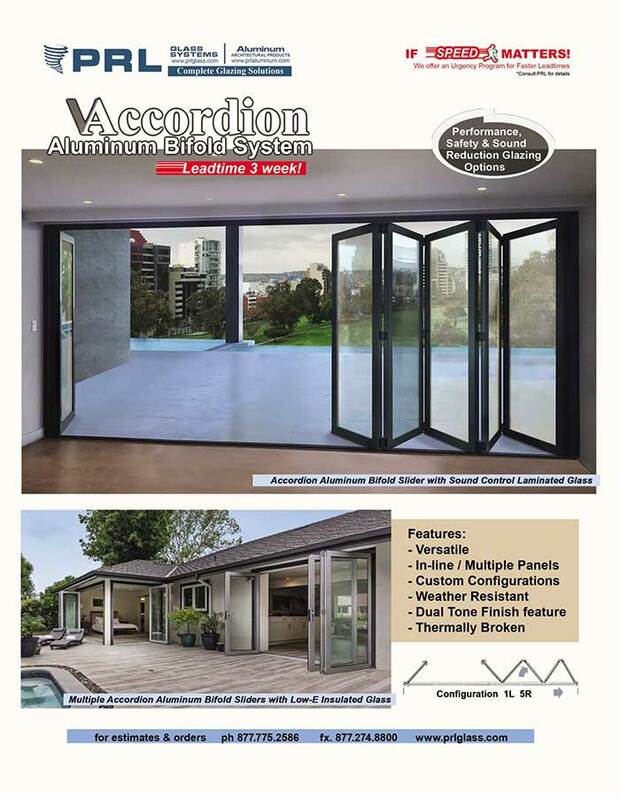 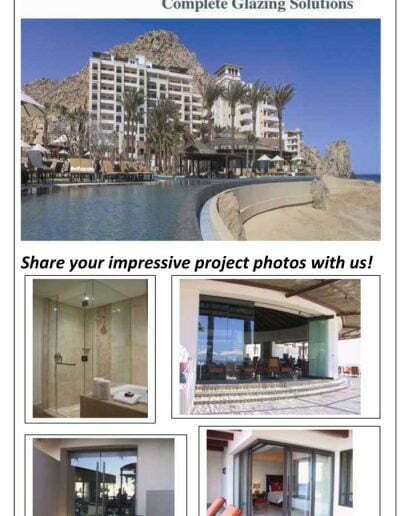 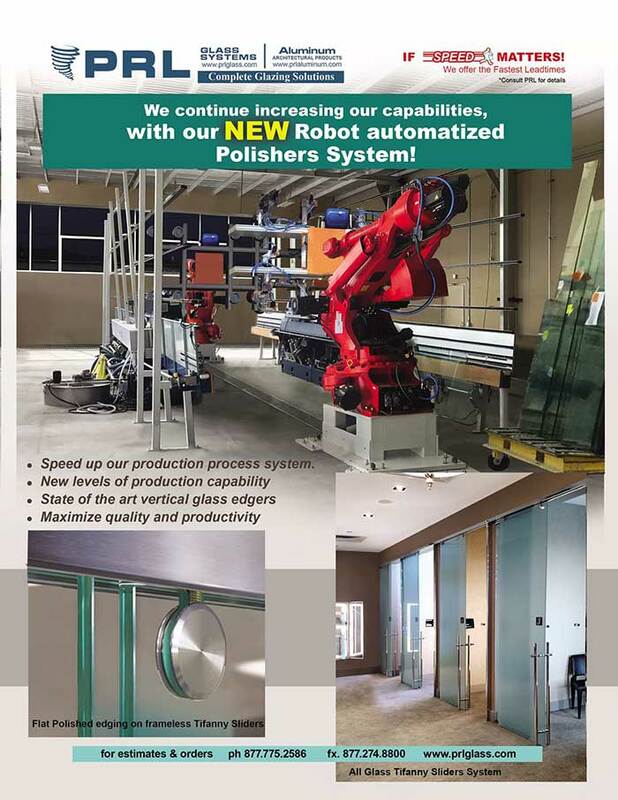 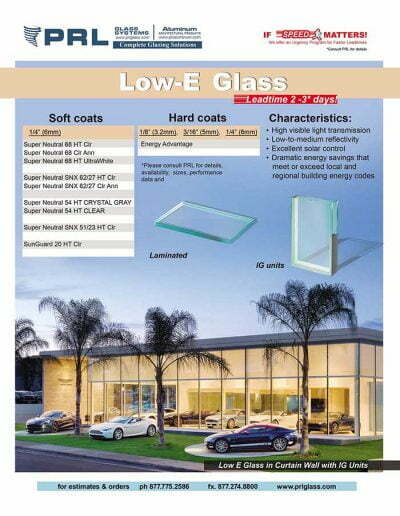 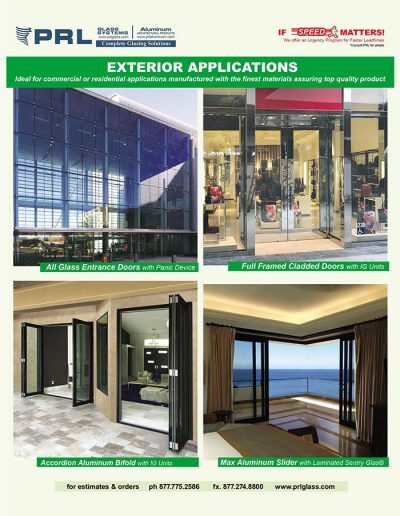 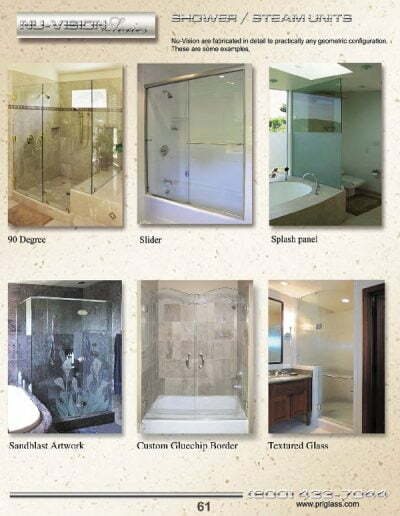 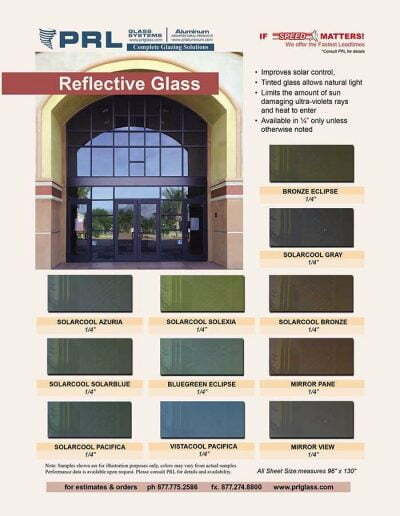 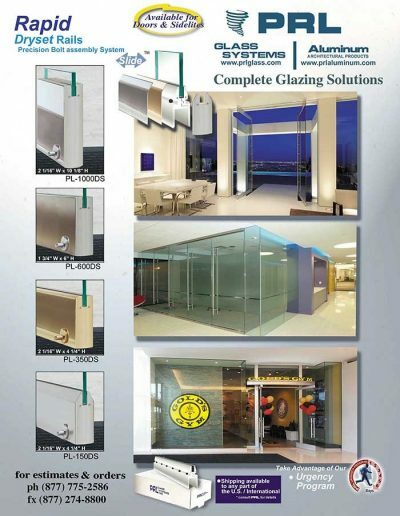 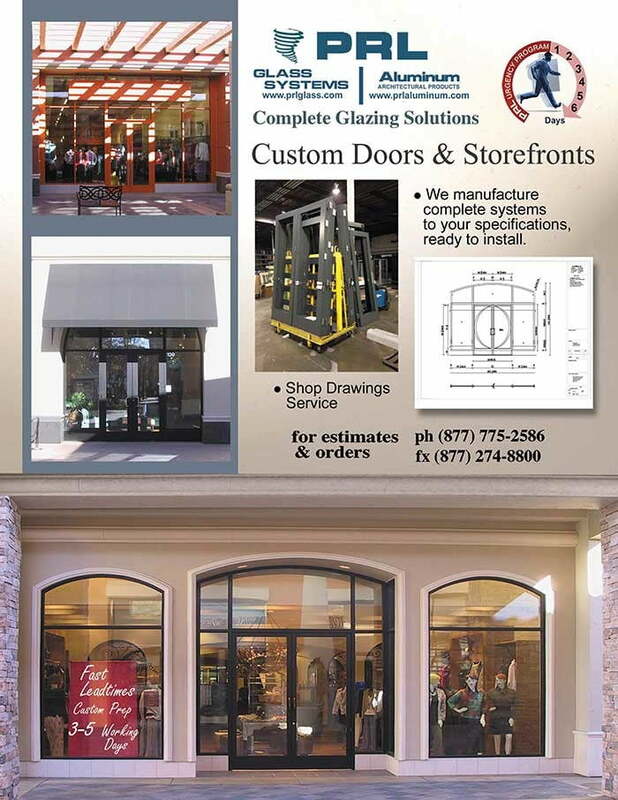 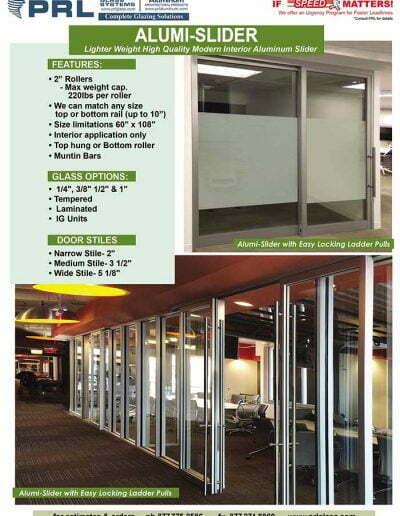 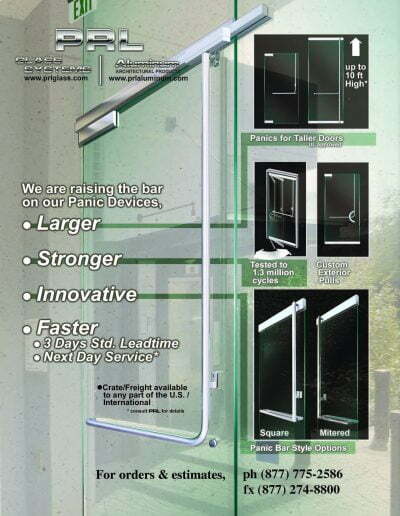 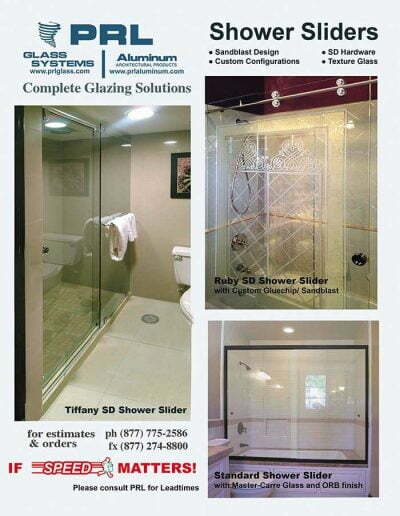 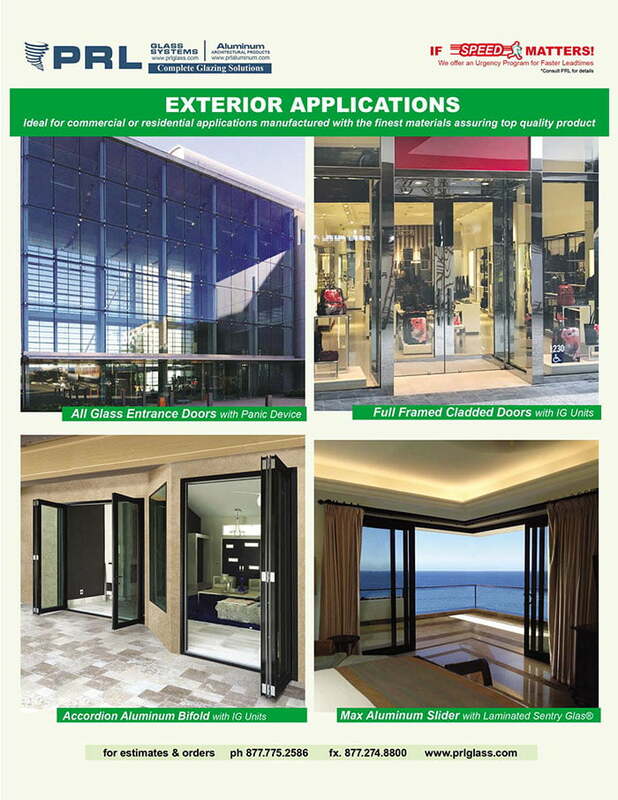 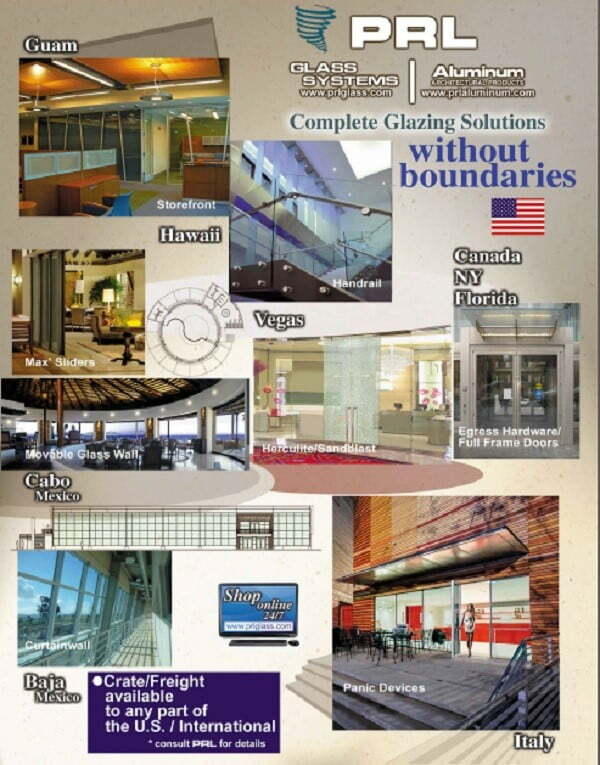 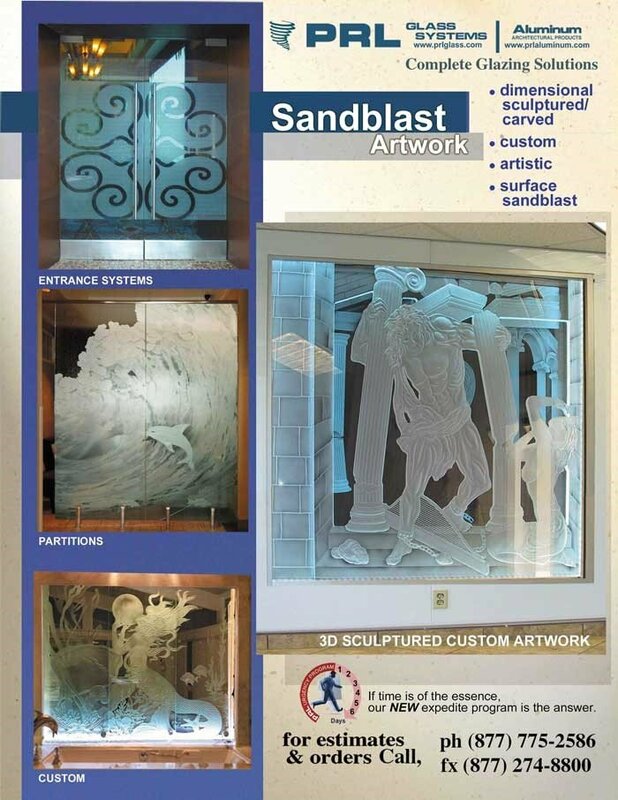 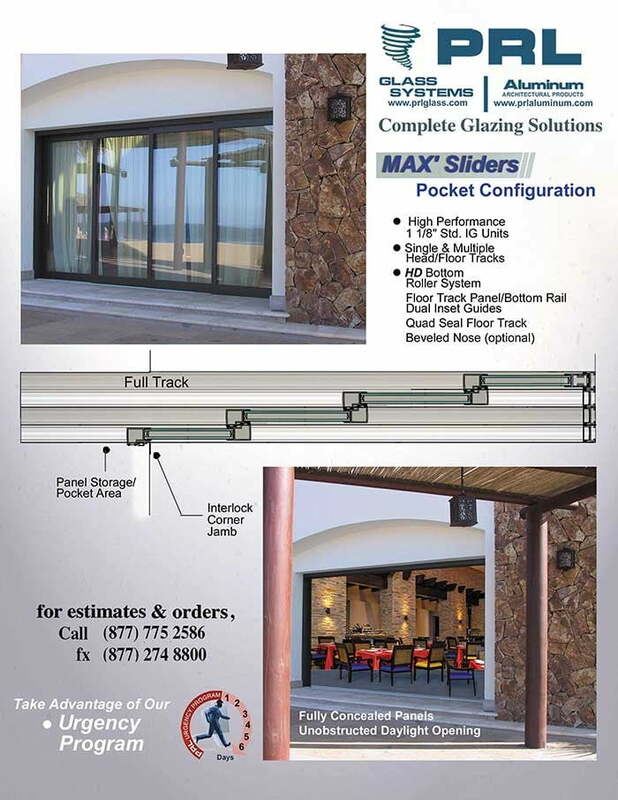 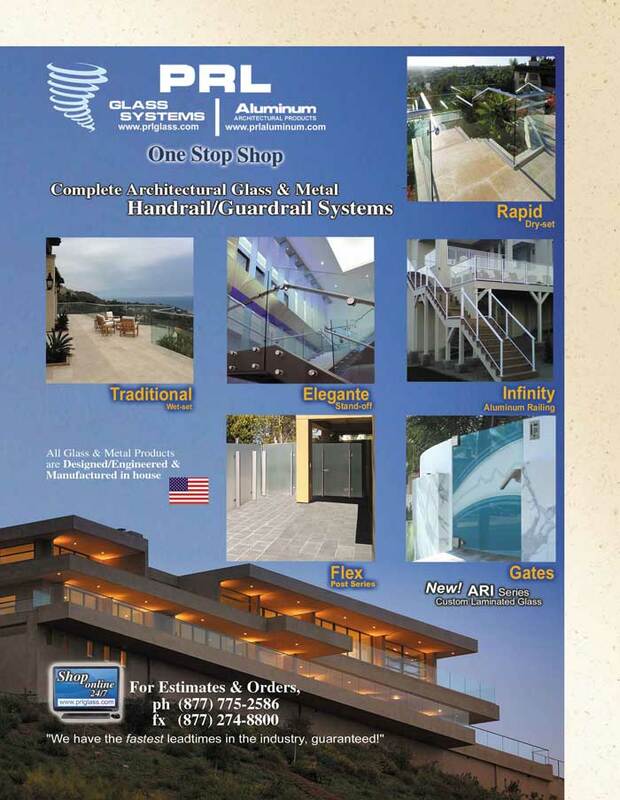 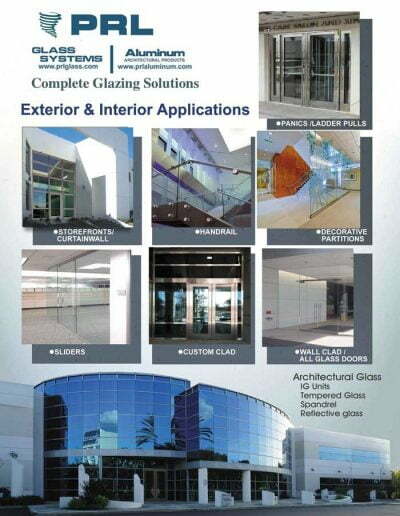 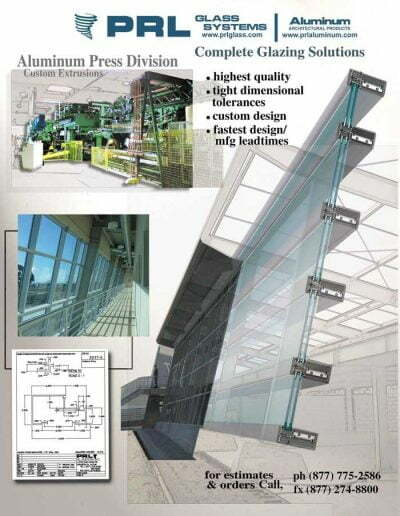 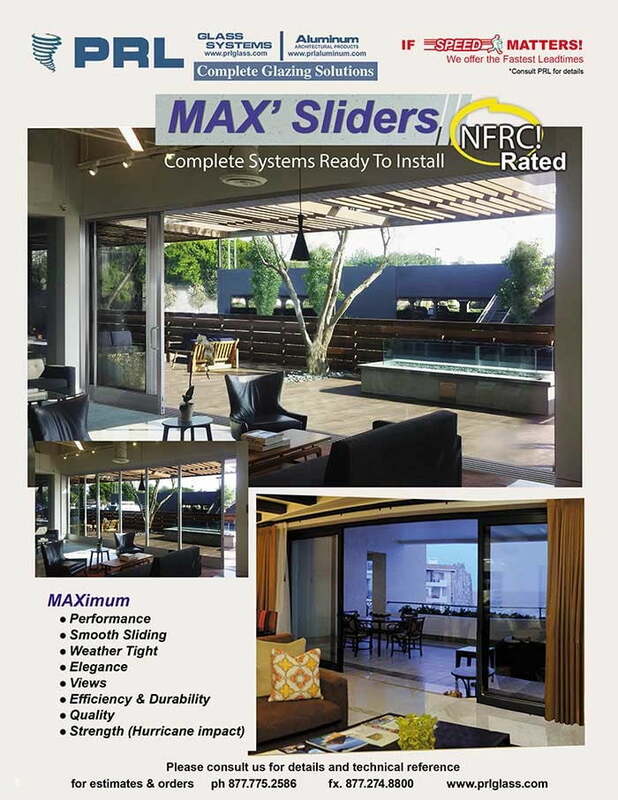 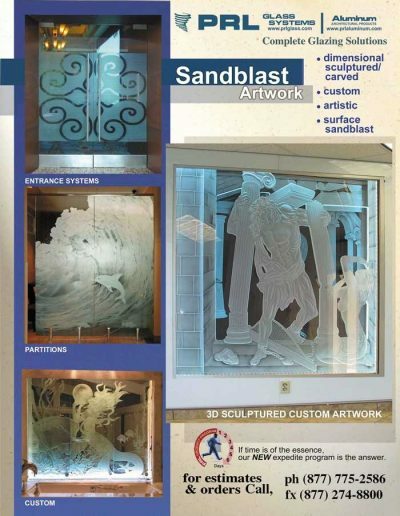 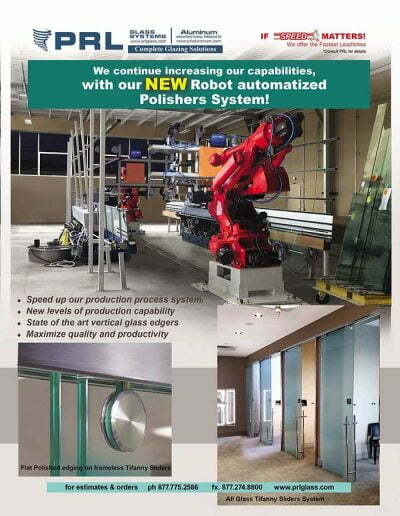 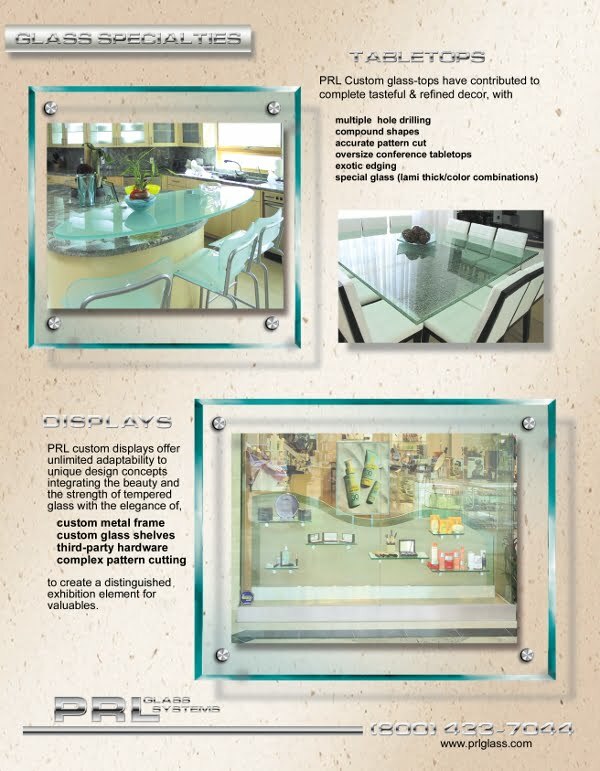 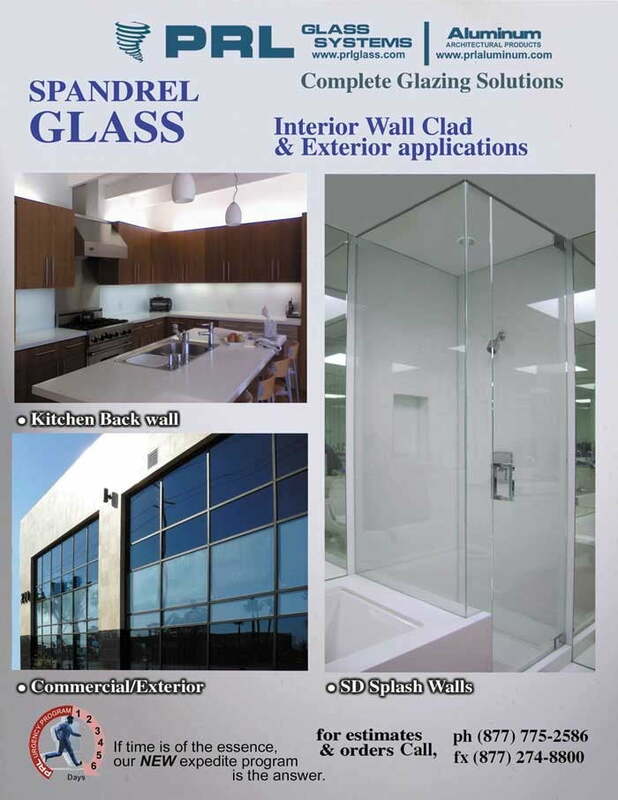 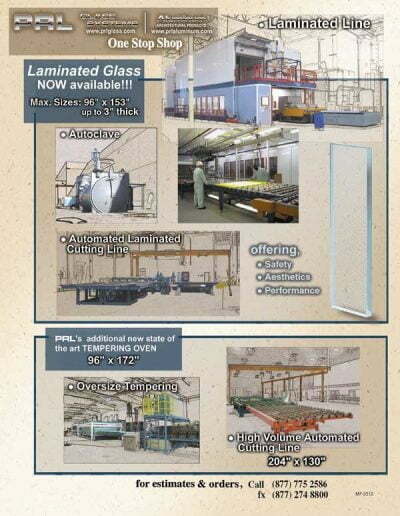 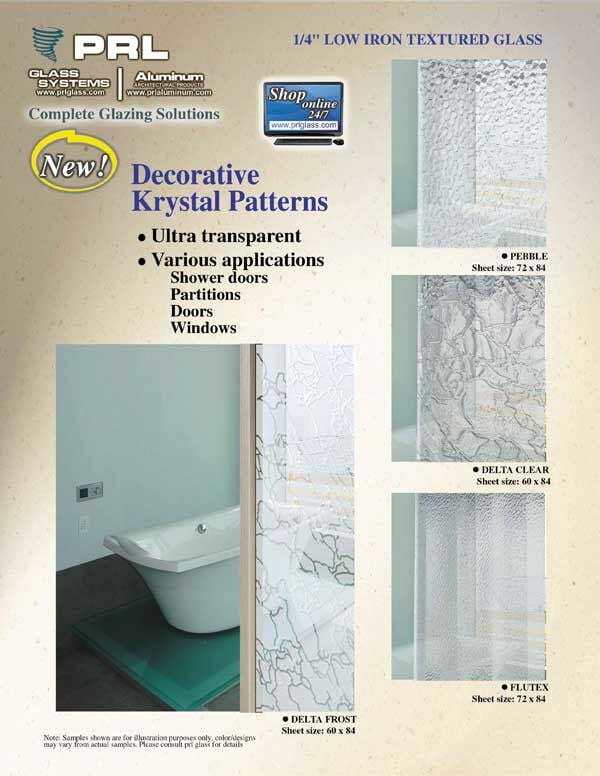 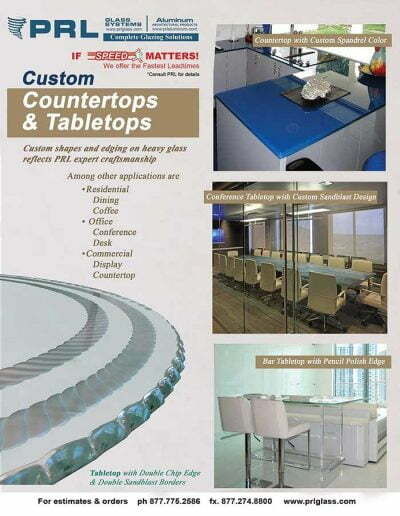 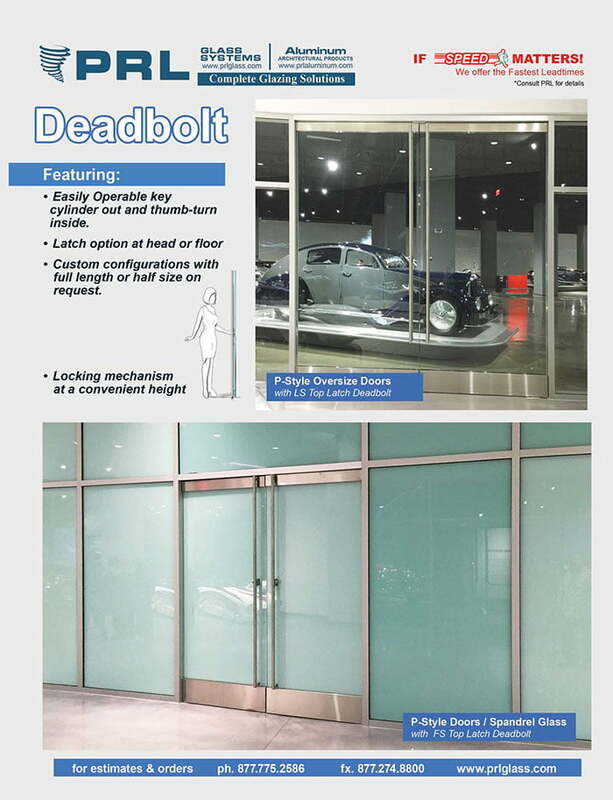 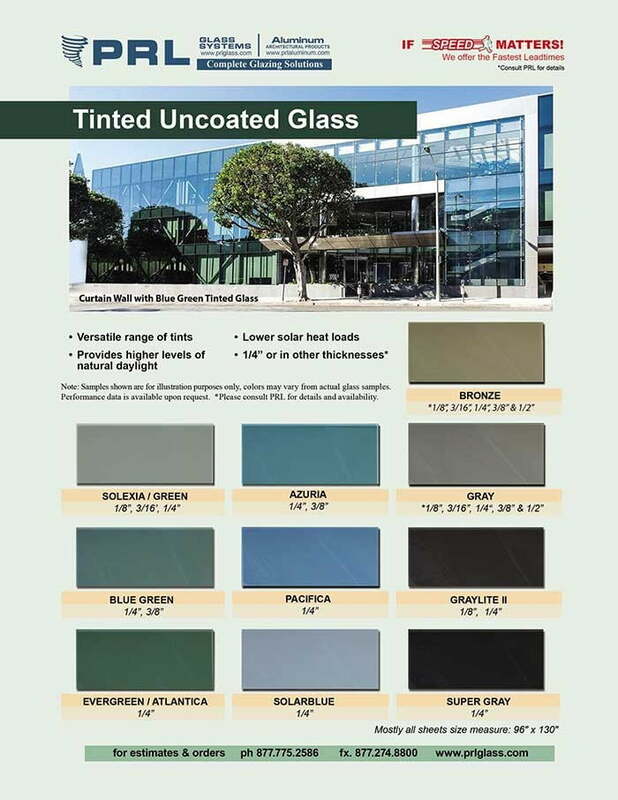 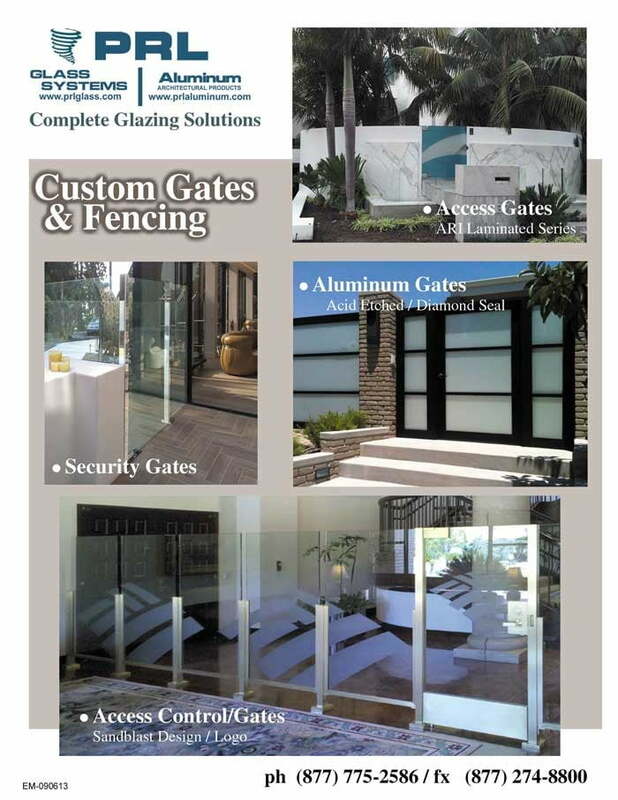 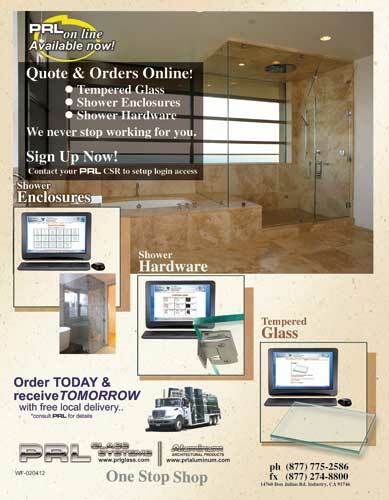 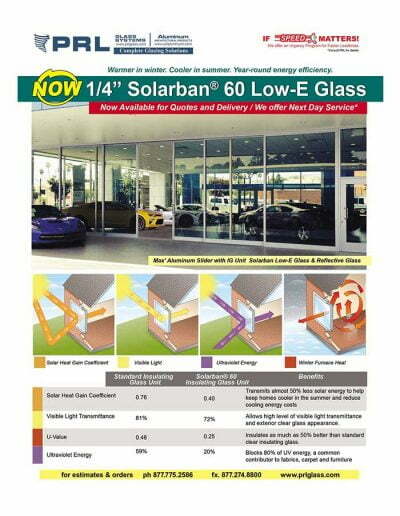 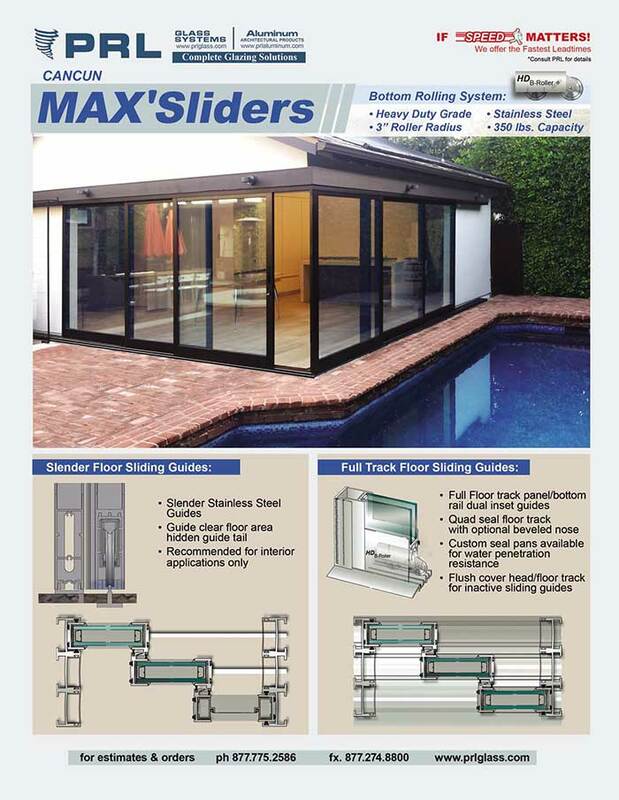 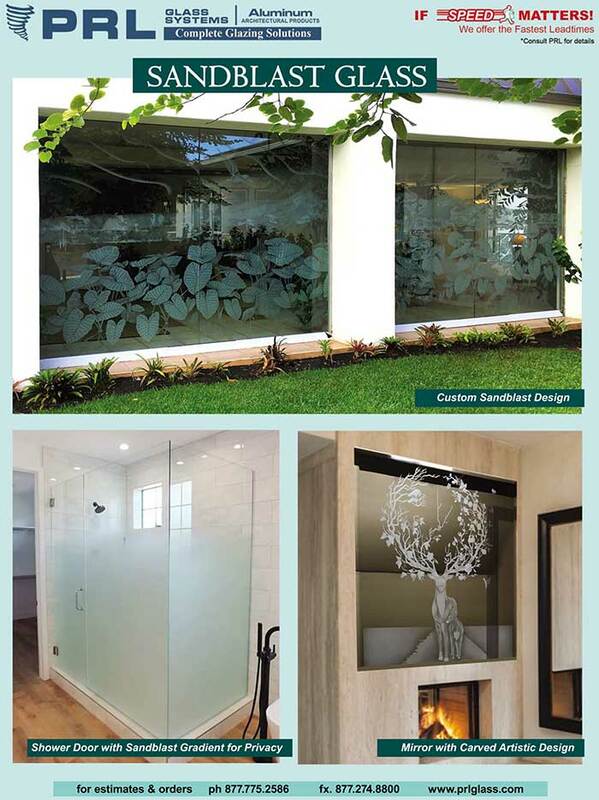 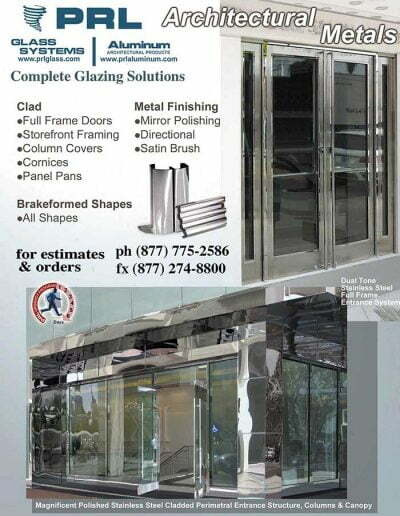 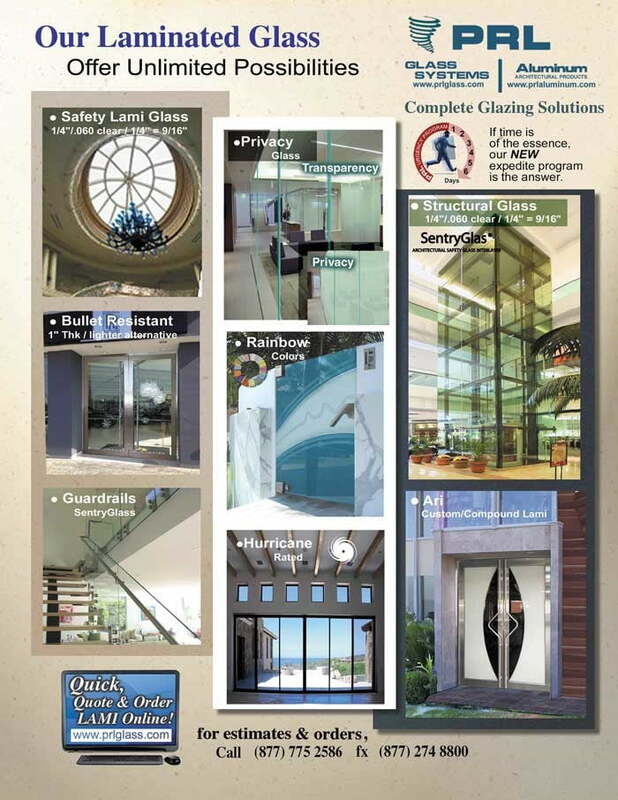 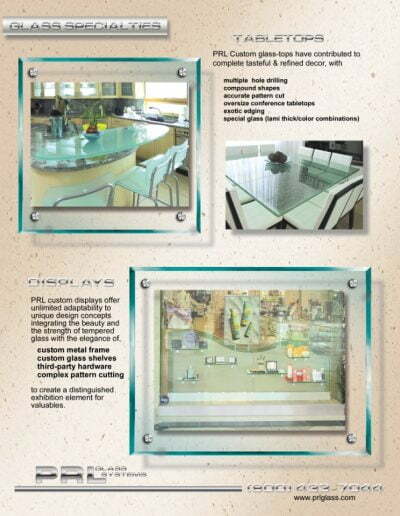 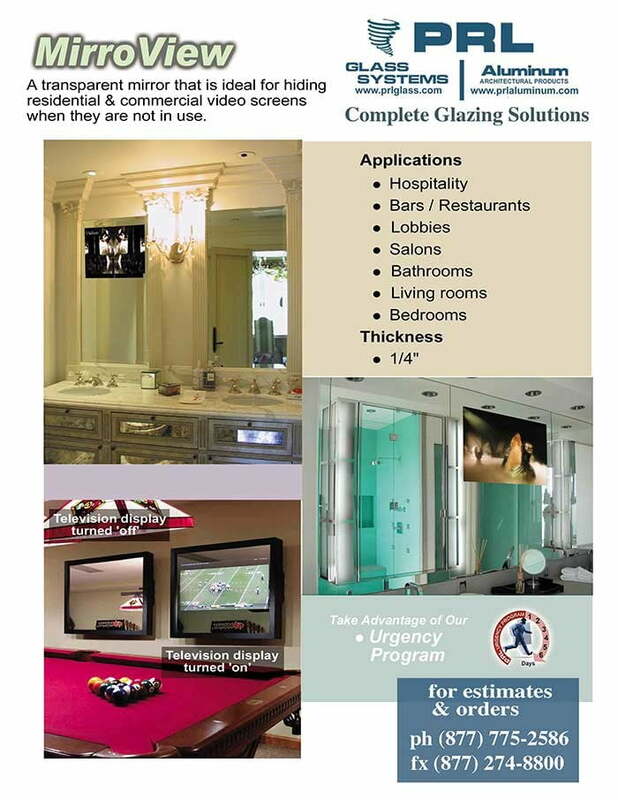 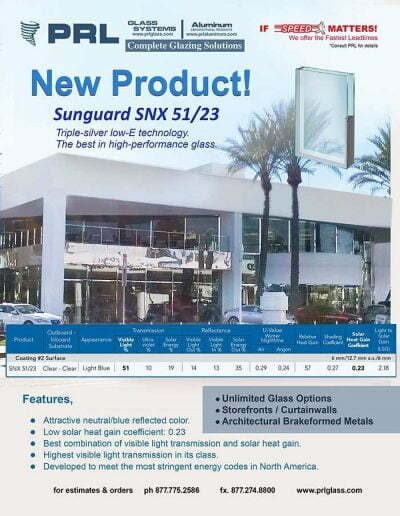 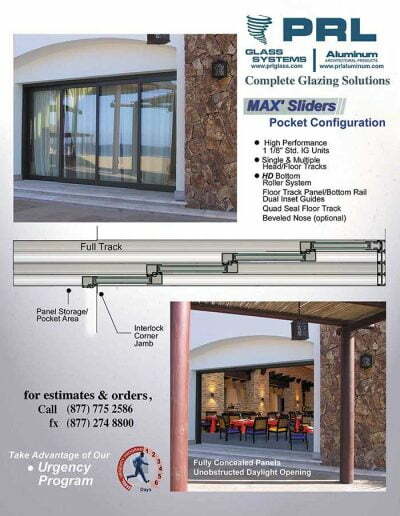 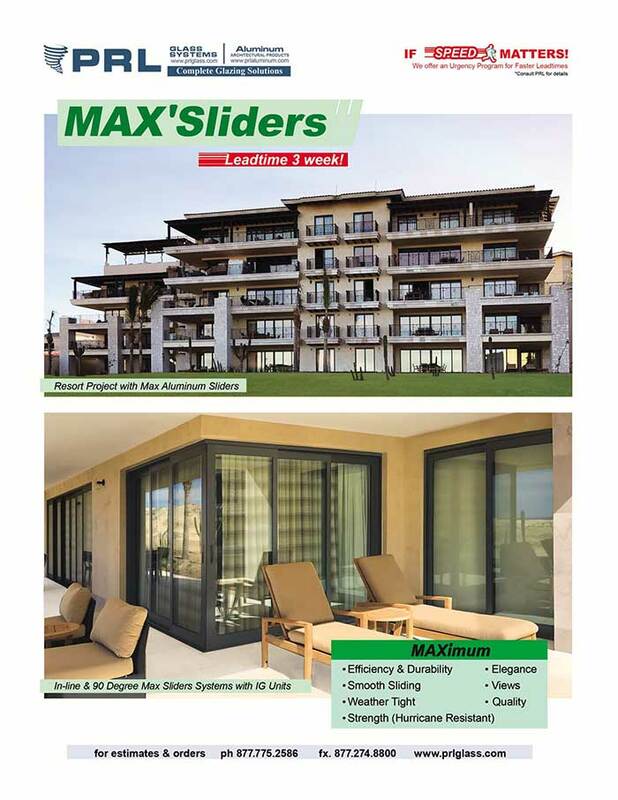 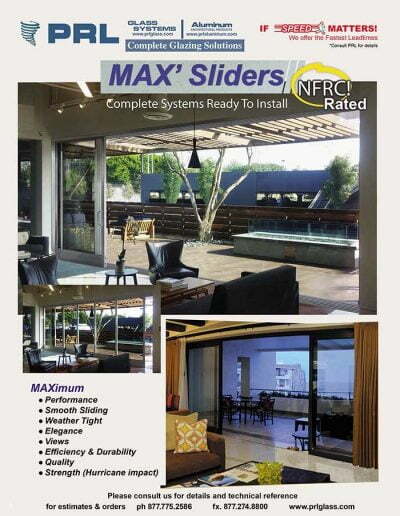 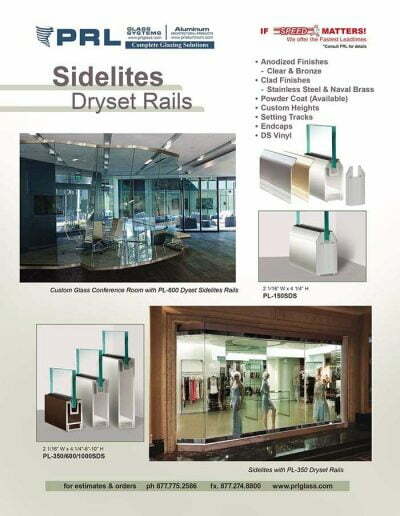 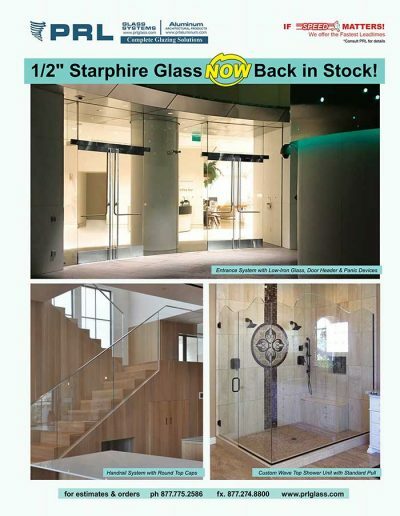 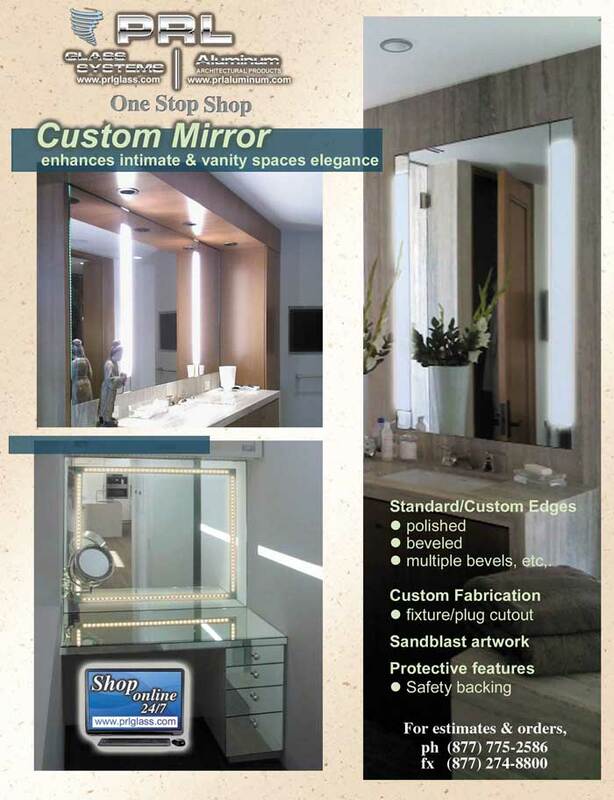 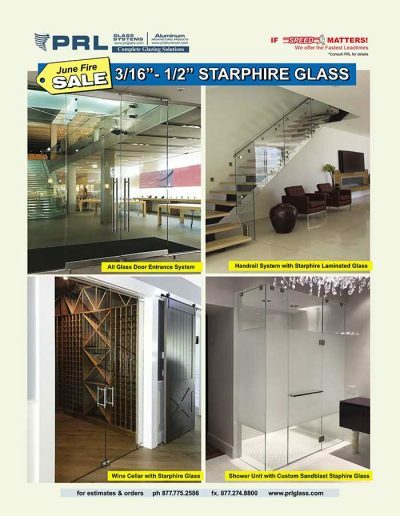 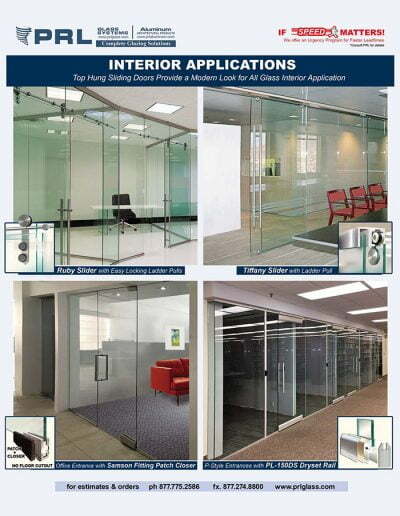 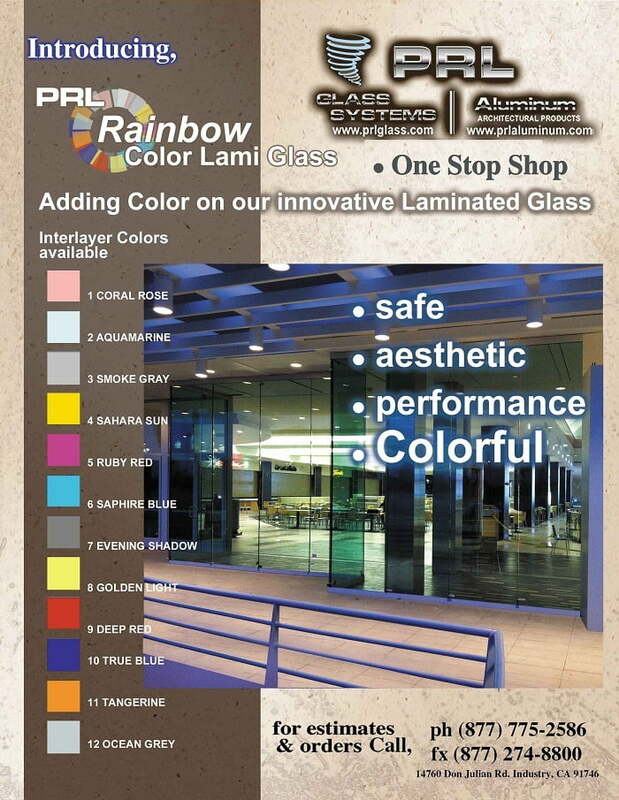 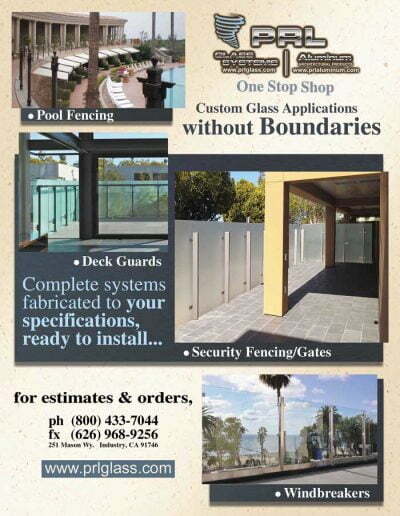 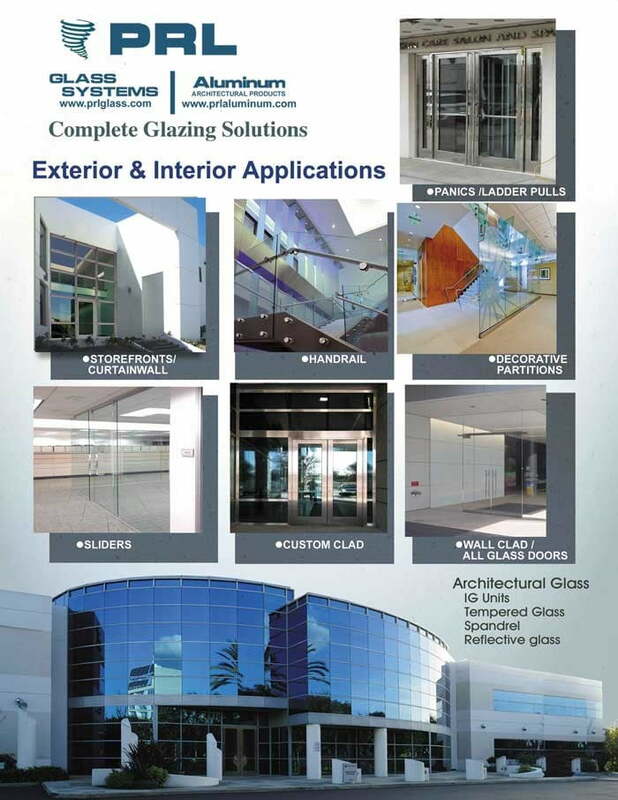 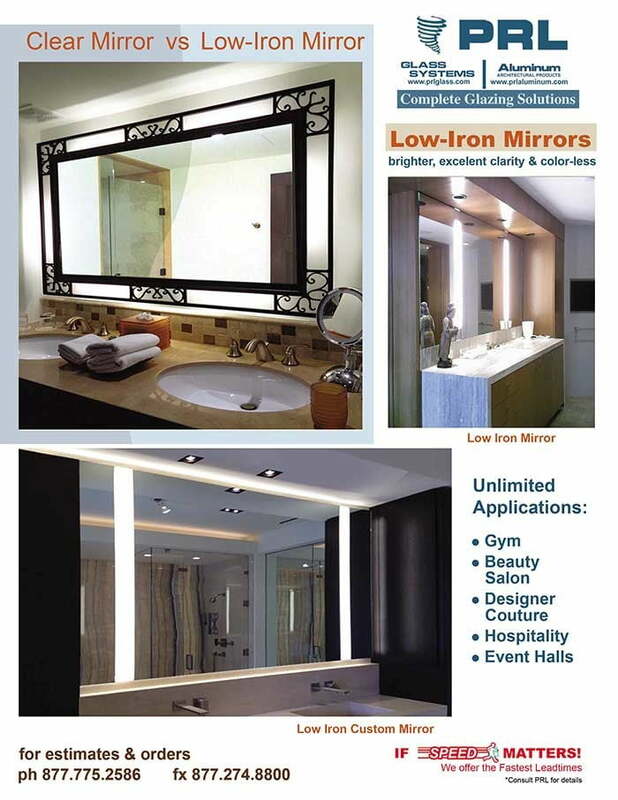 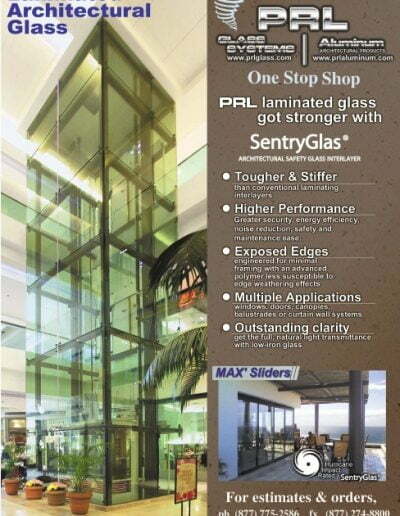 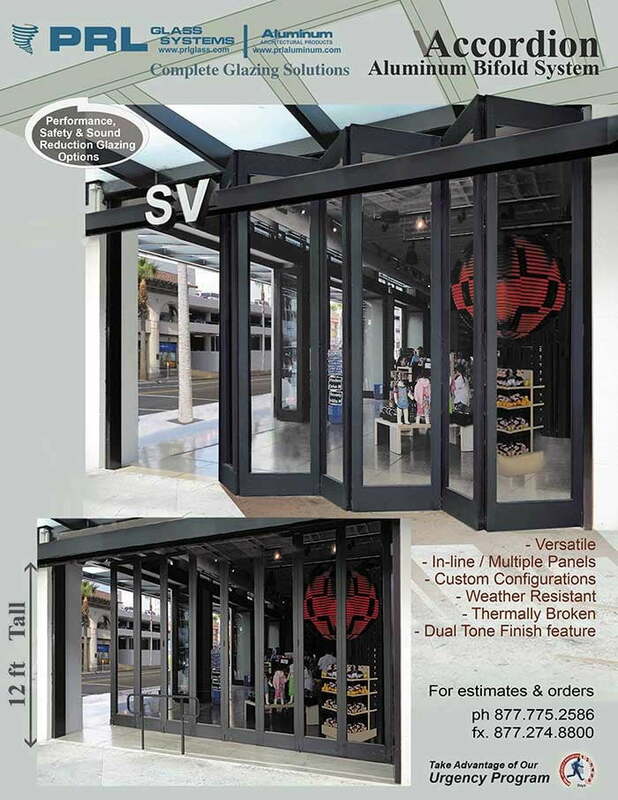 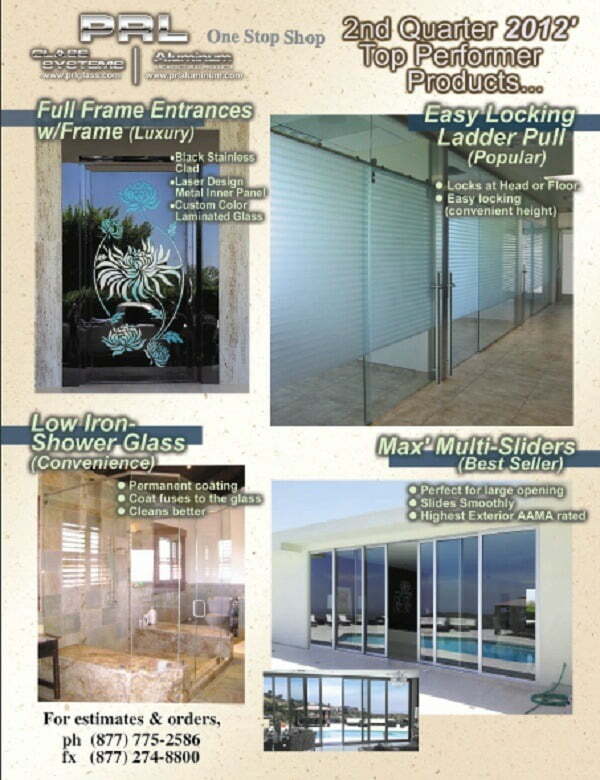 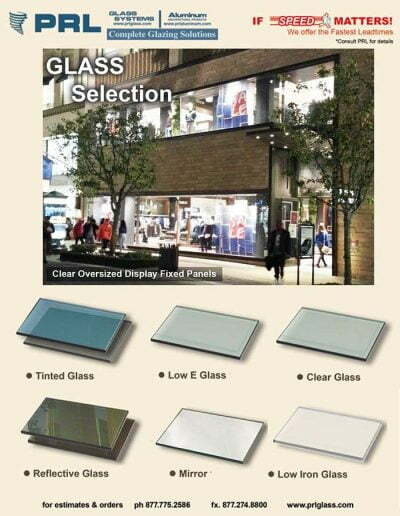 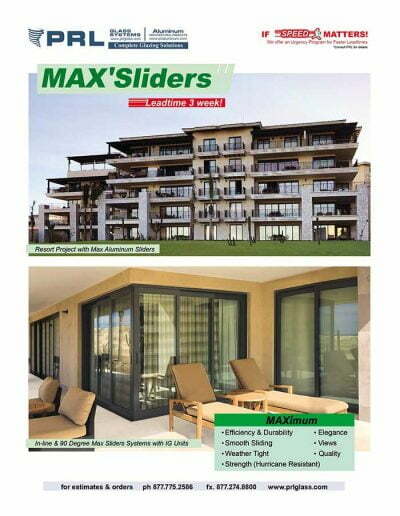 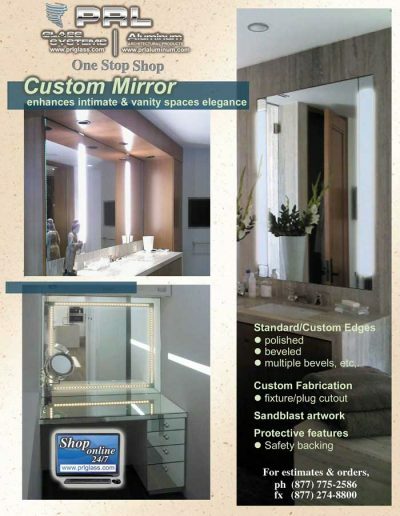 More on our glass sliding doors.